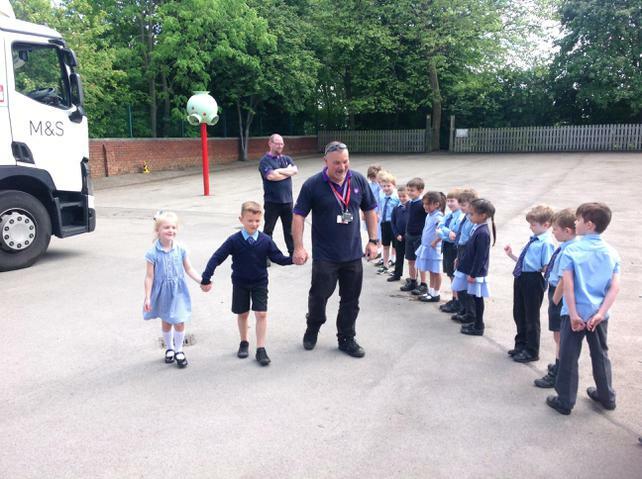 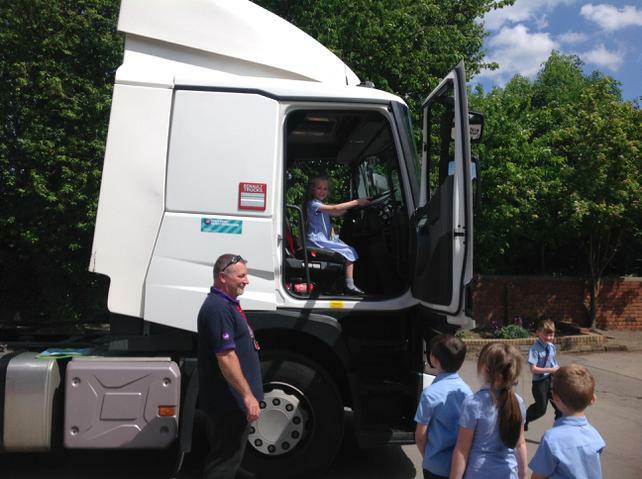 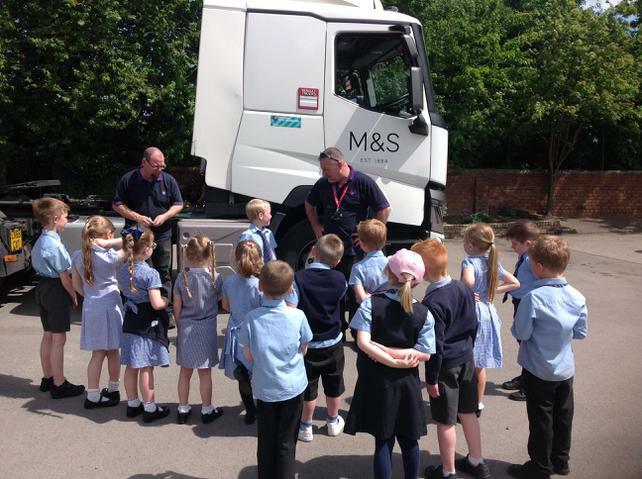 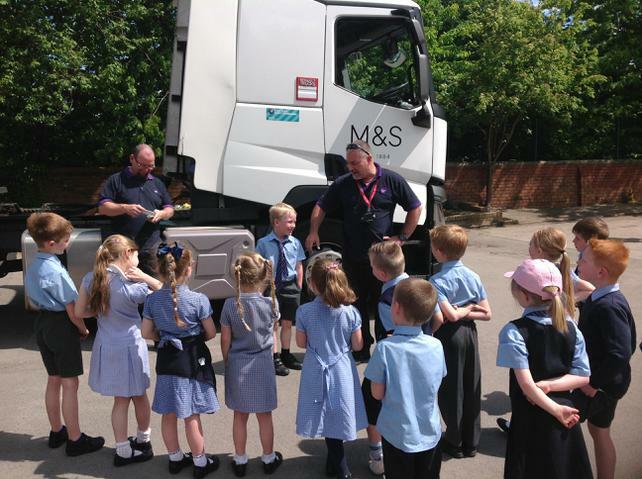 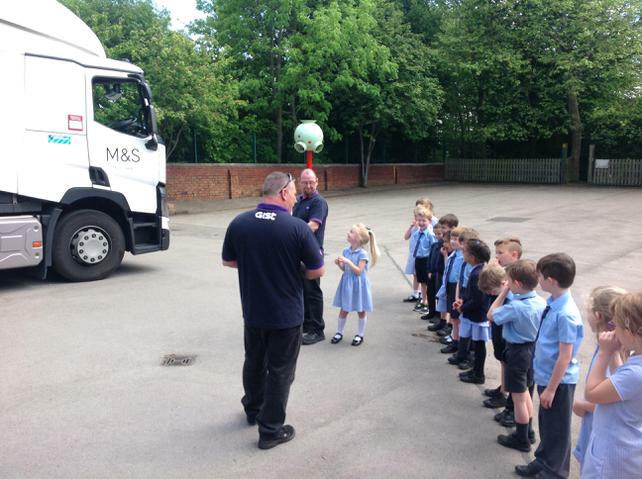 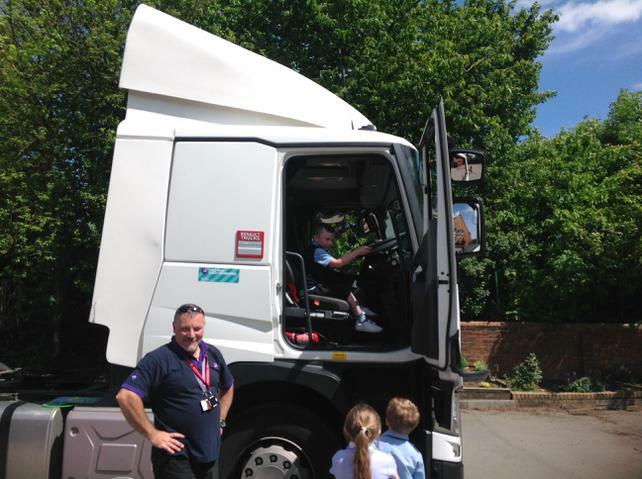 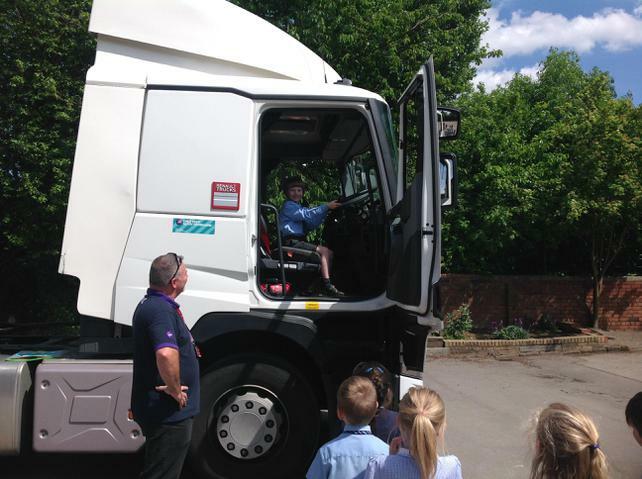 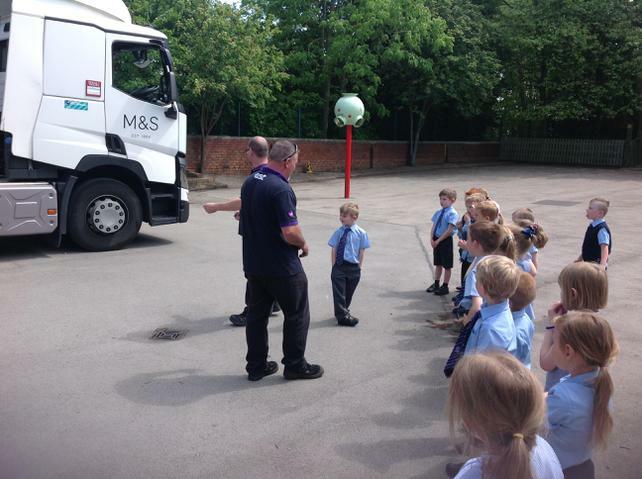 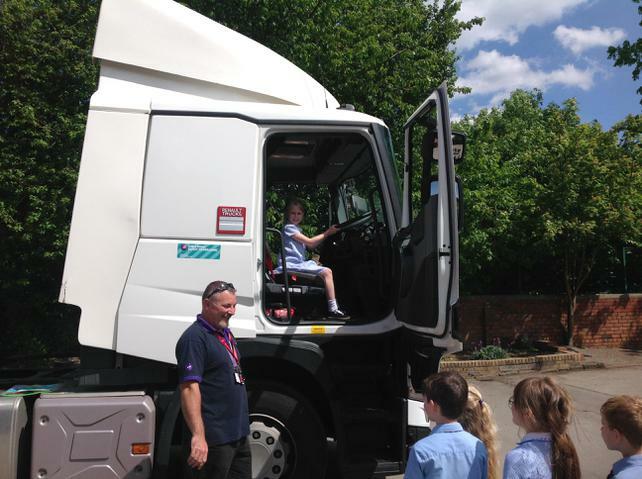 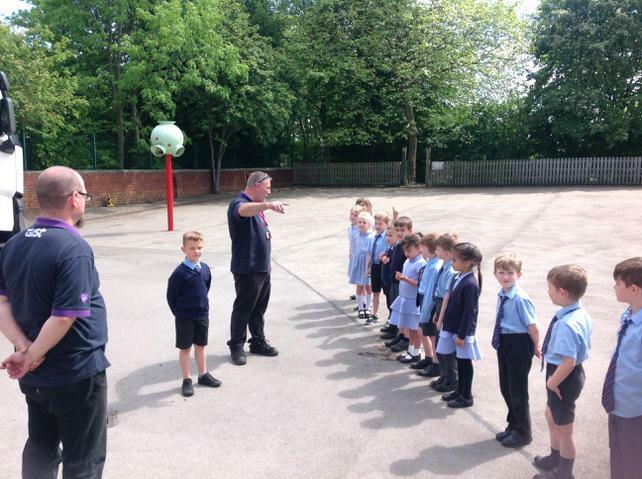 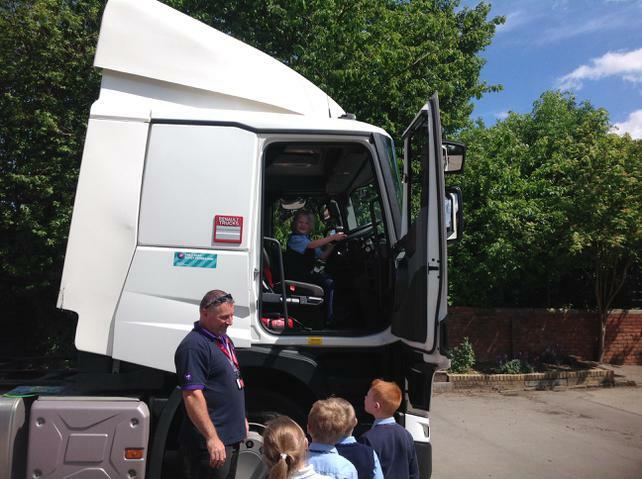 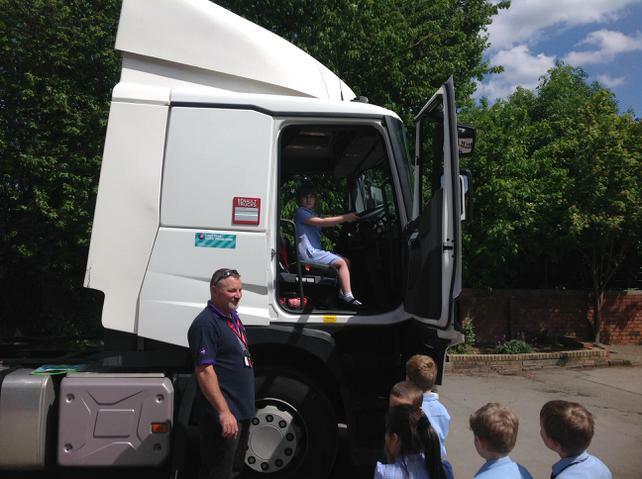 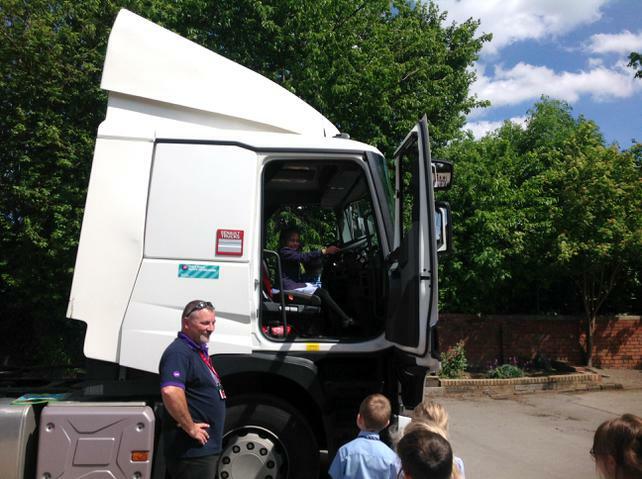 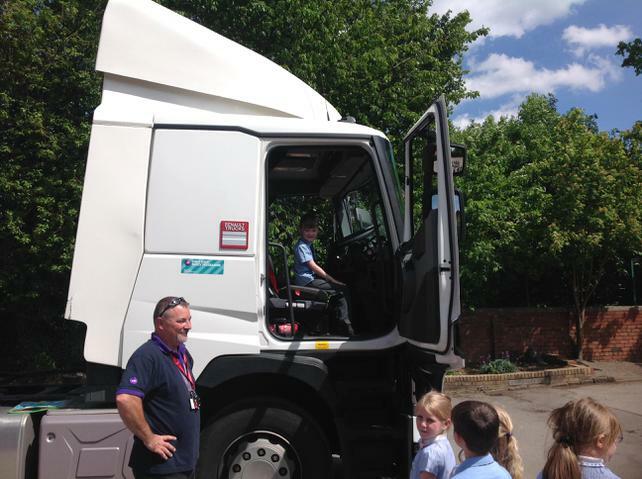 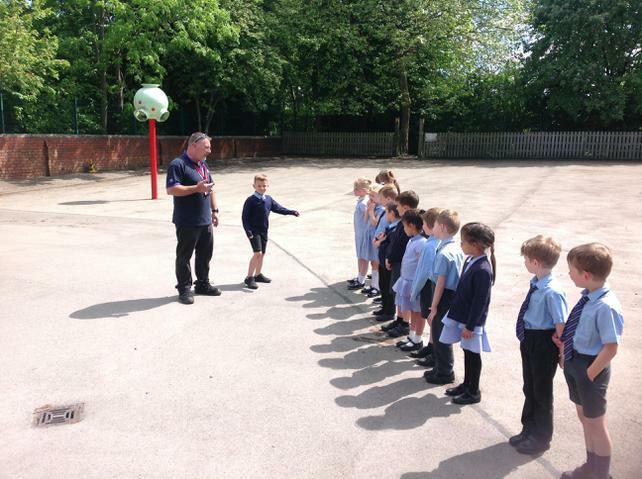 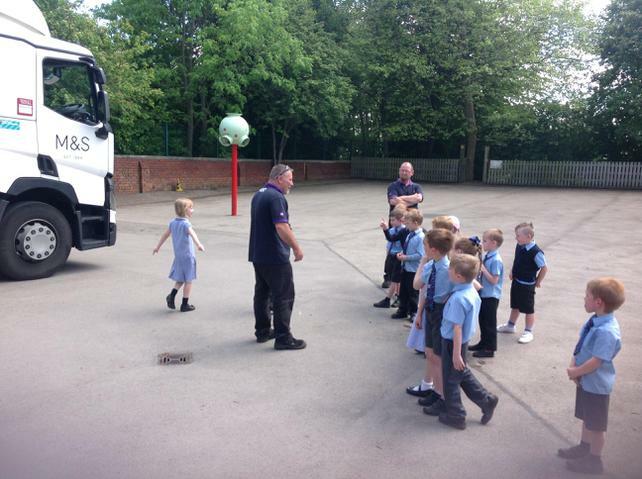 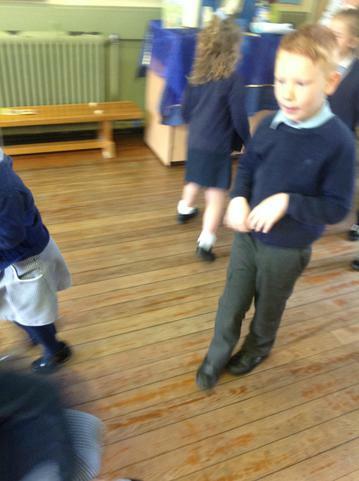 This week some people came to teach us how we can stage when crossing roads. 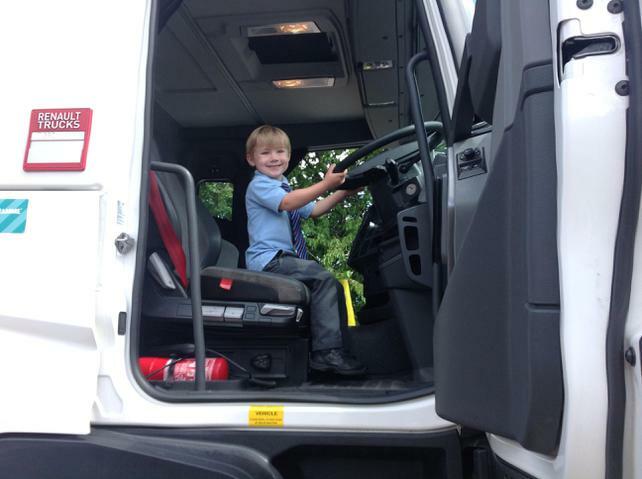 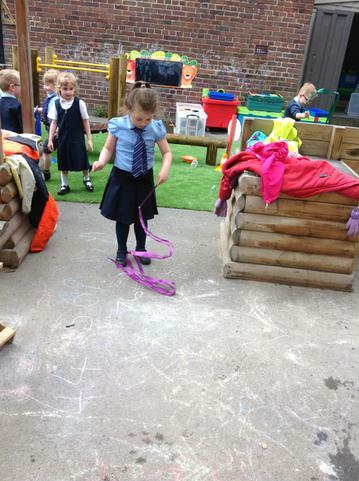 We were kept busy again this week. 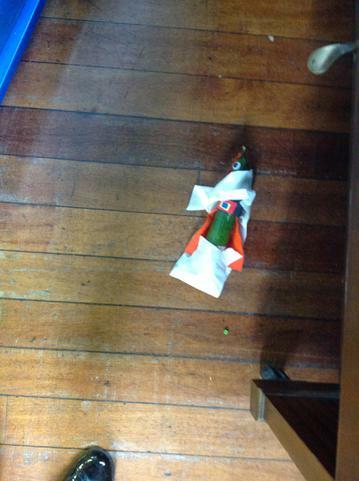 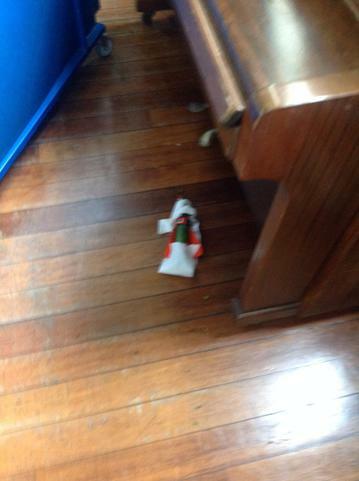 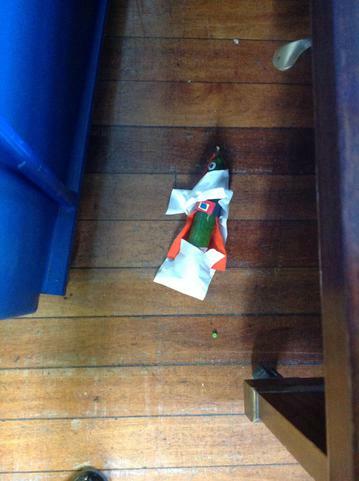 Our friend Super Cucumber was missing. 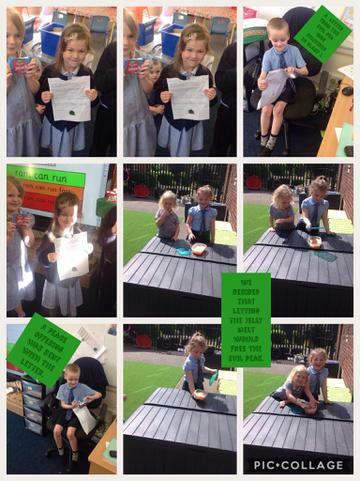 We made posters to see if anyone could help us find him. 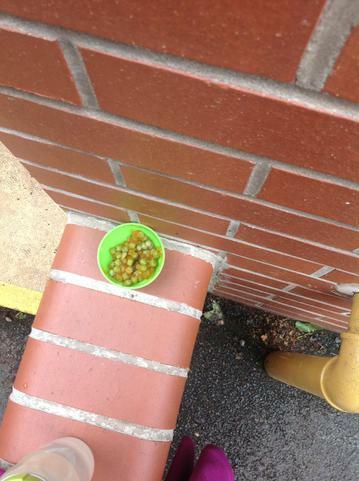 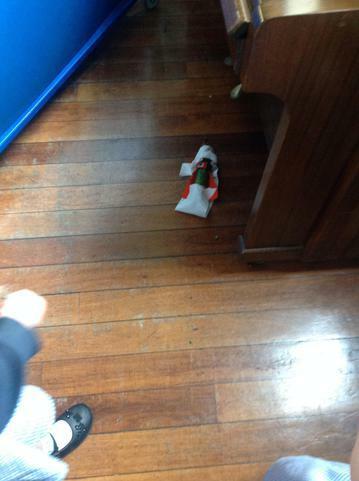 We kept finding some clues of who might have been behind this.We were right to suspect the evil pea was behind all this. 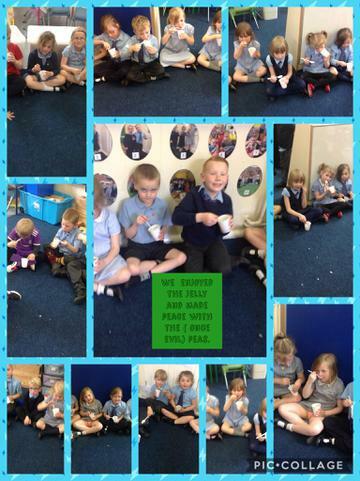 After falling into jelly, the evil peas confessed all. 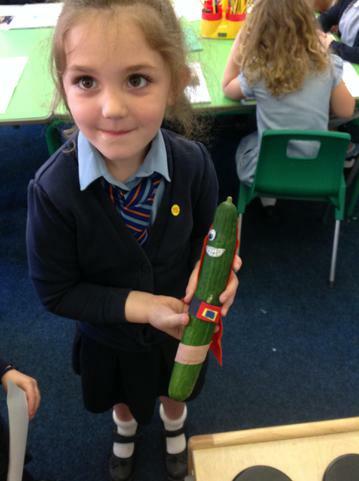 We finally found Super Cucumber! 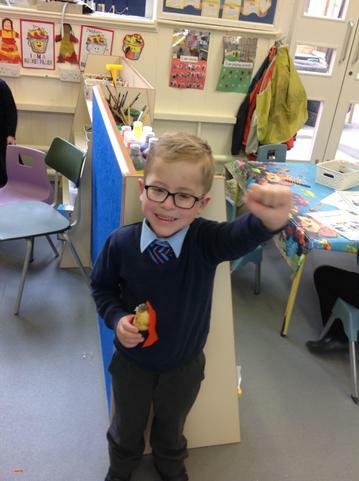 What a week it's been. 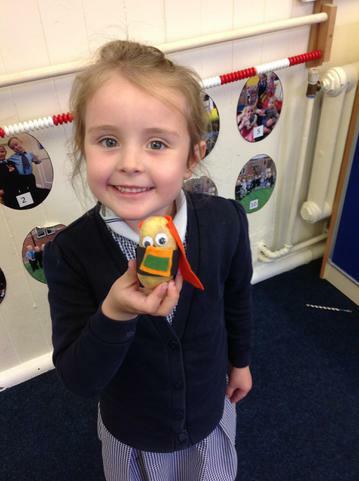 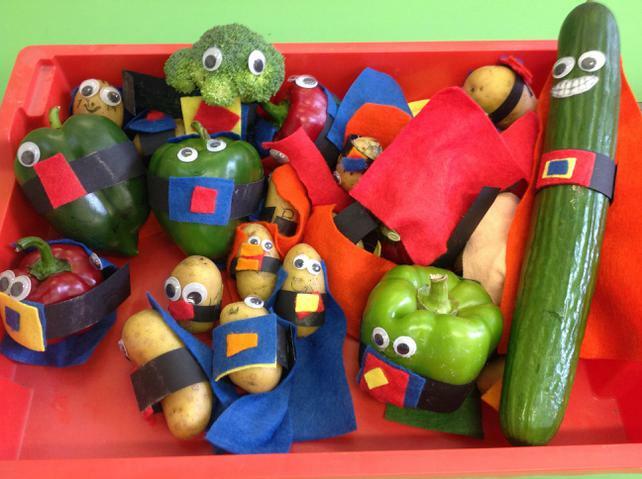 This week our Literacy was based on a booked called Supertato by Sue Hendra . 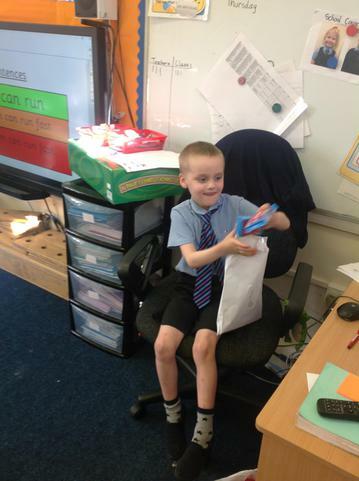 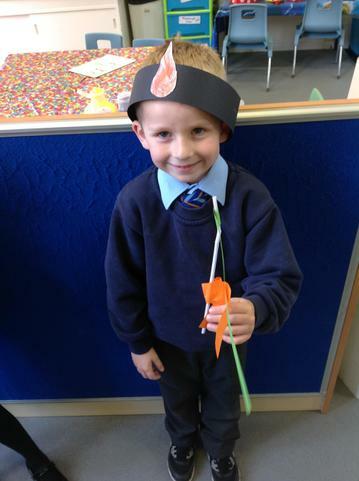 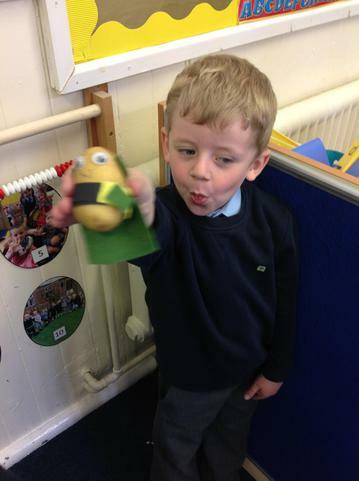 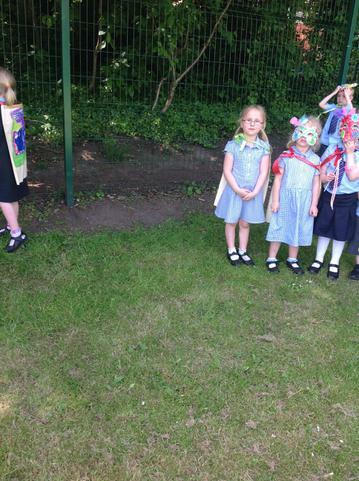 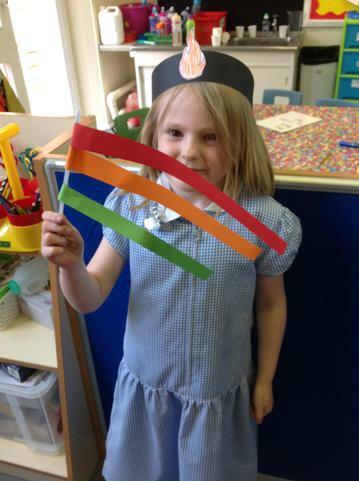 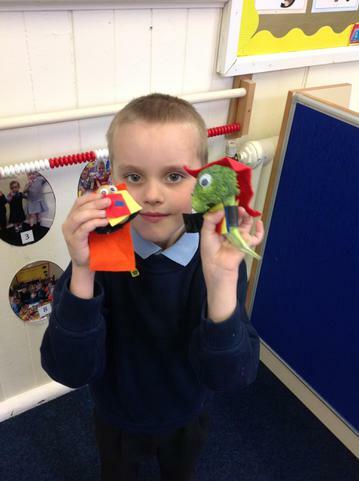 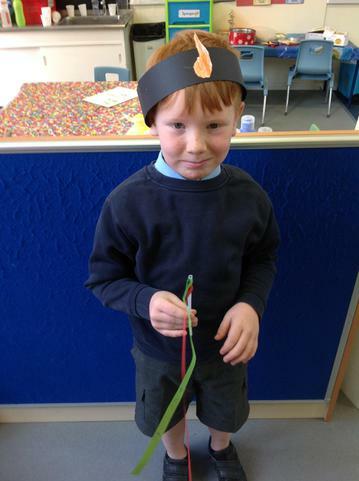 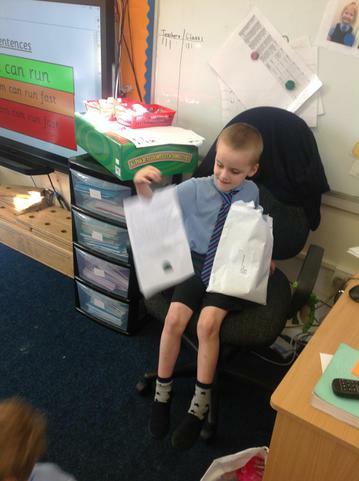 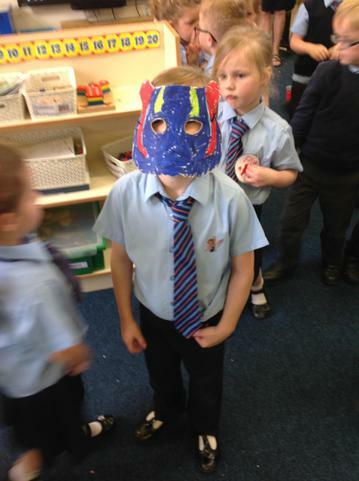 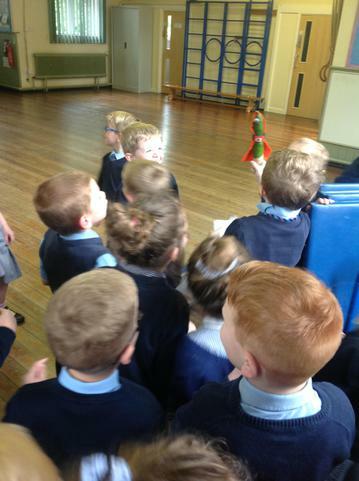 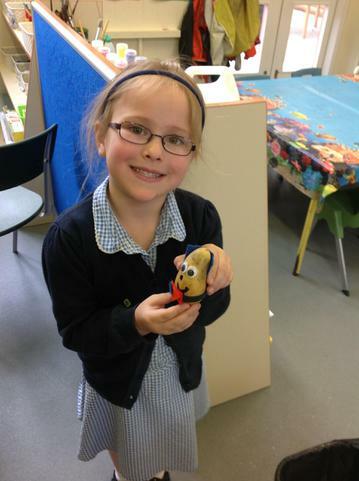 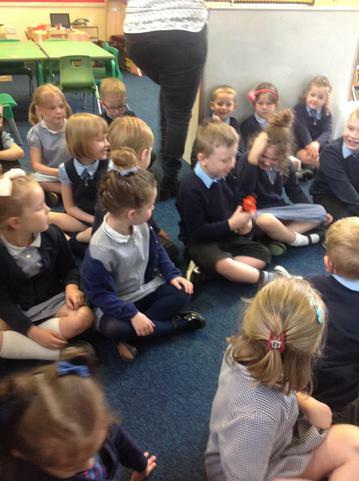 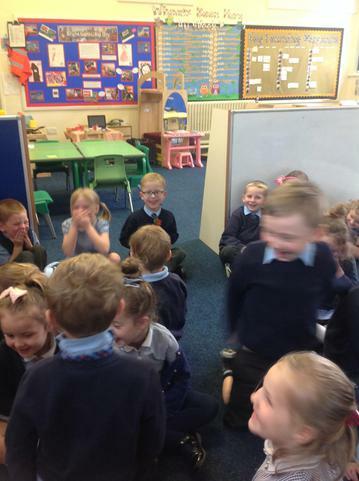 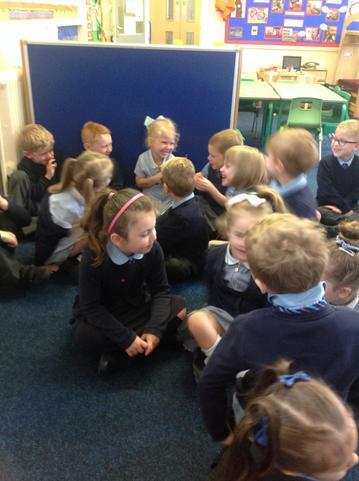 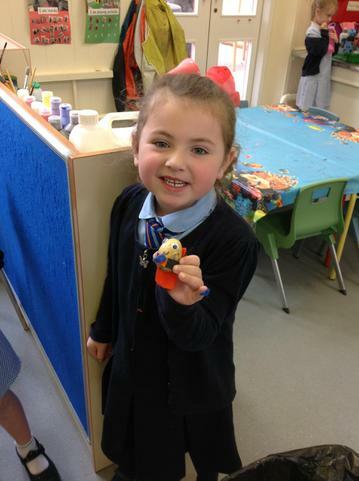 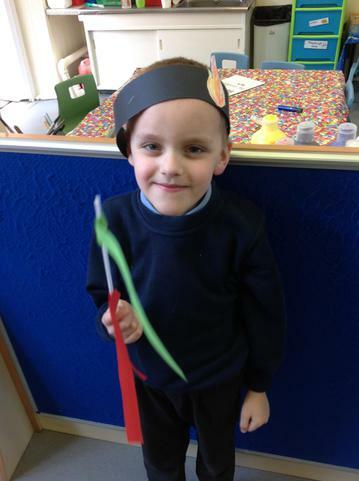 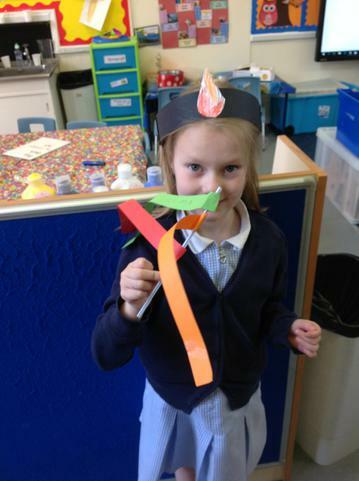 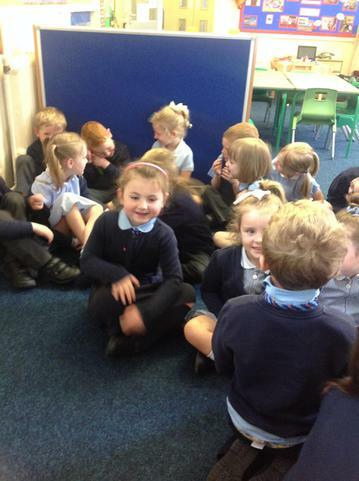 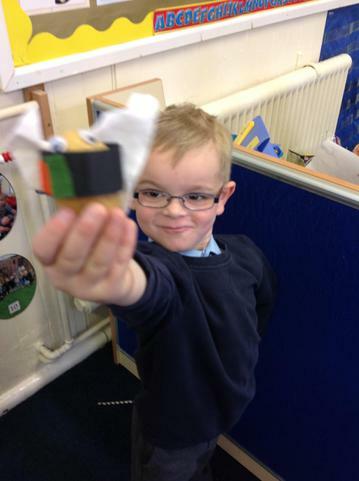 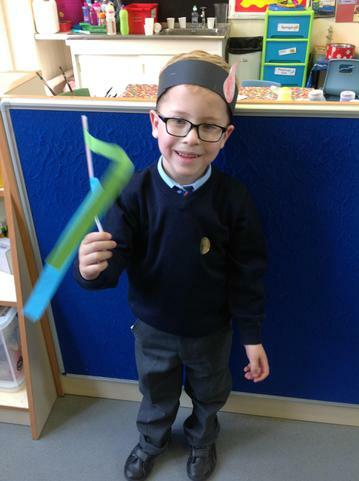 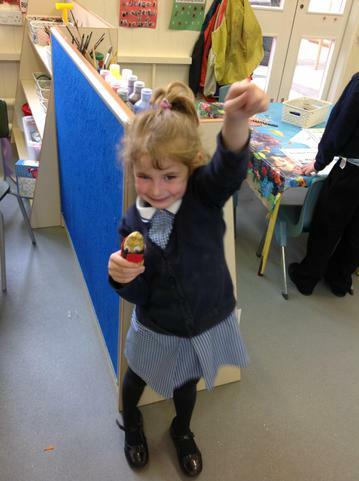 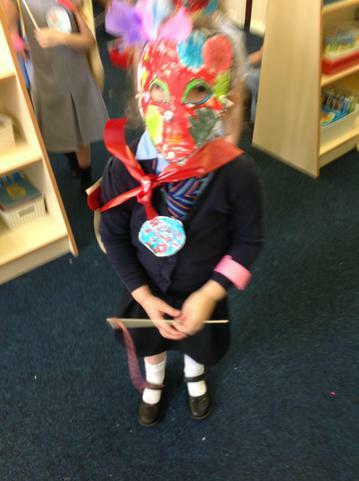 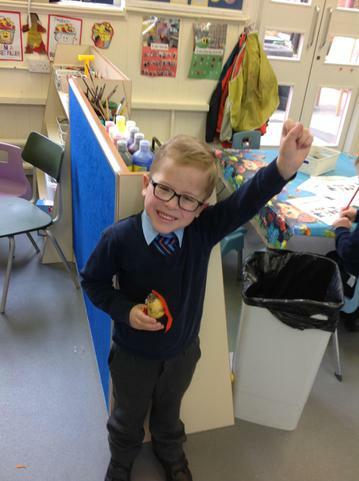 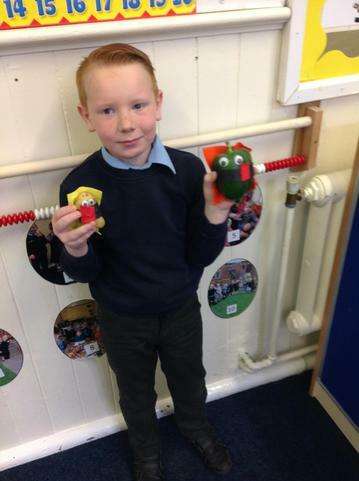 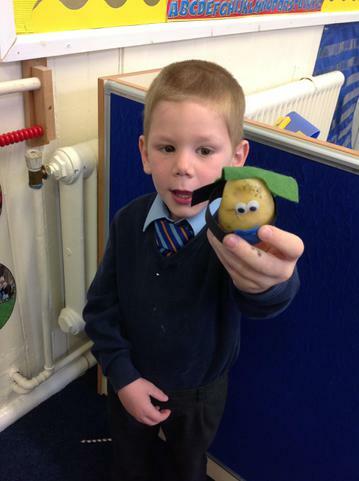 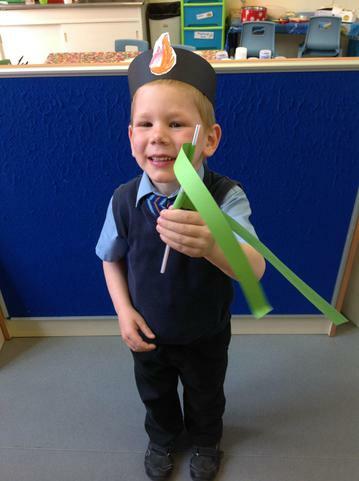 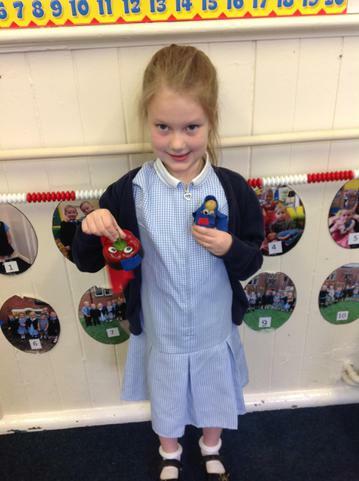 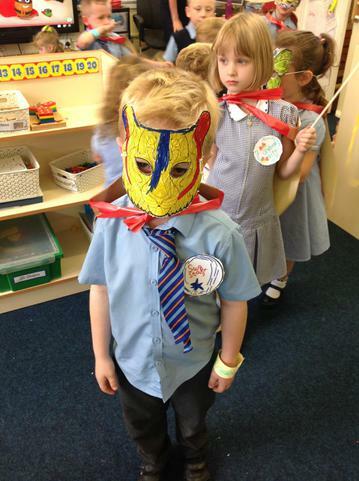 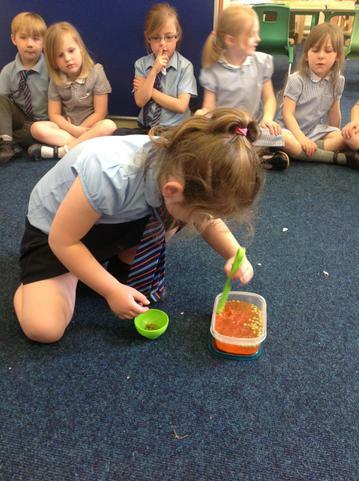 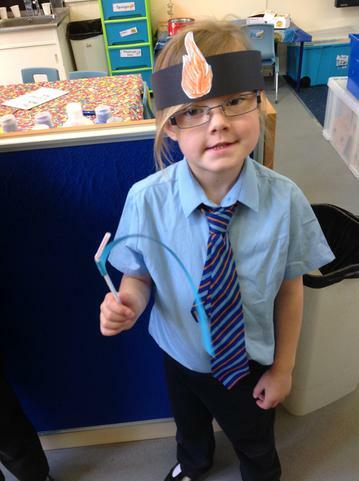 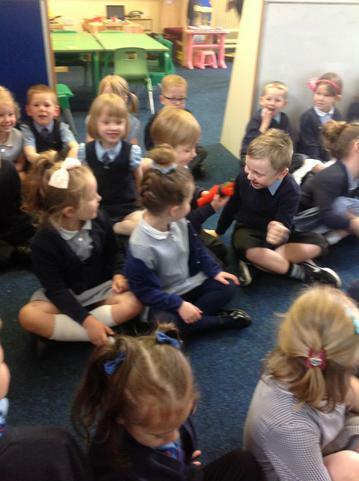 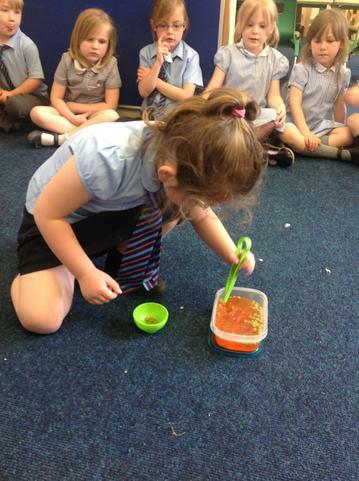 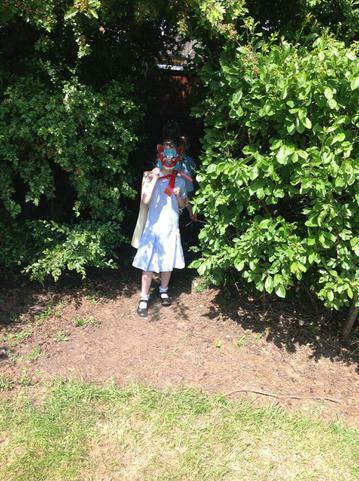 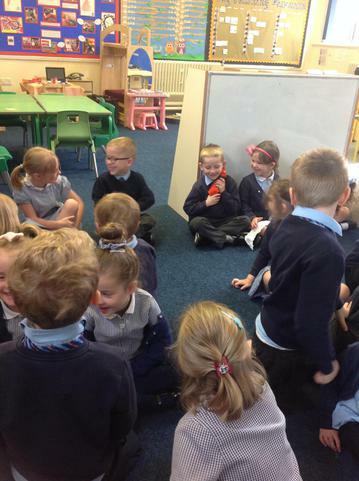 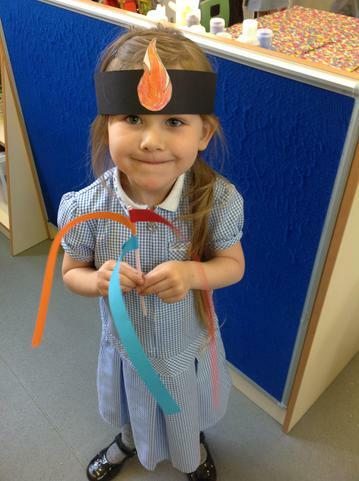 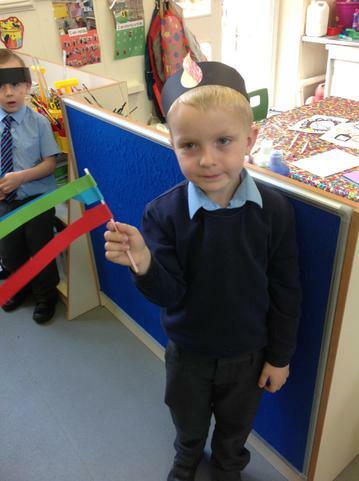 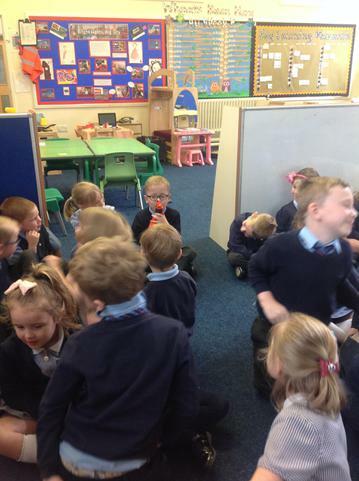 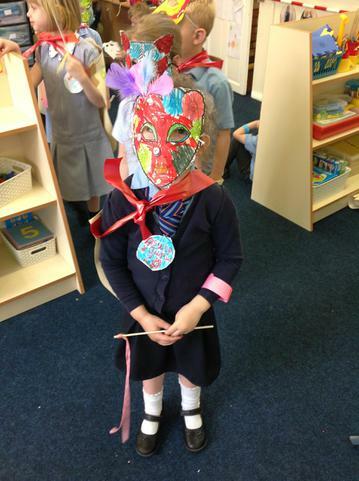 A naughty character from the story,' the evil Pea ' played tricks on class1 and had to be stopped! 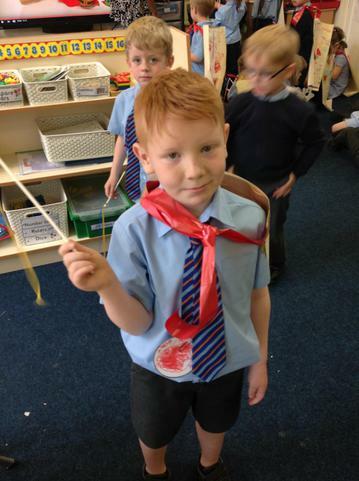 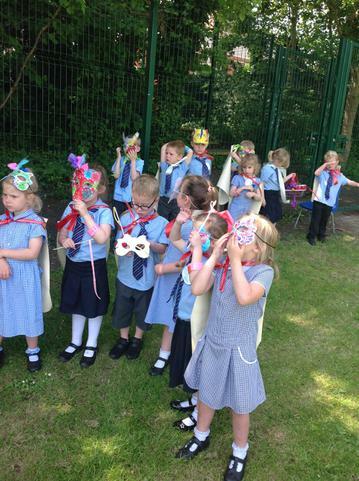 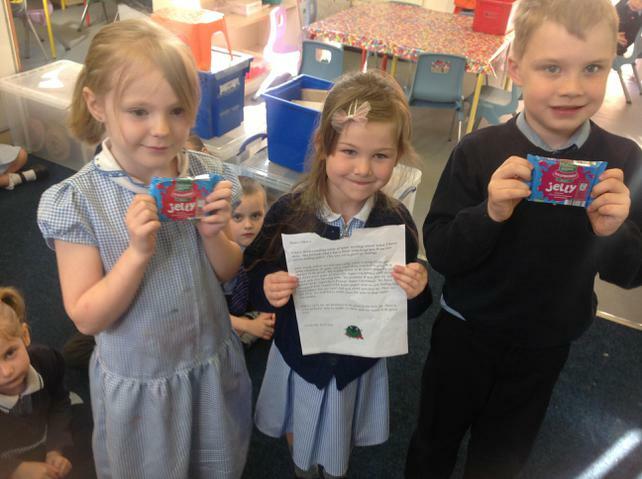 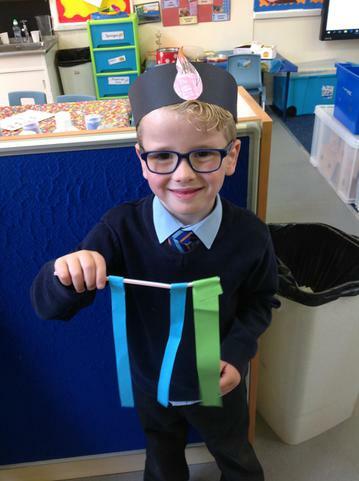 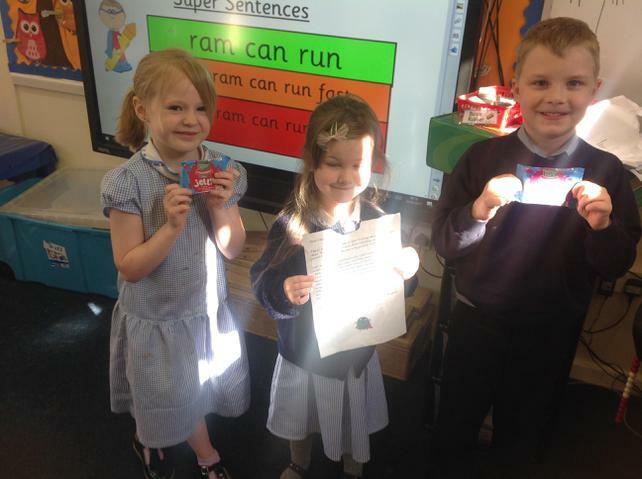 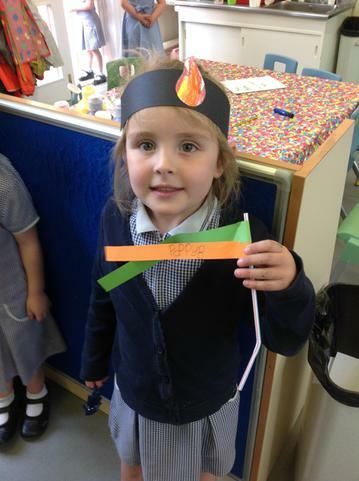 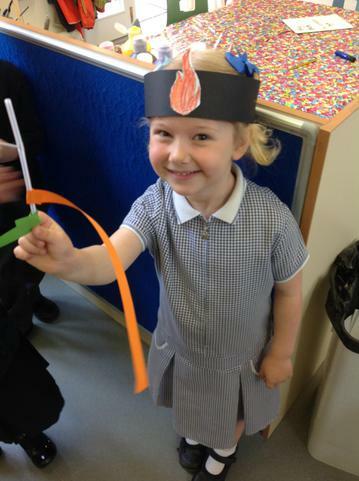 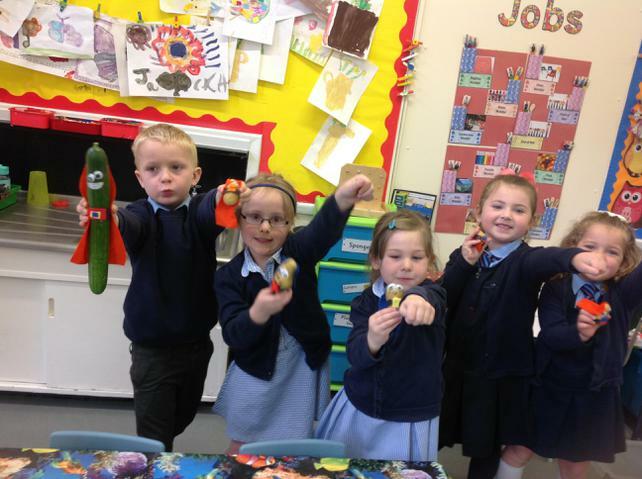 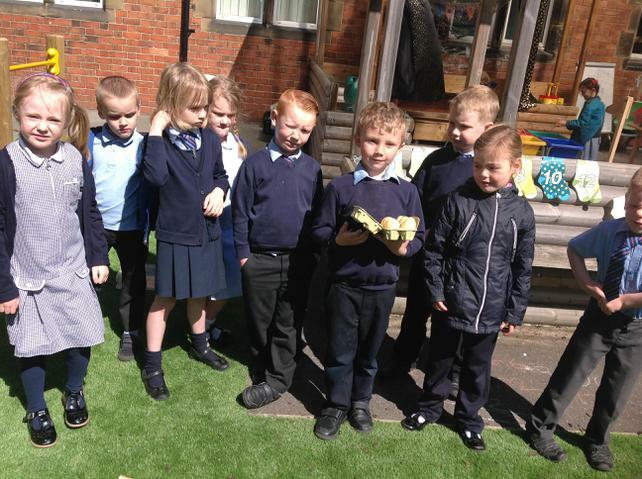 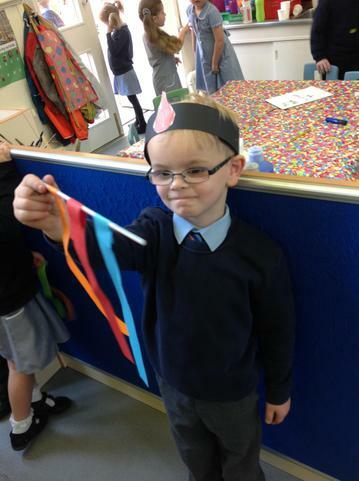 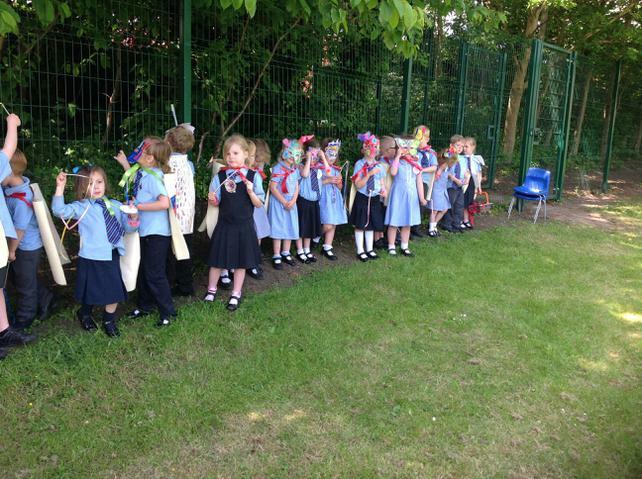 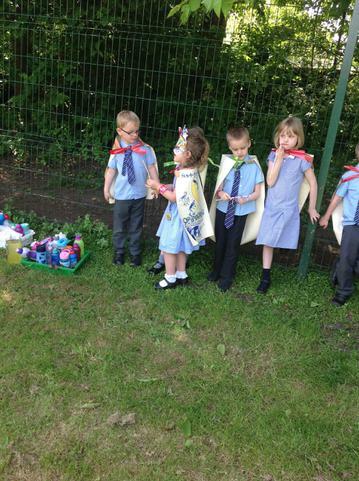 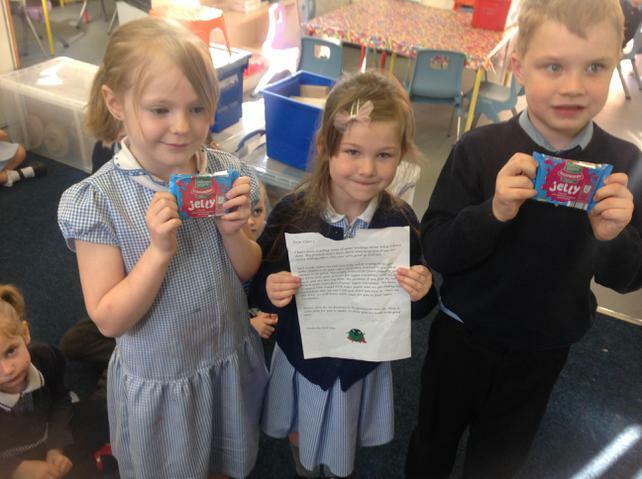 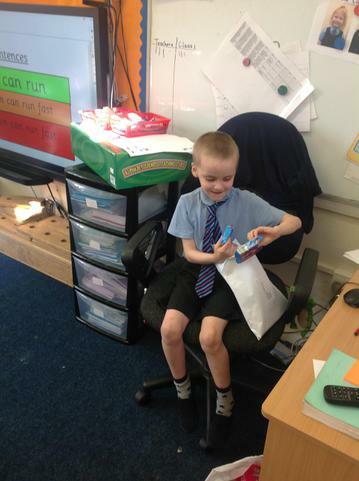 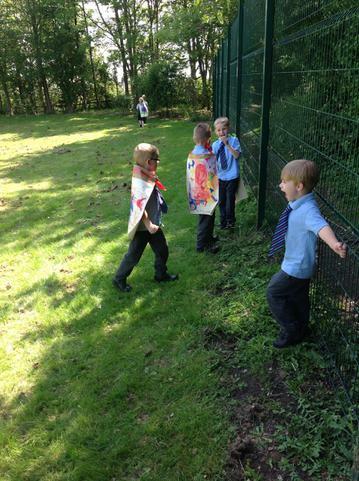 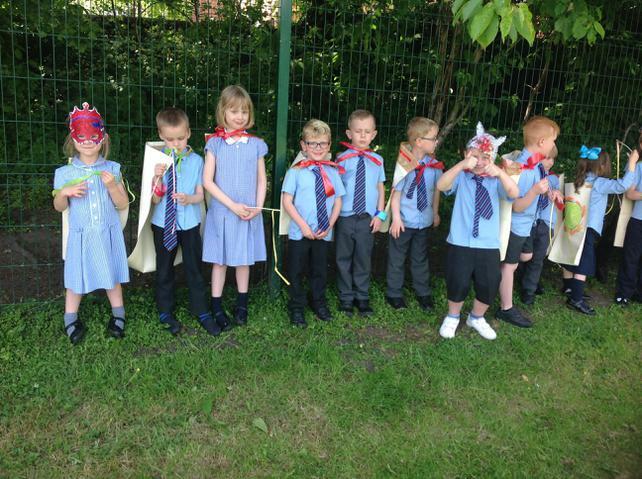 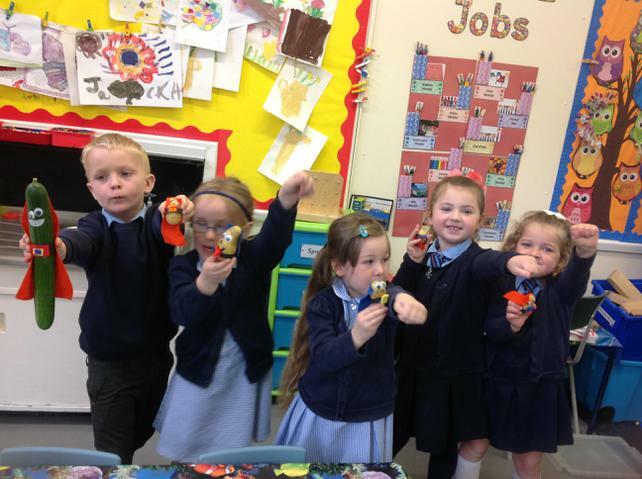 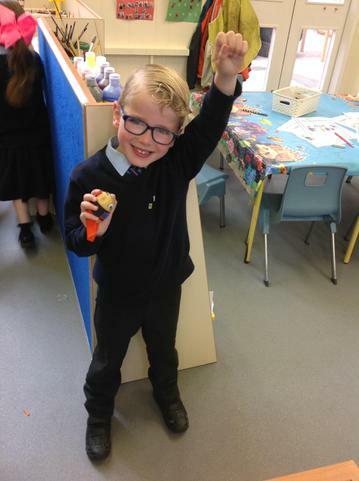 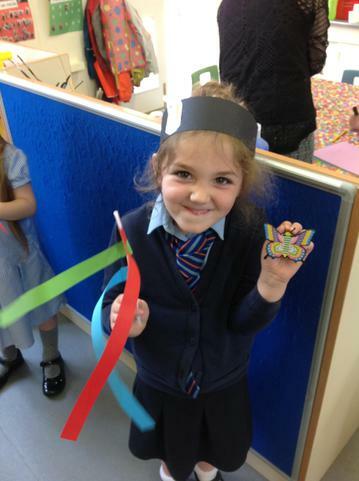 We made wanted posters and some more superhero vegetables to help catch the evil pea.In R.E we made party streamers and shared our good news to each other to help us understand what the disciples did after Pentecost. 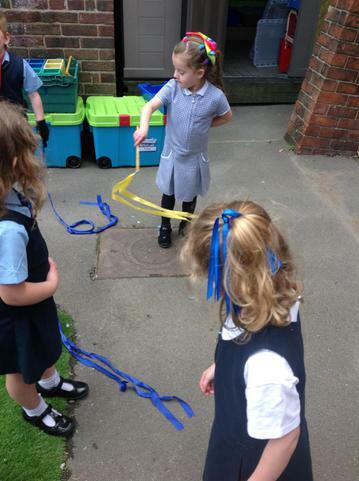 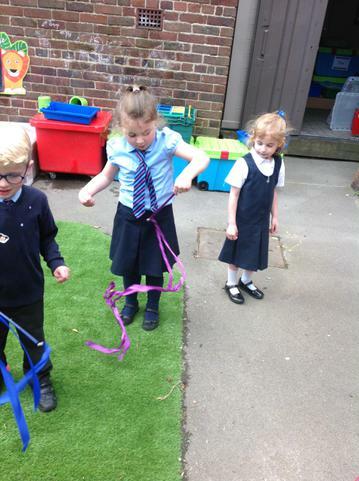 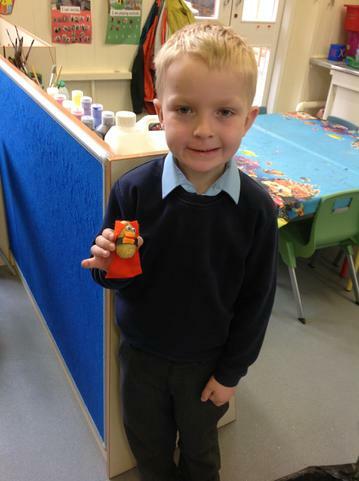 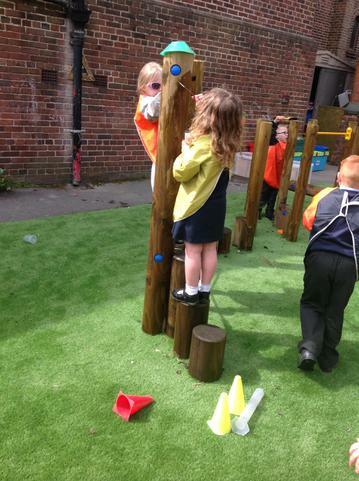 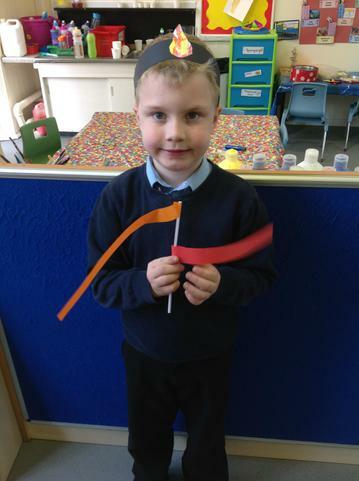 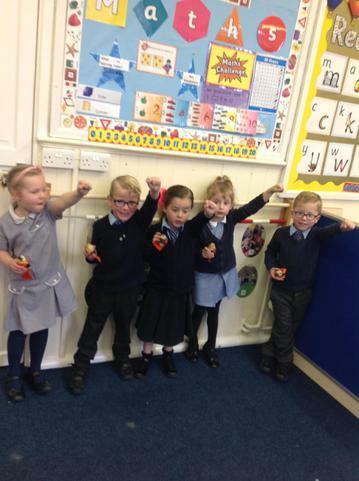 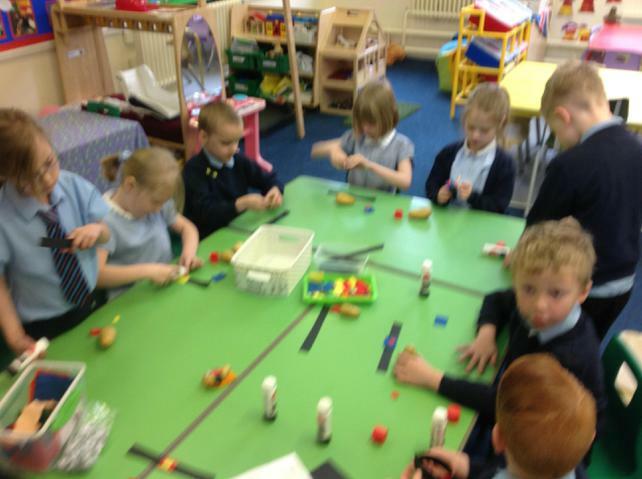 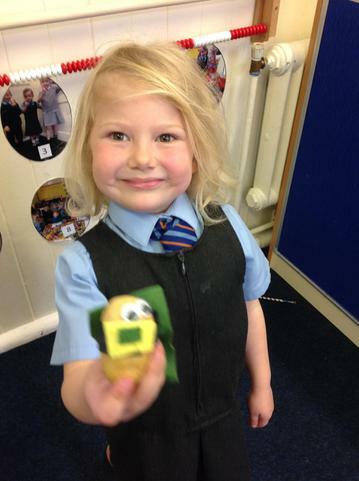 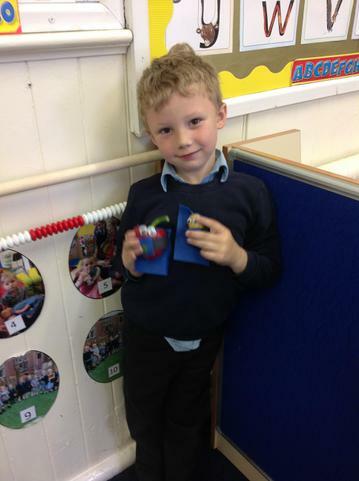 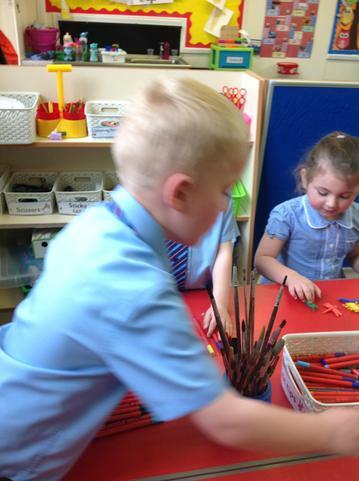 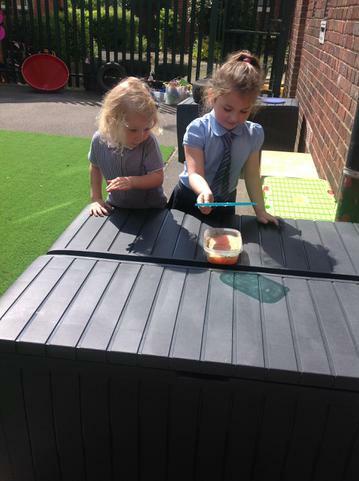 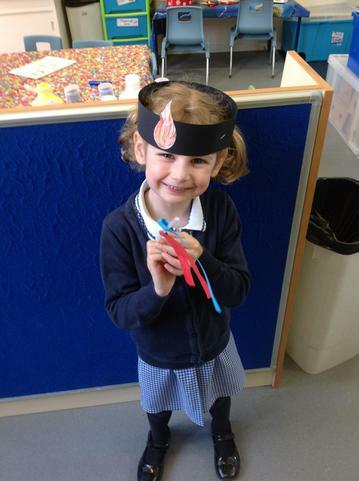 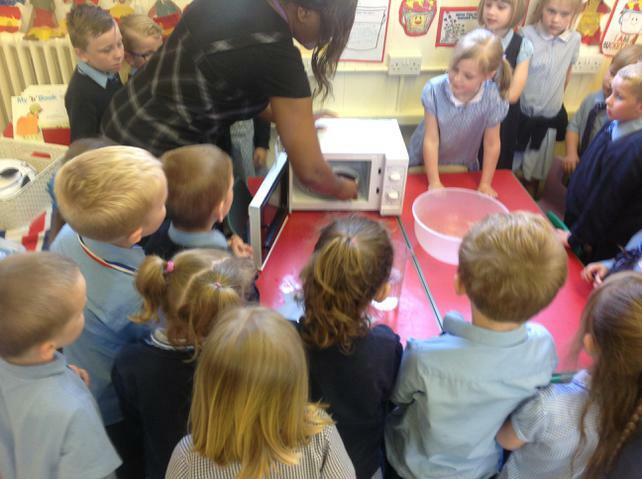 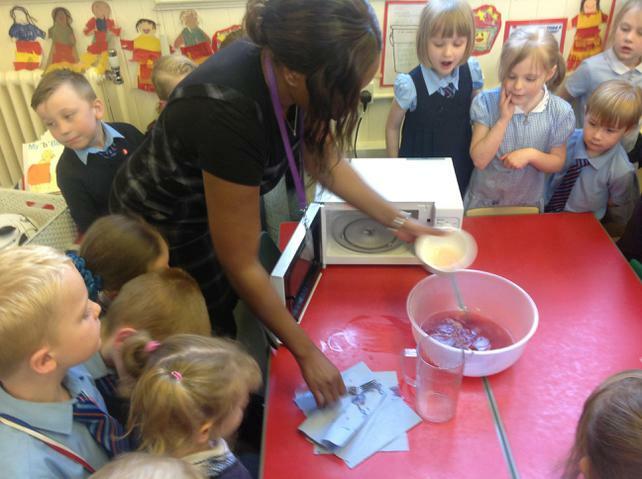 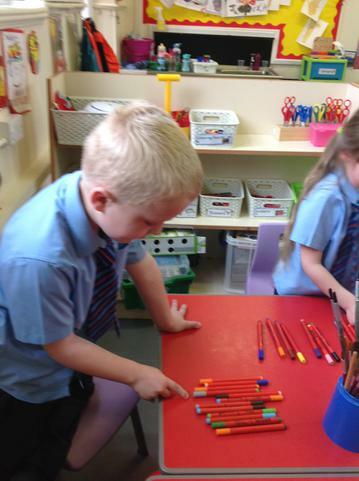 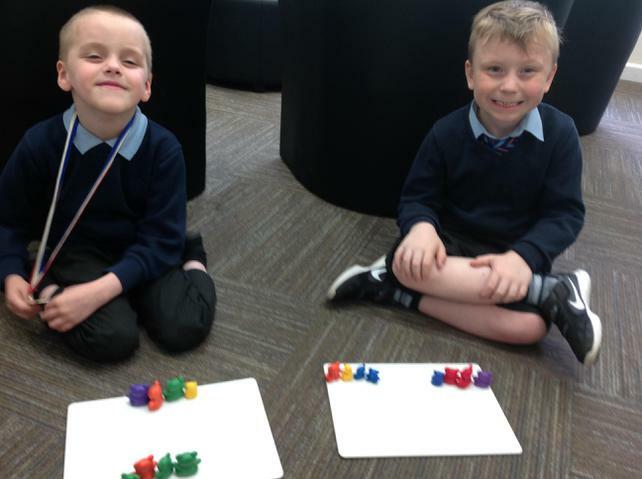 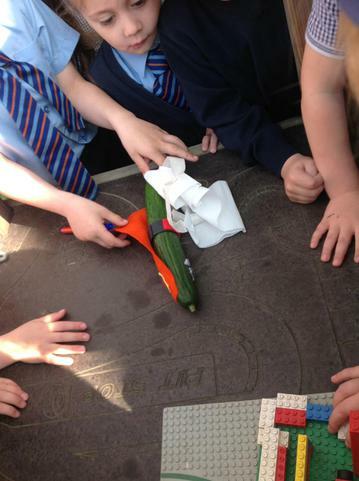 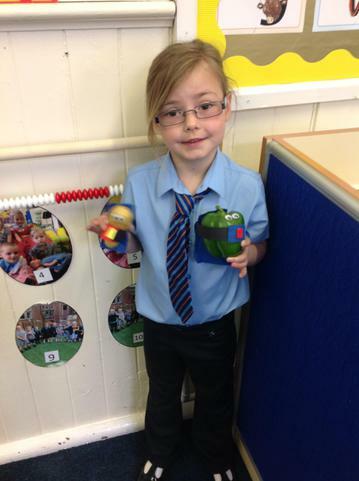 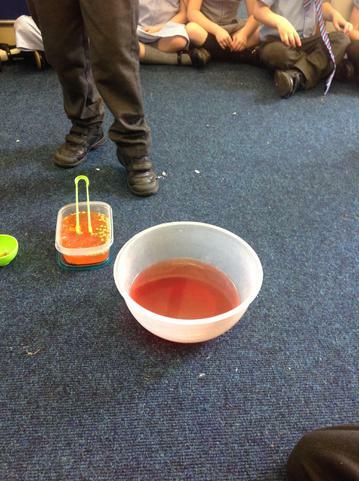 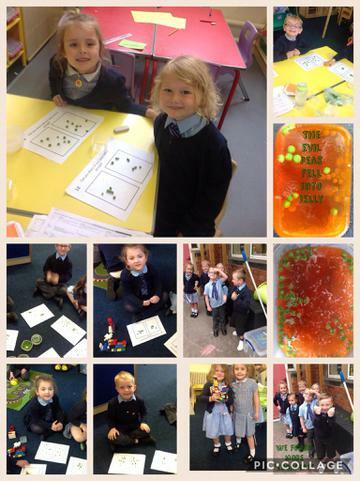 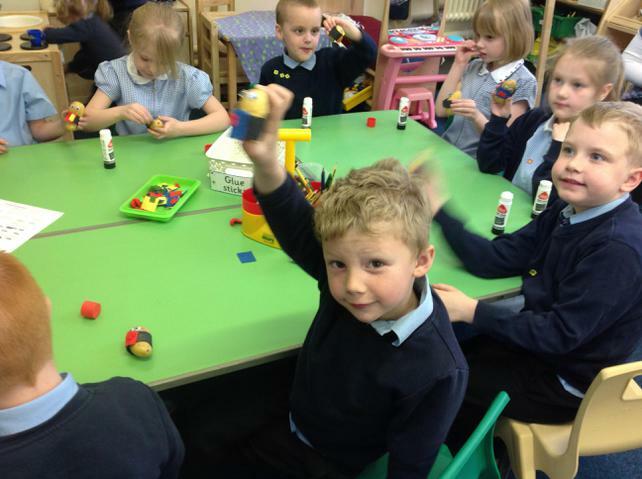 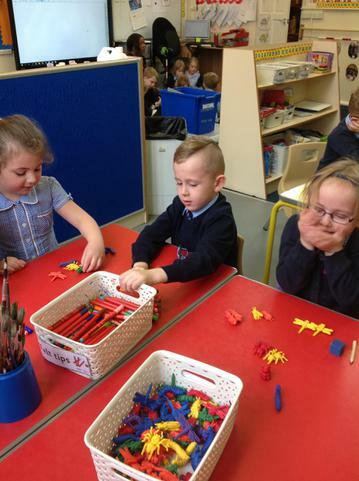 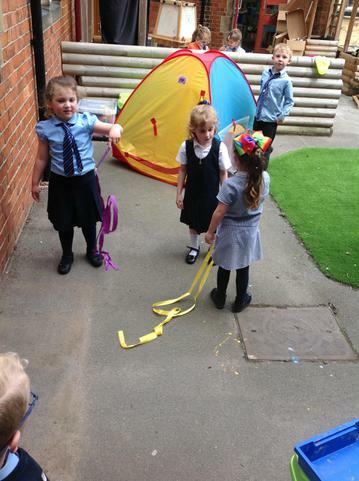 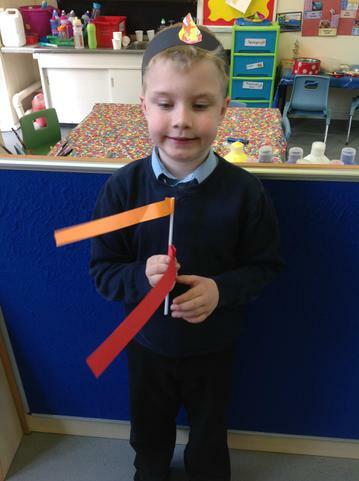 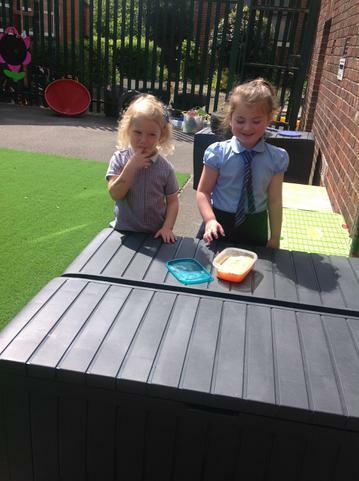 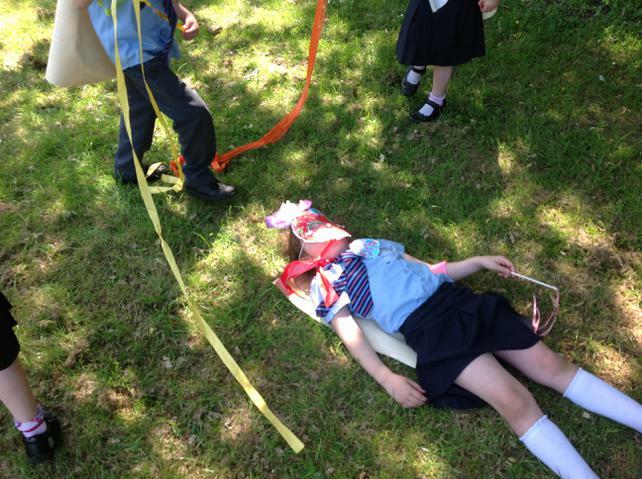 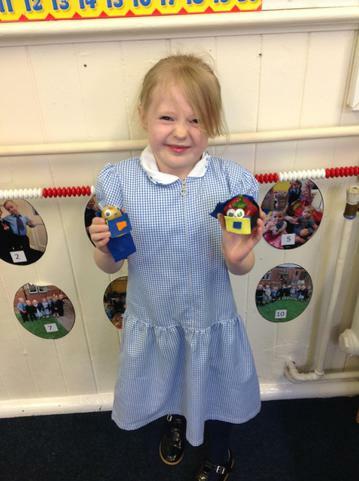 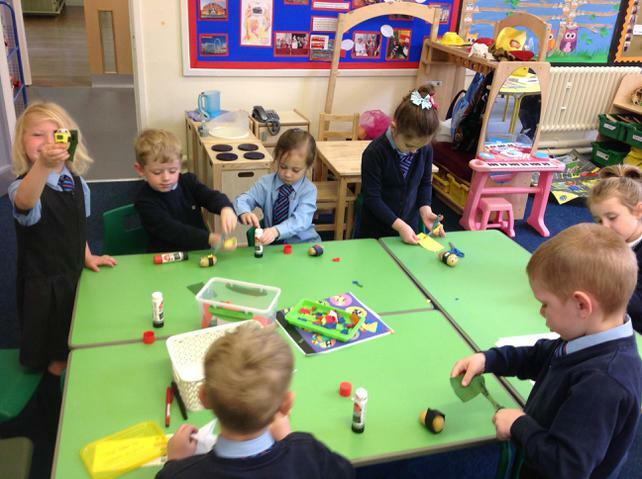 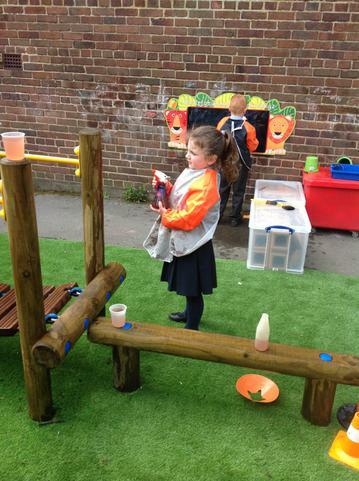 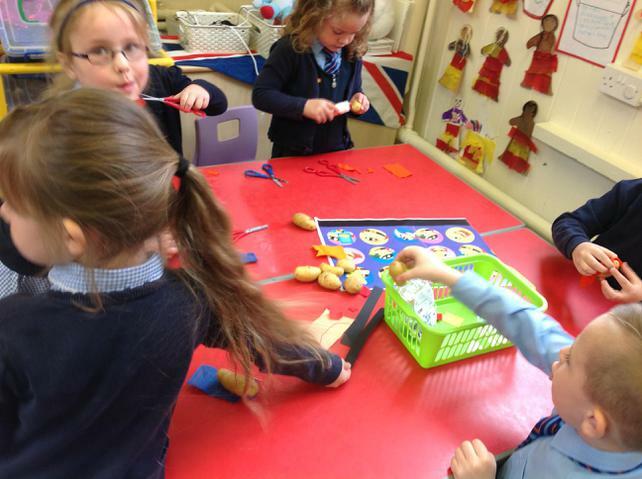 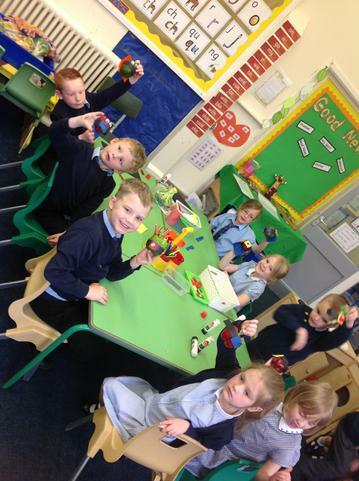 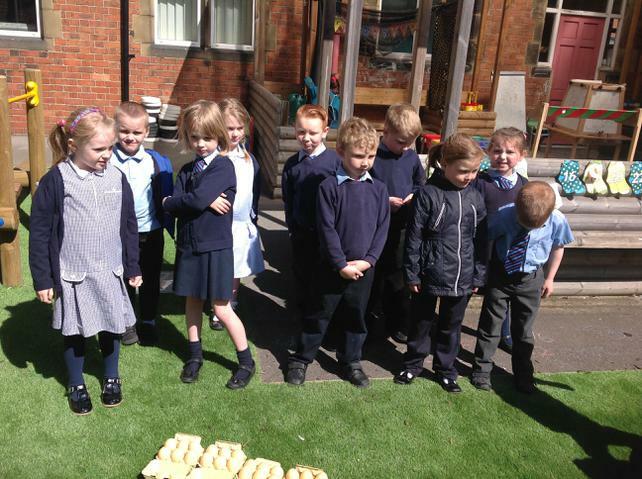 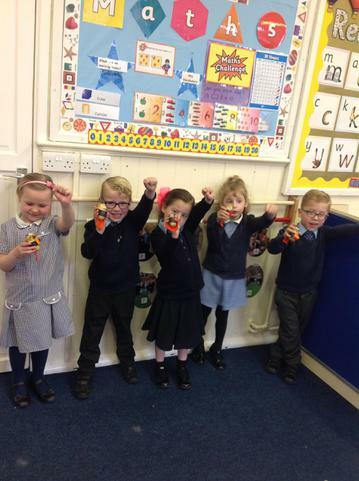 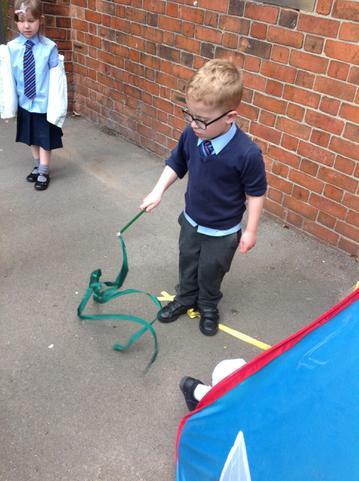 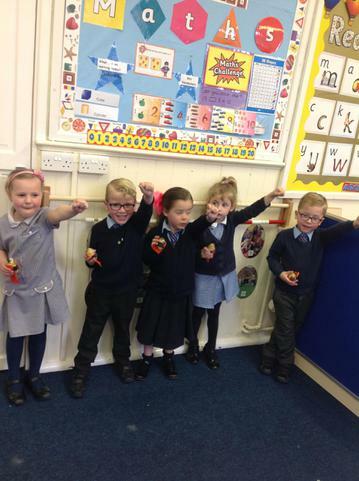 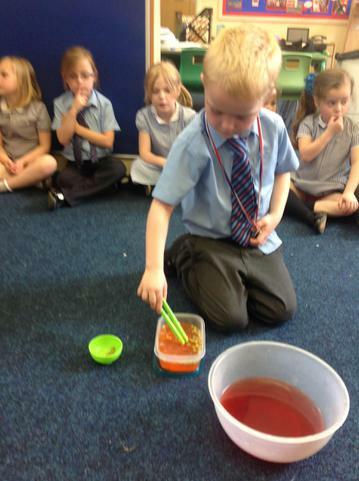 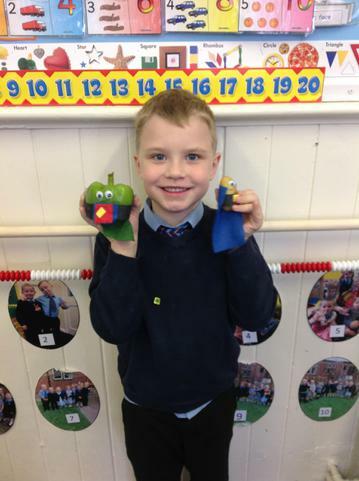 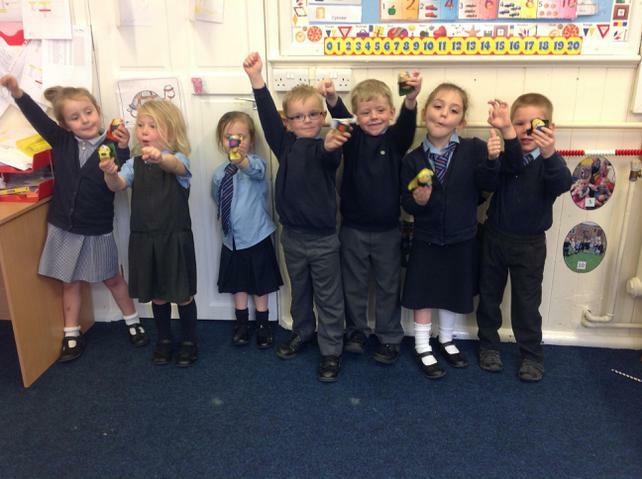 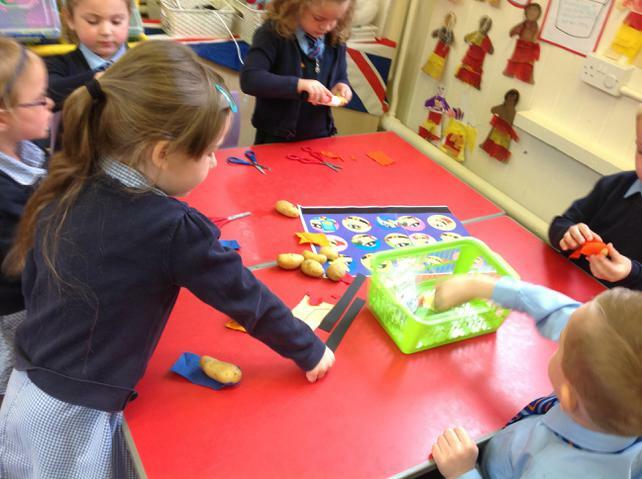 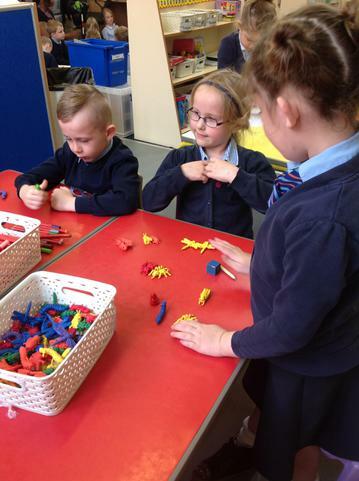 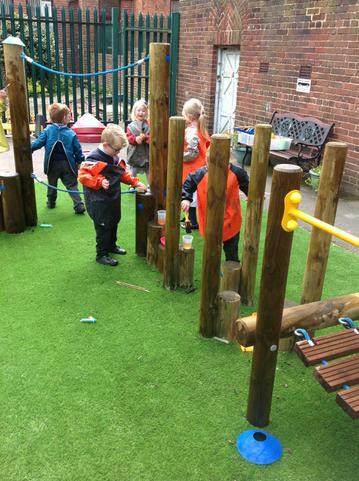 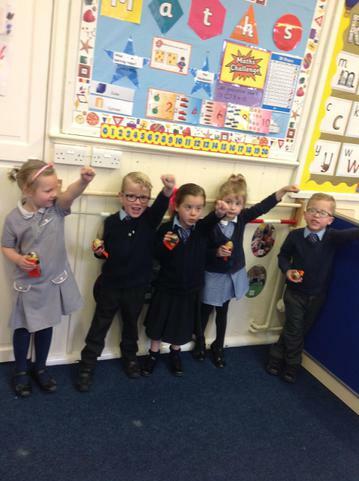 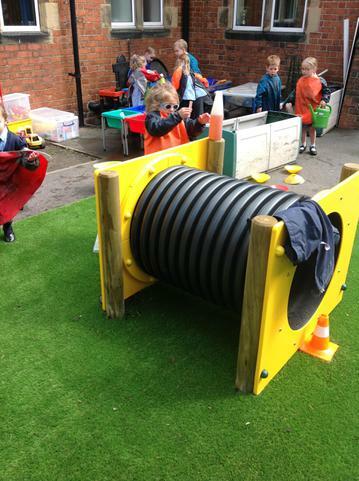 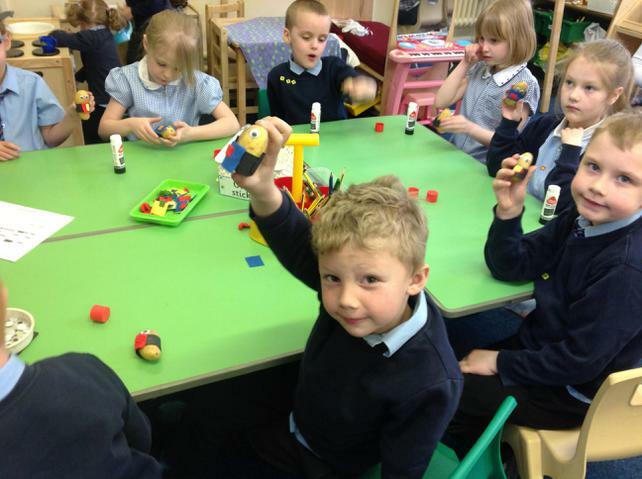 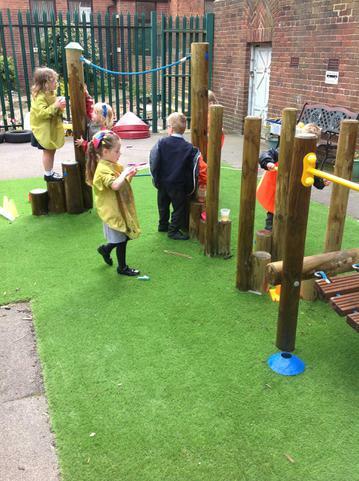 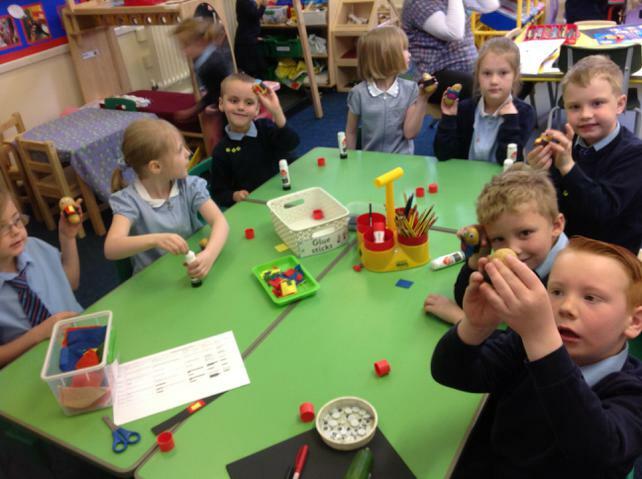 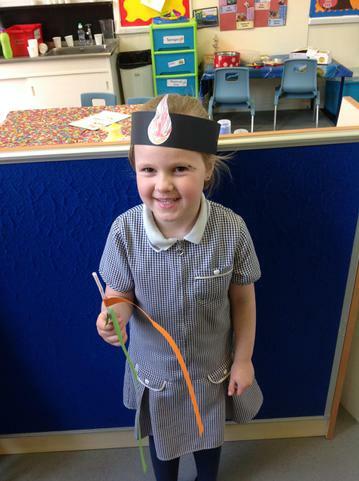 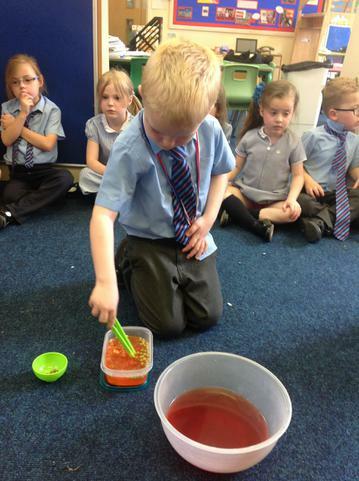 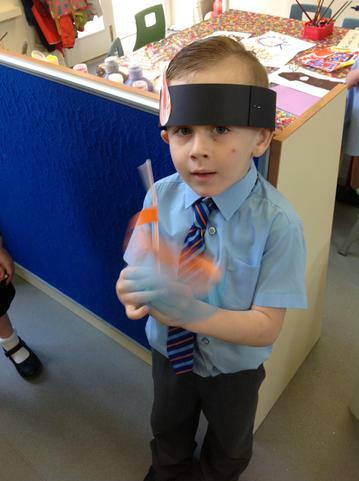 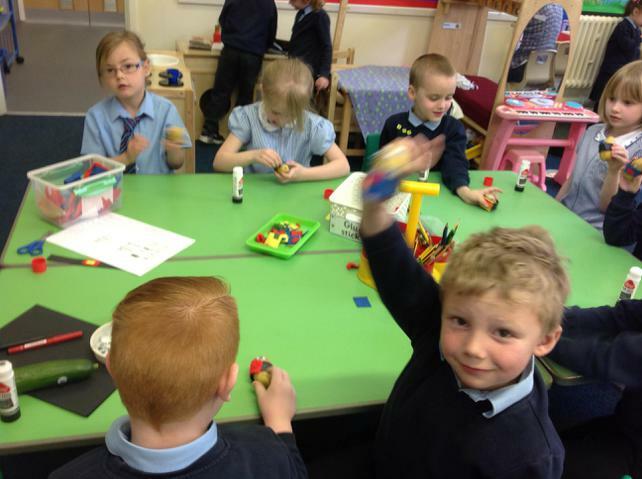 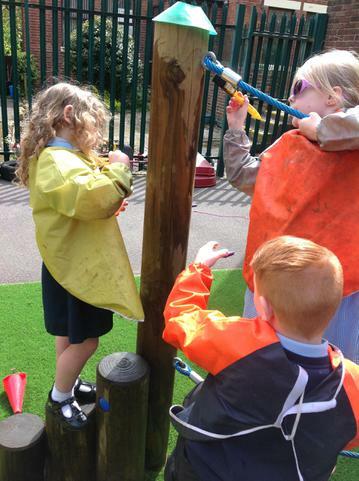 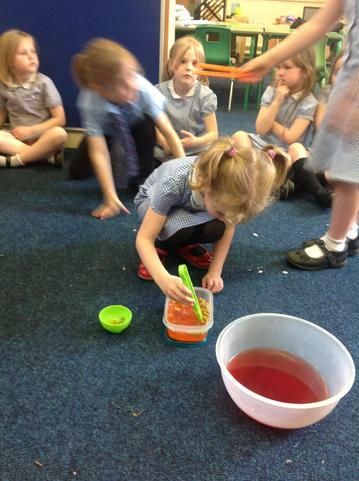 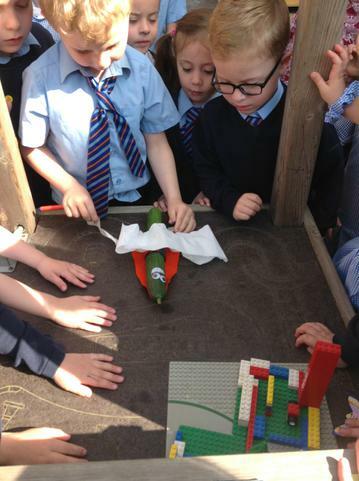 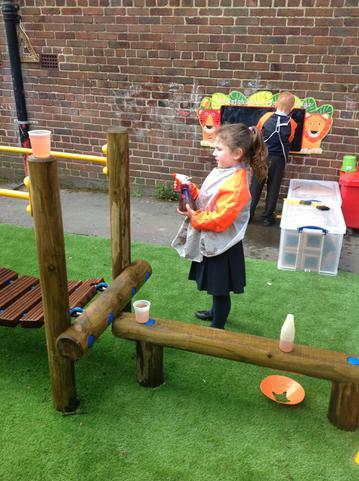 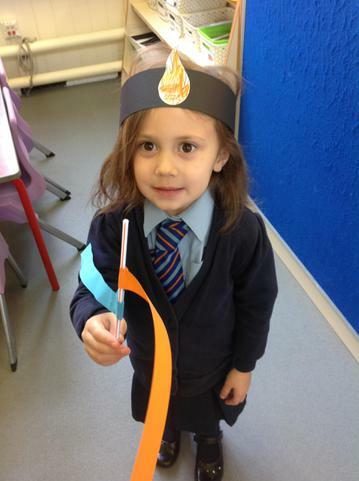 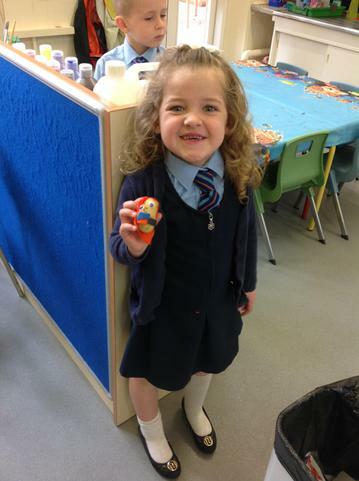 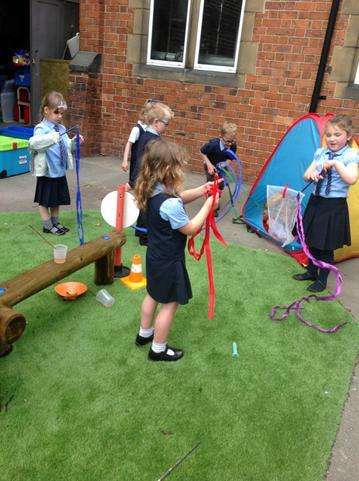 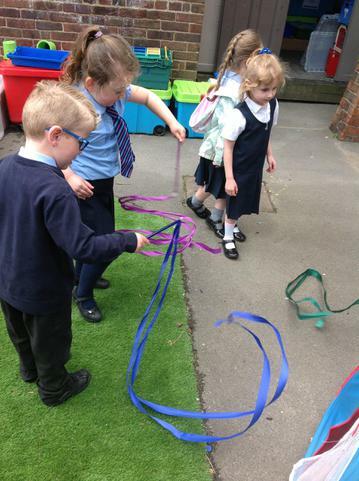 This week year 1 children used a range of objects to learn about multiplication. 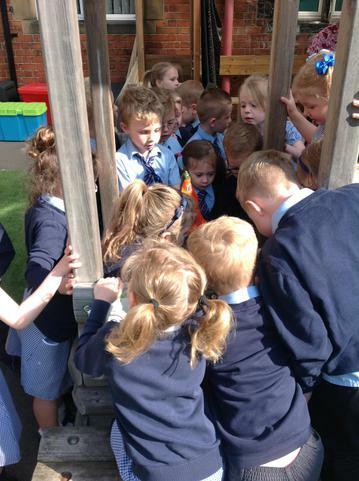 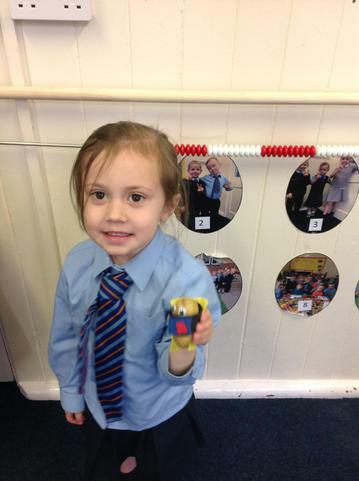 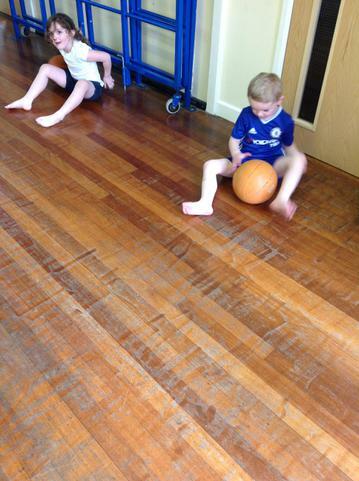 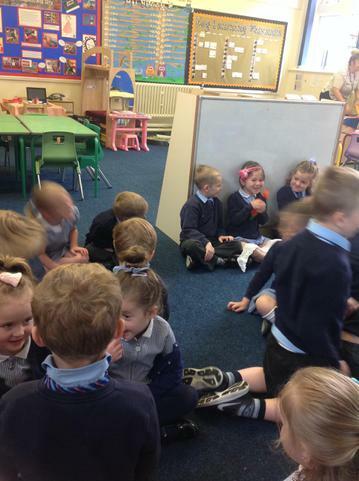 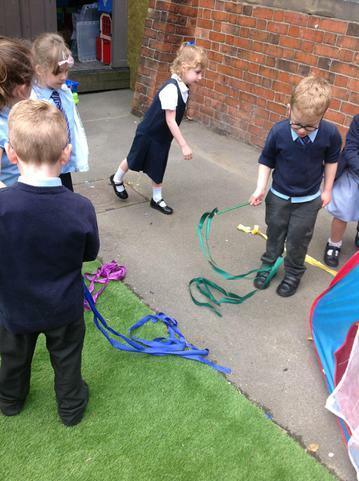 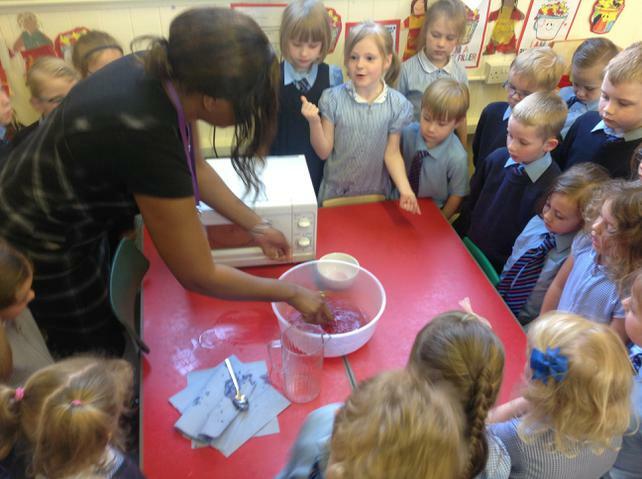 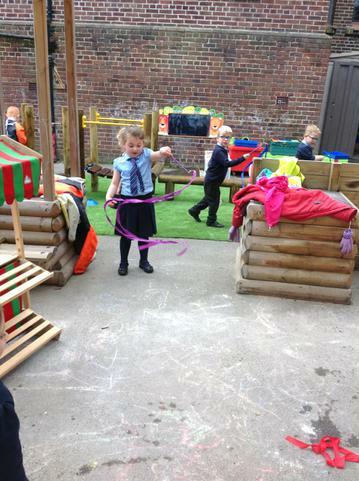 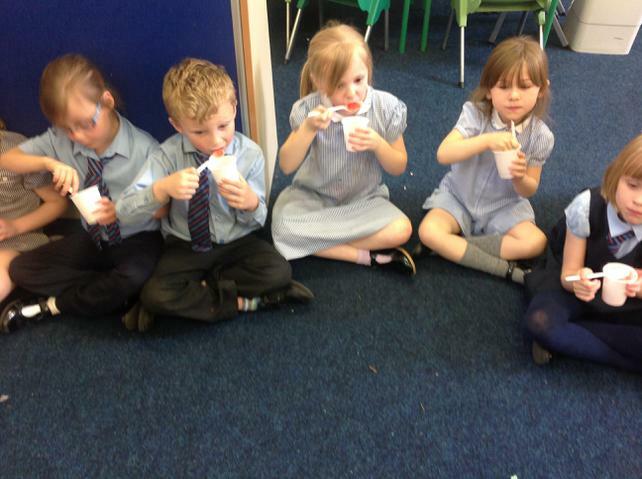 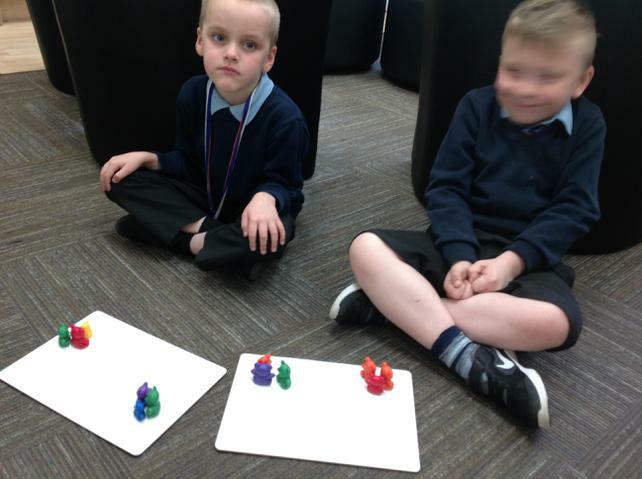 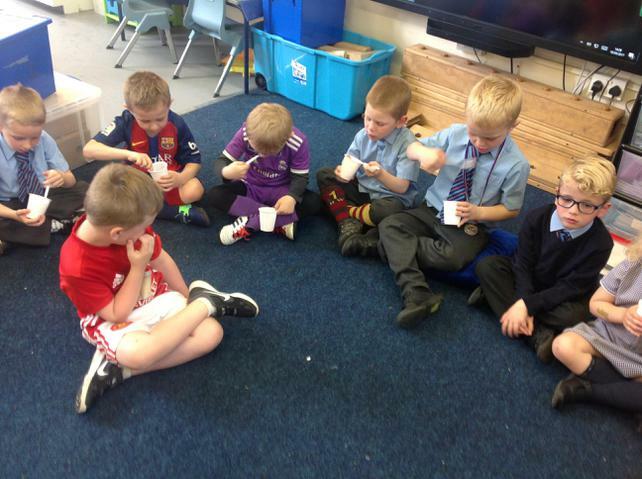 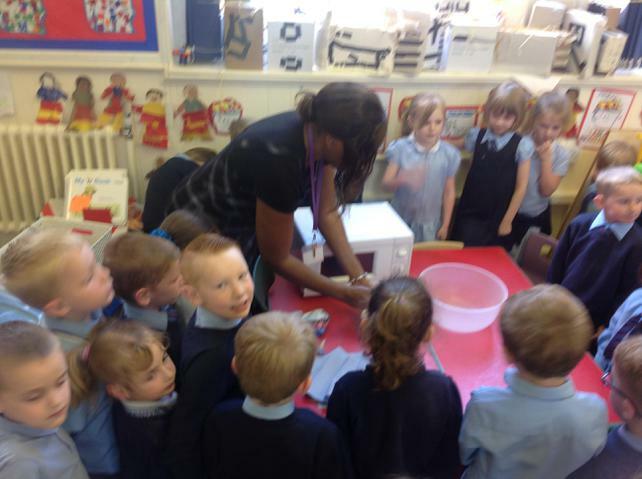 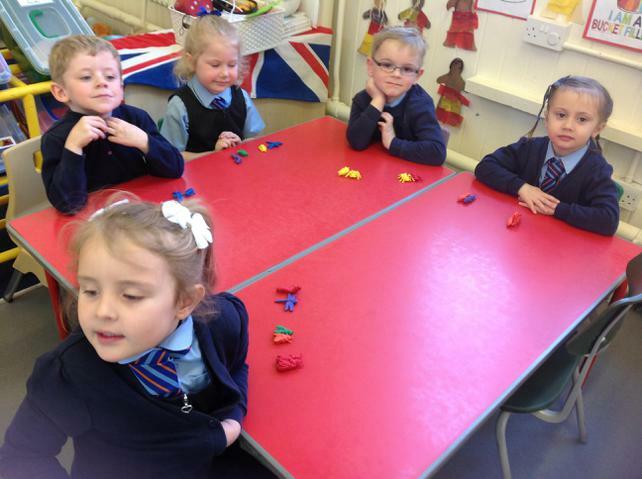 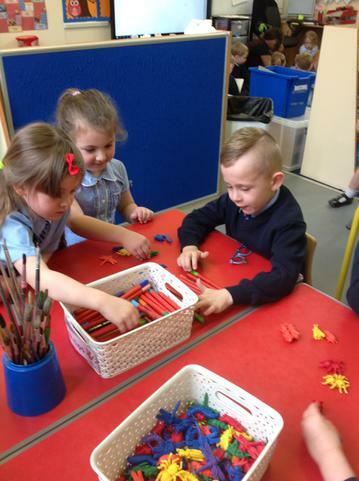 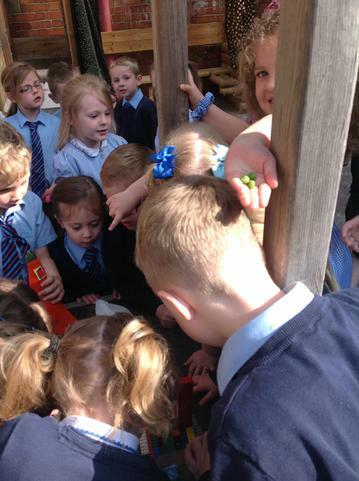 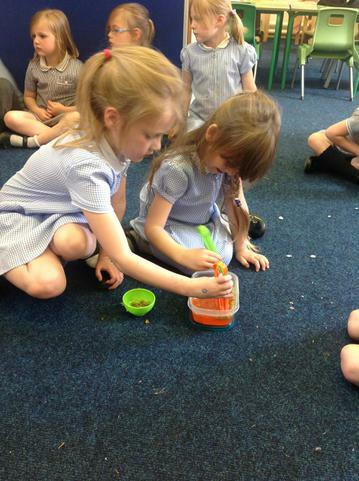 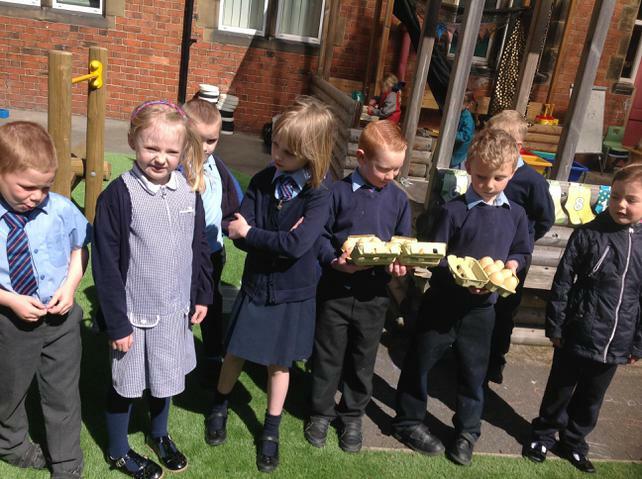 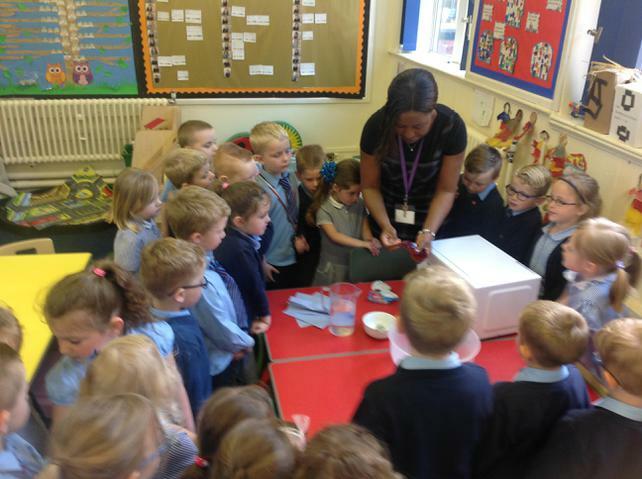 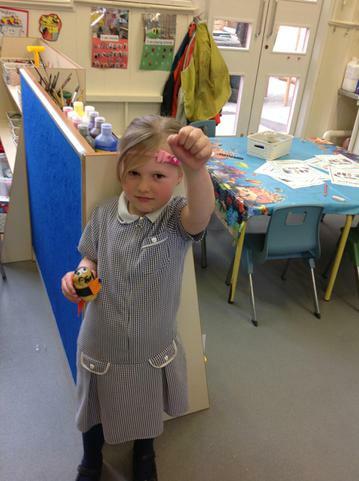 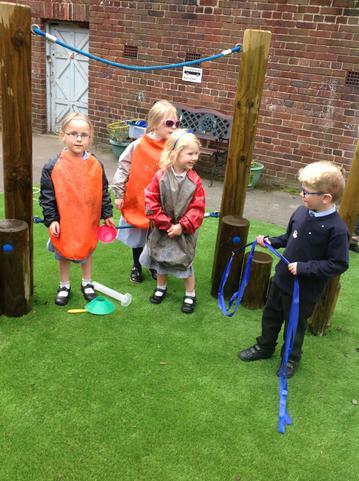 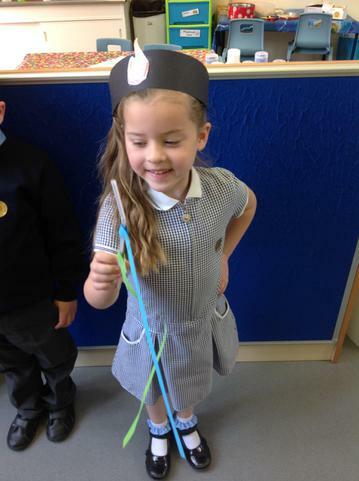 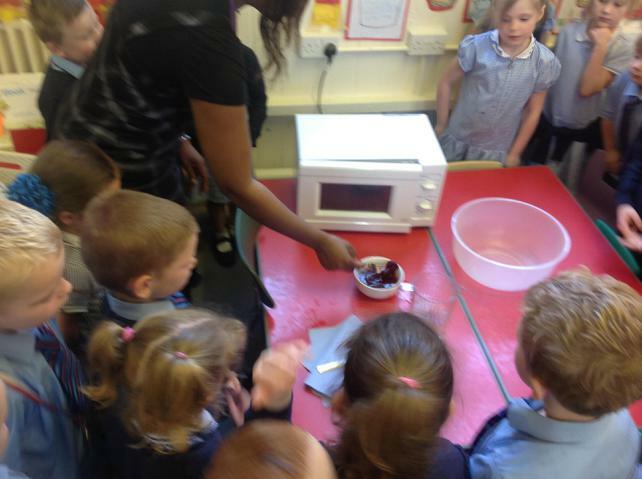 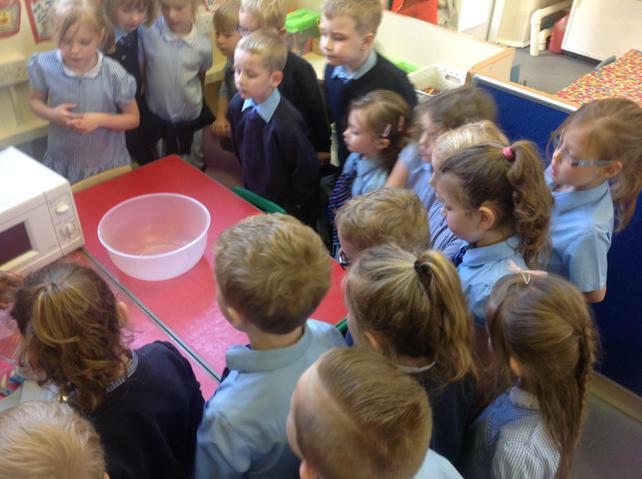 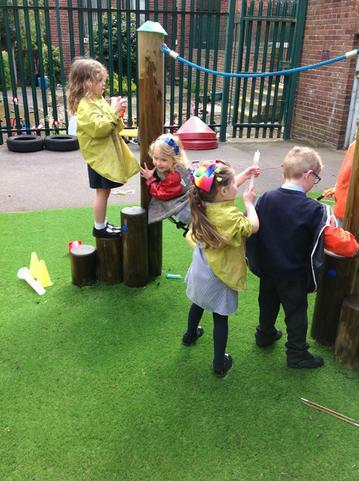 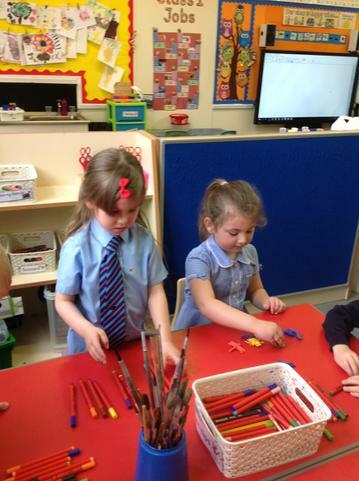 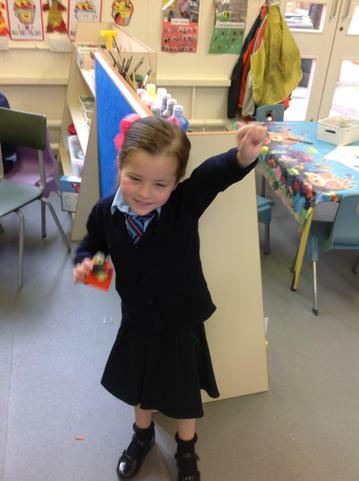 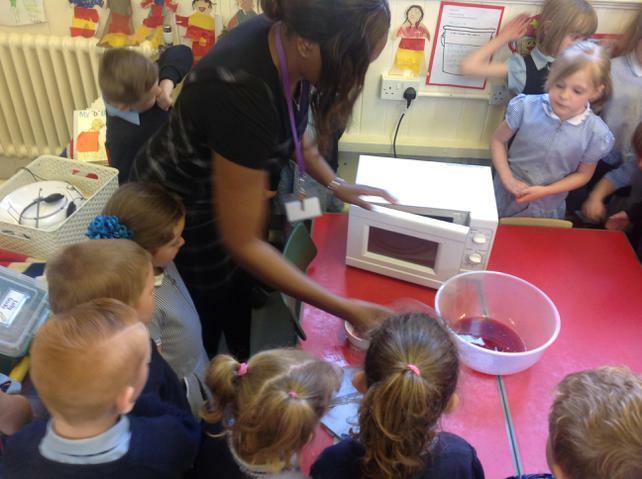 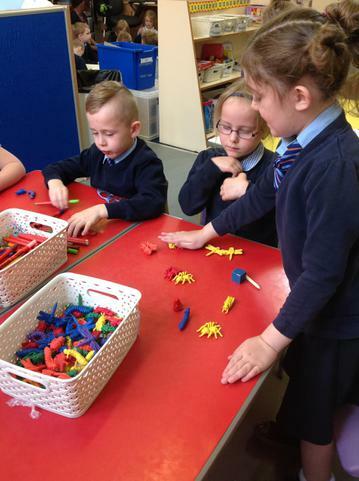 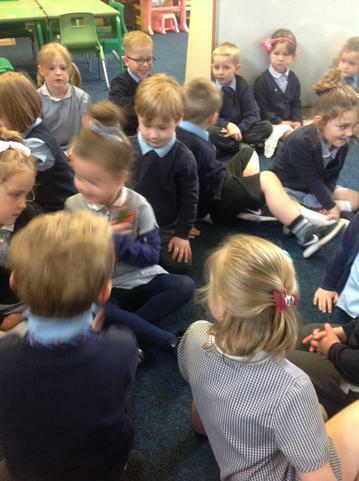 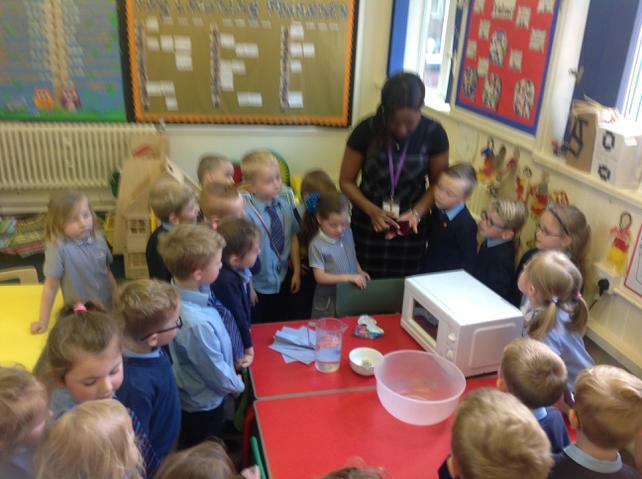 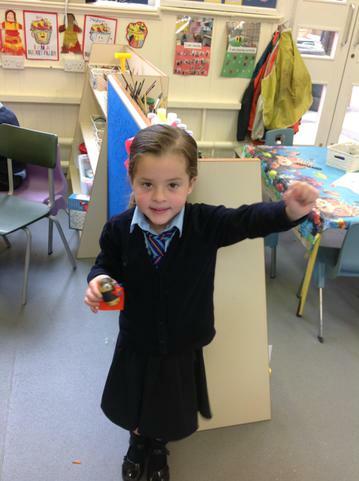 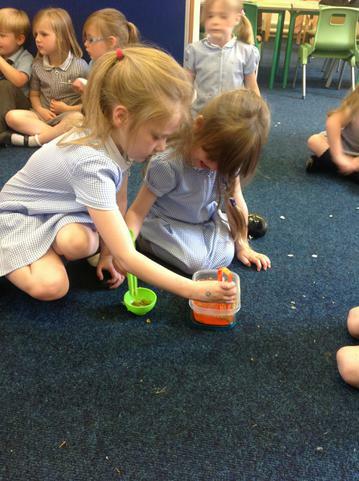 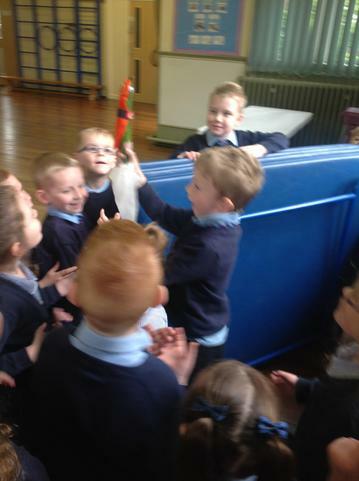 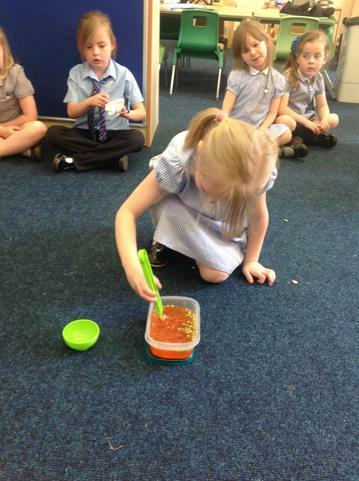 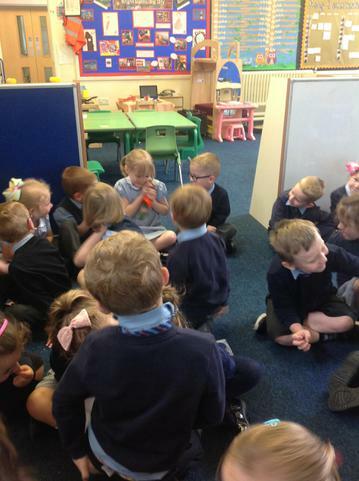 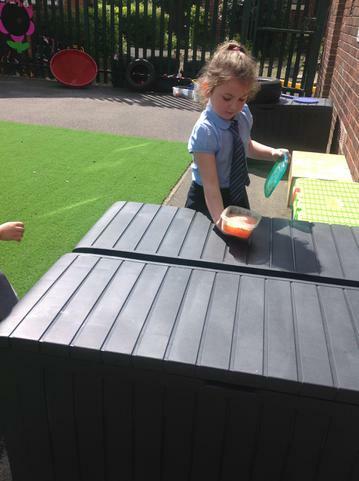 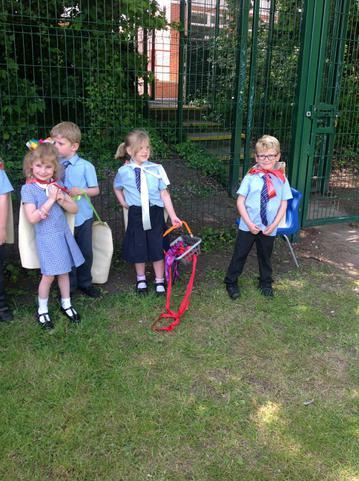 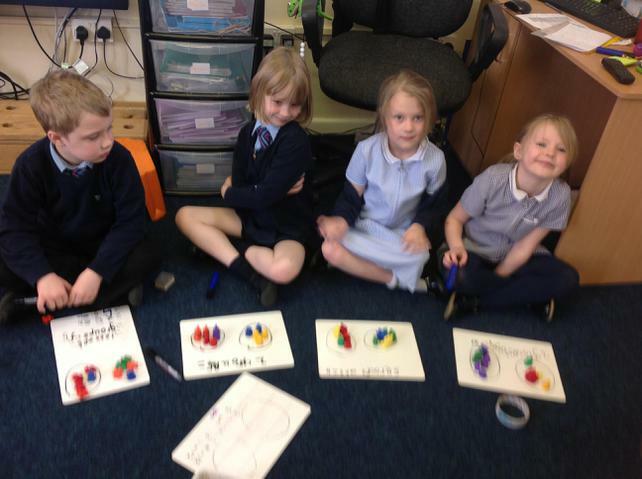 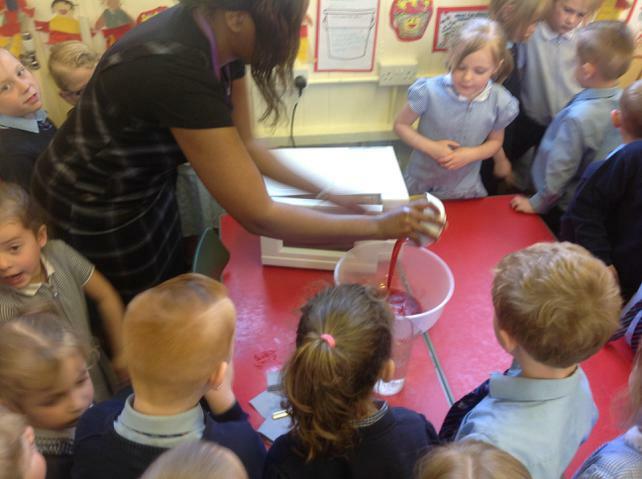 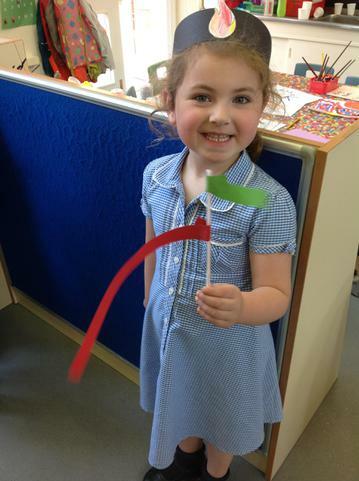 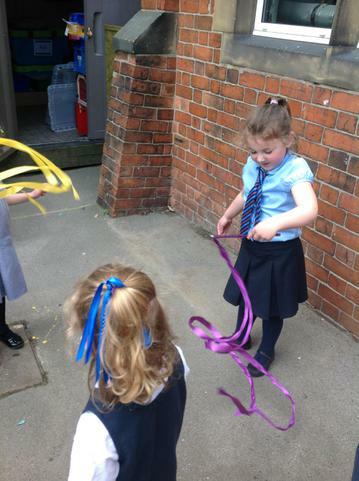 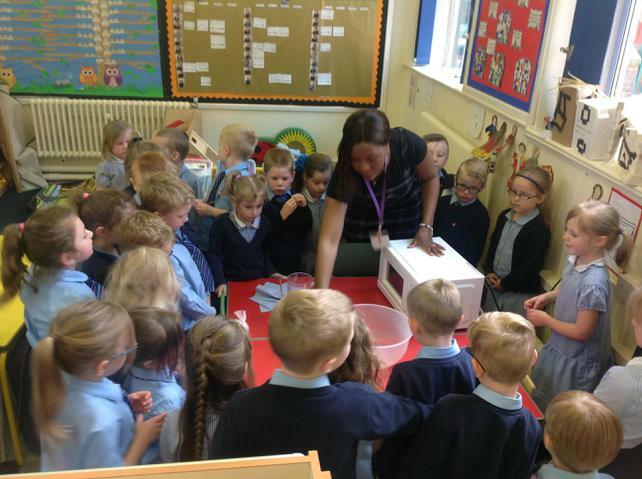 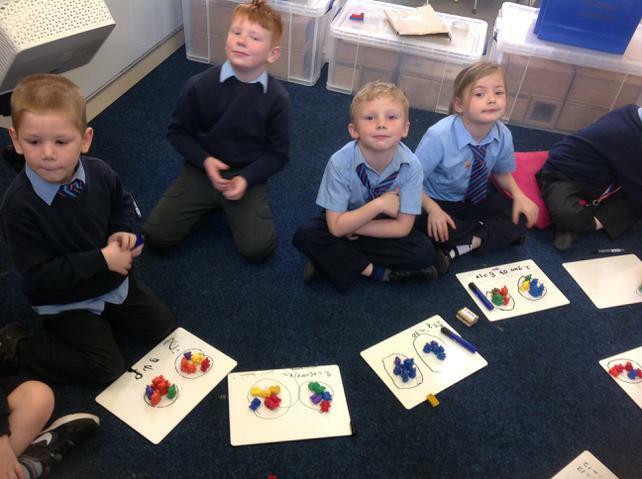 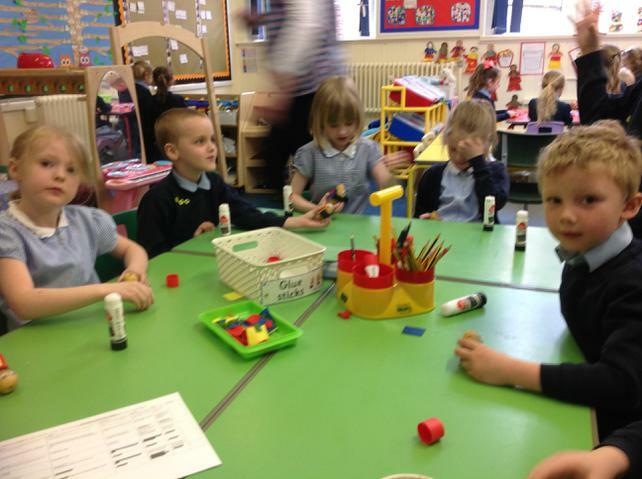 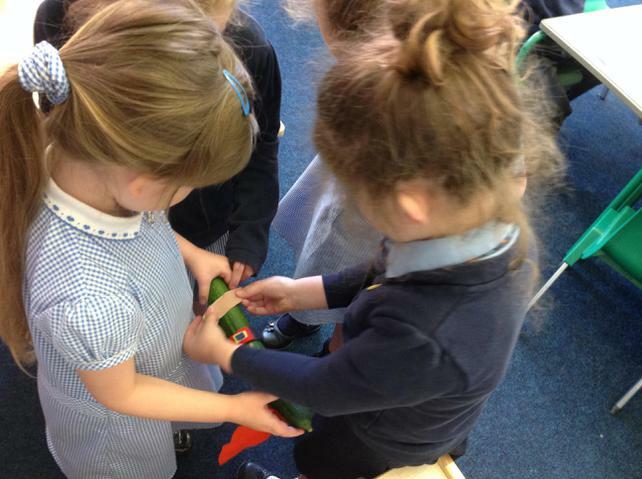 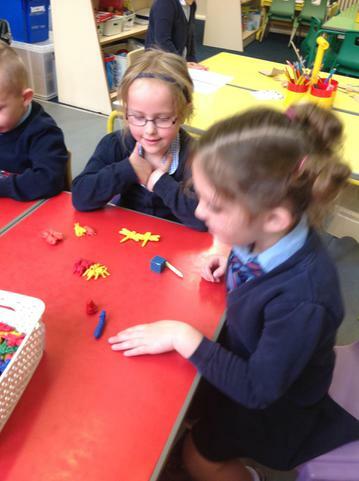 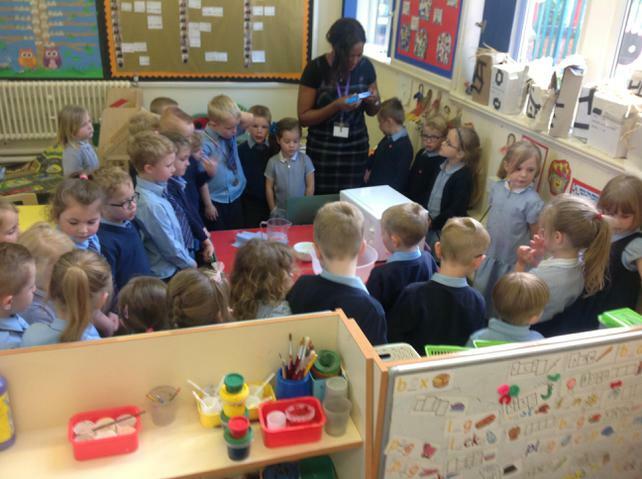 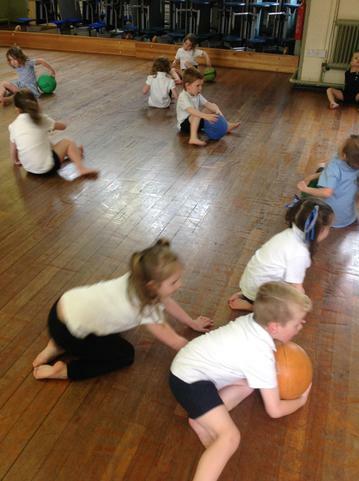 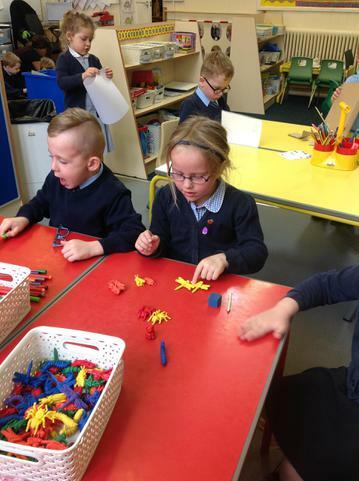 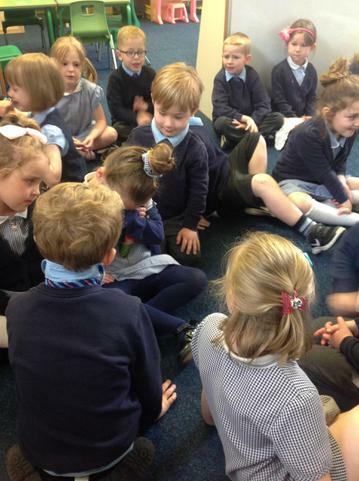 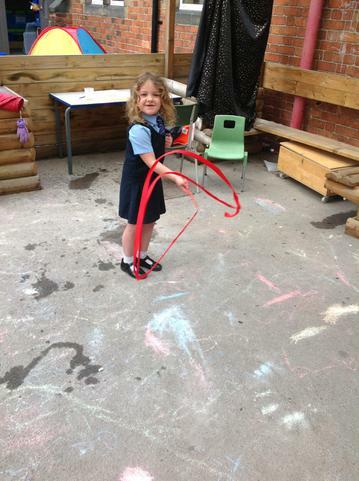 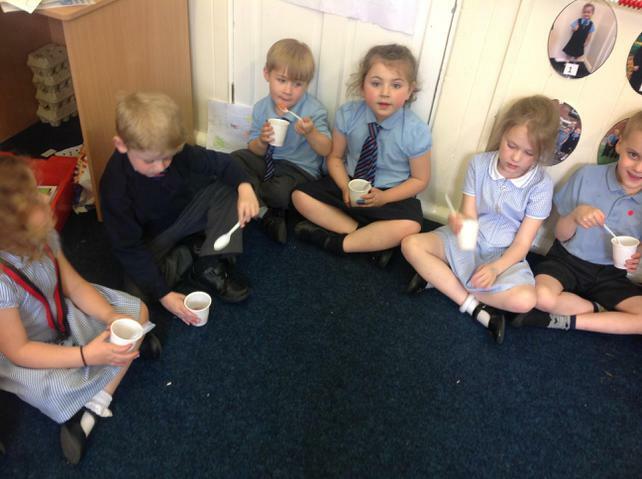 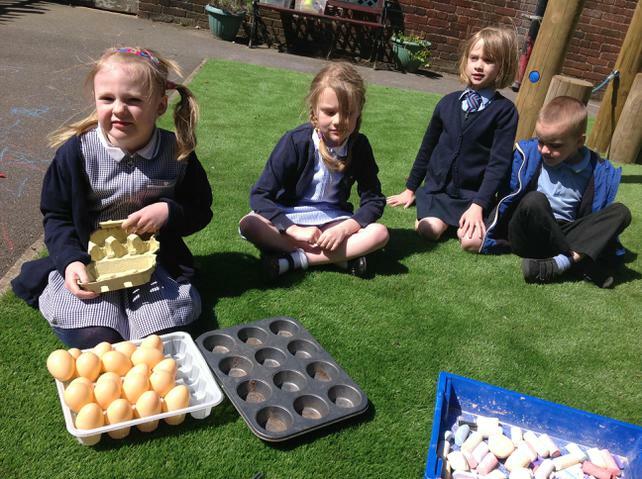 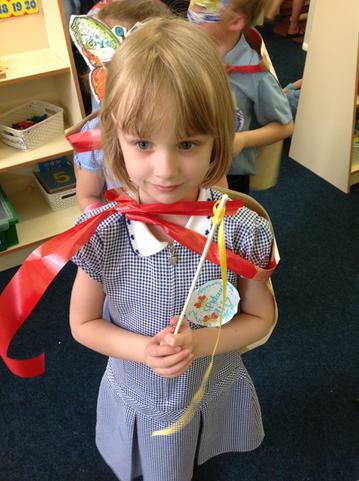 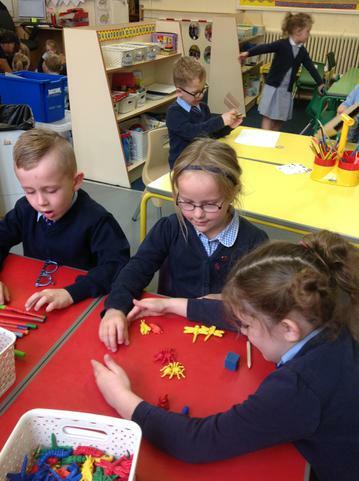 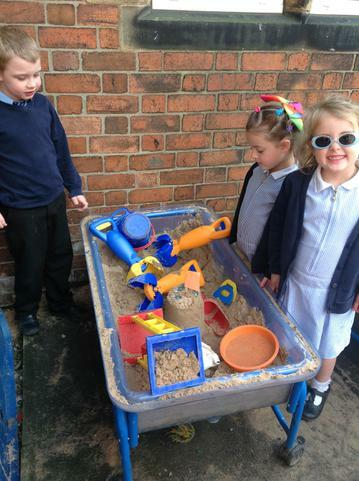 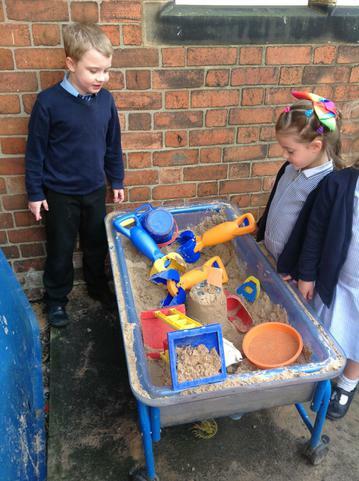 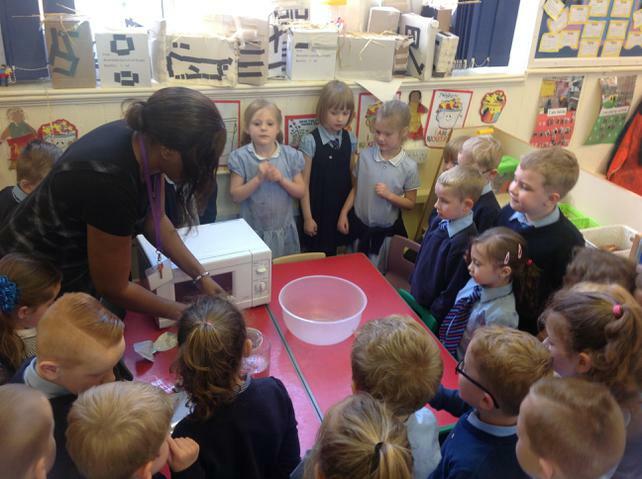 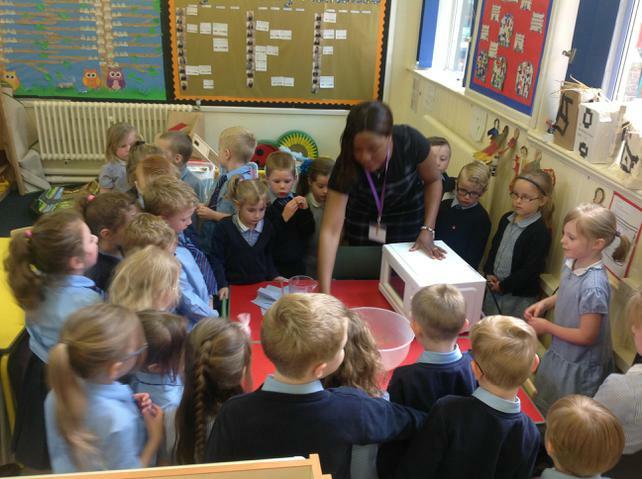 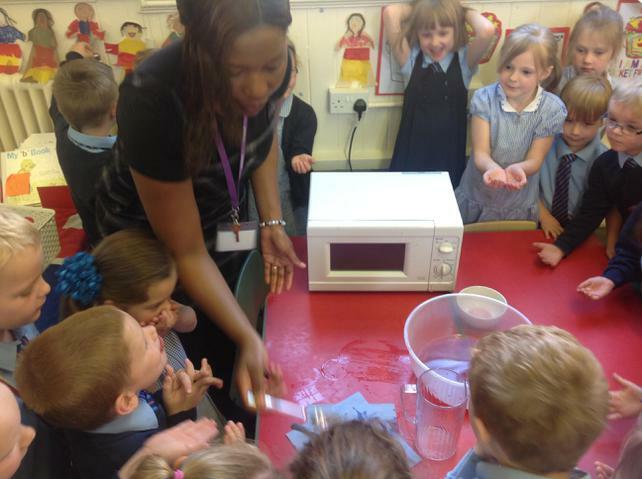 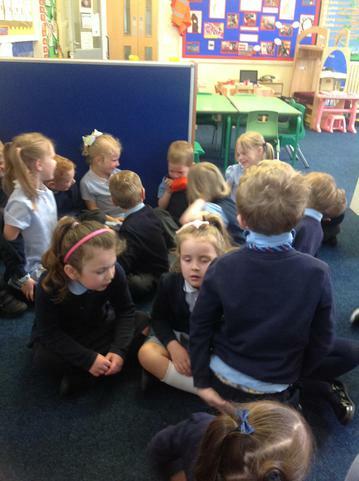 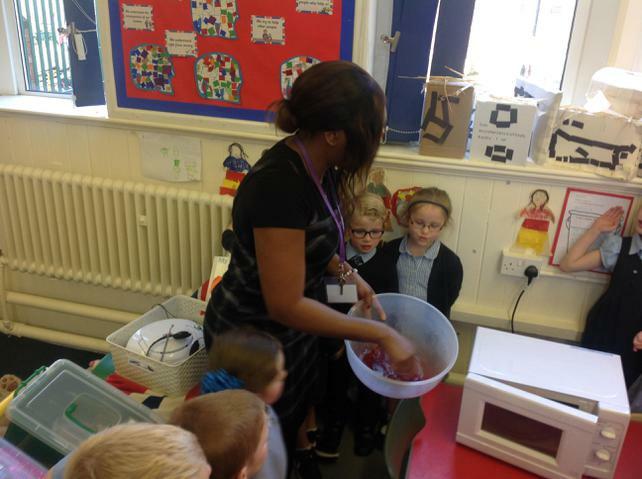 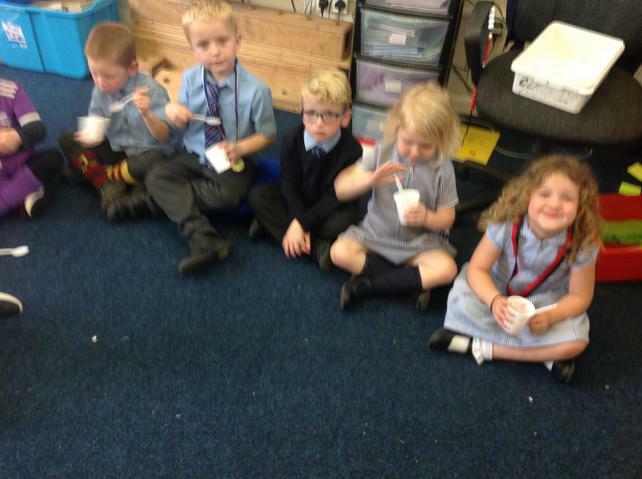 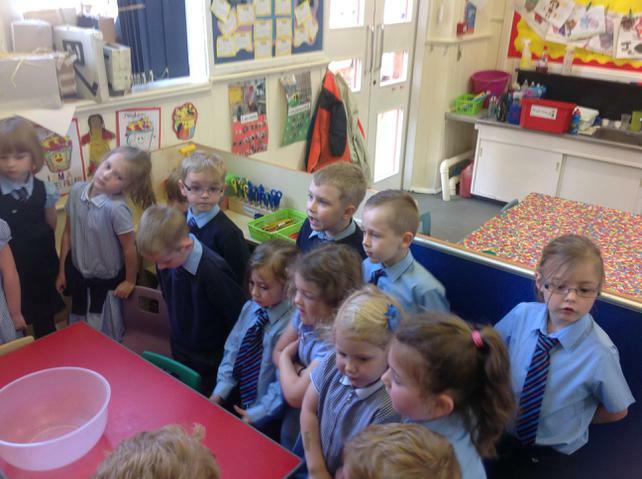 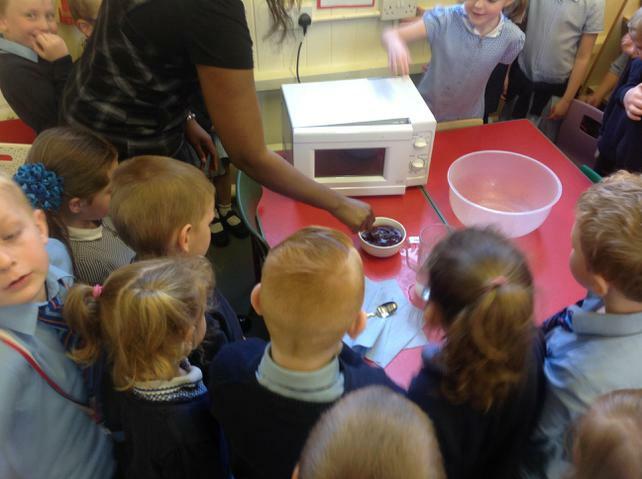 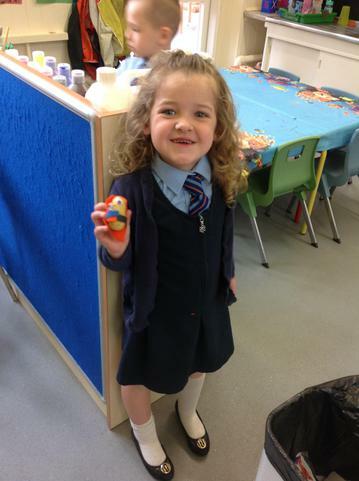 Reception children were learning about grouping objects. 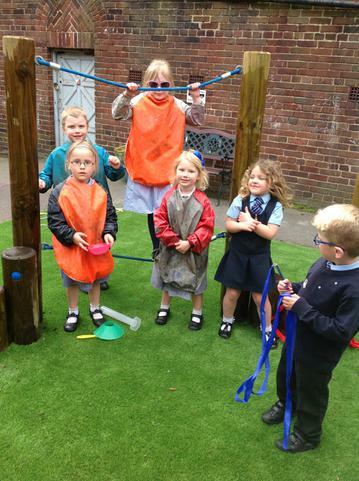 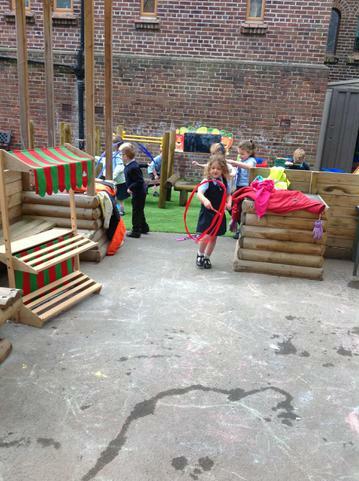 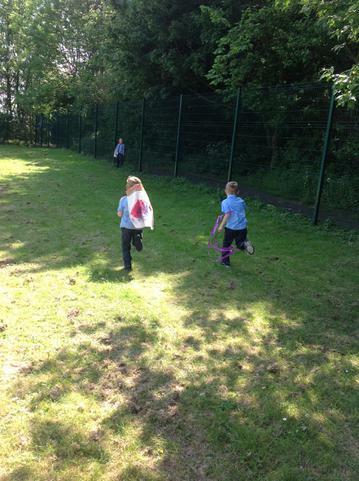 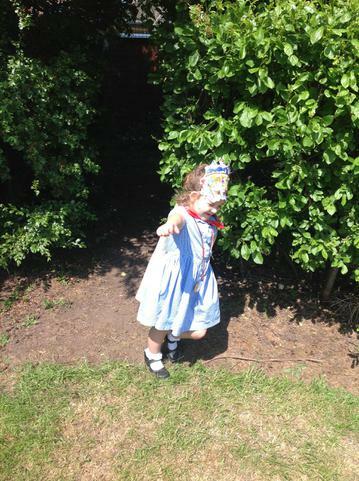 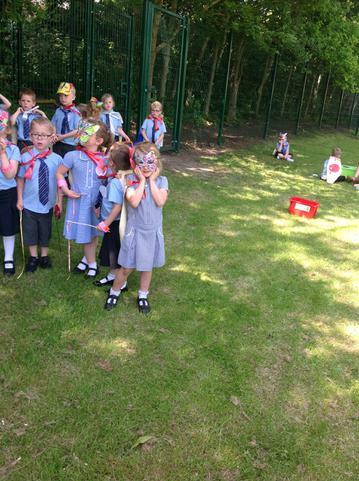 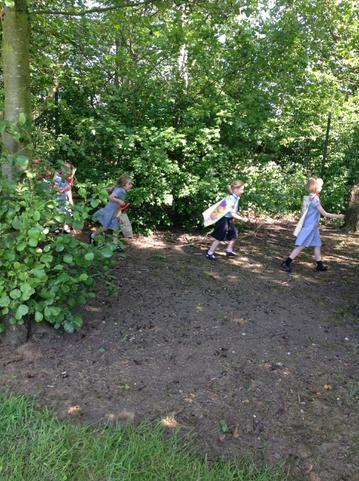 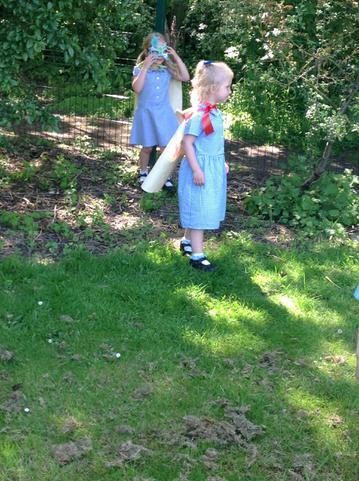 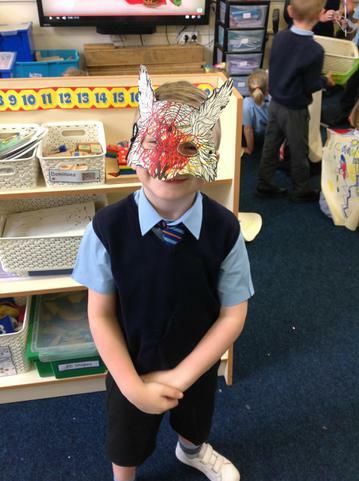 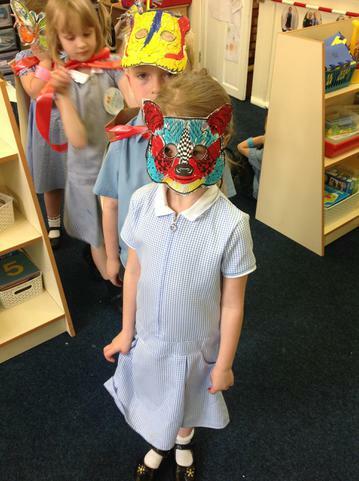 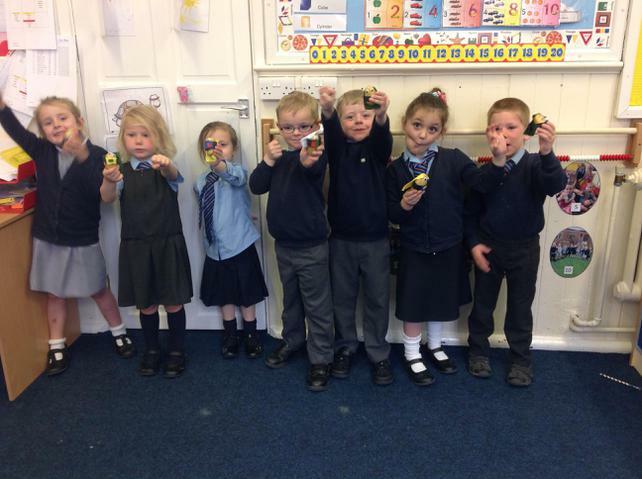 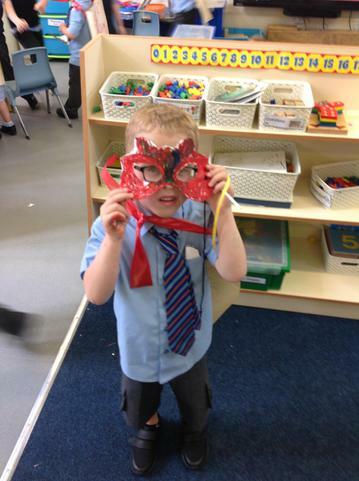 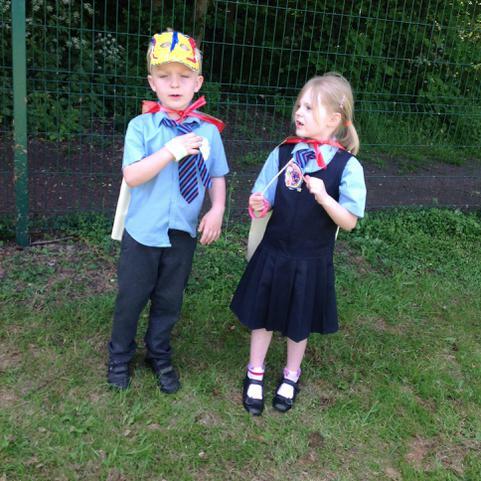 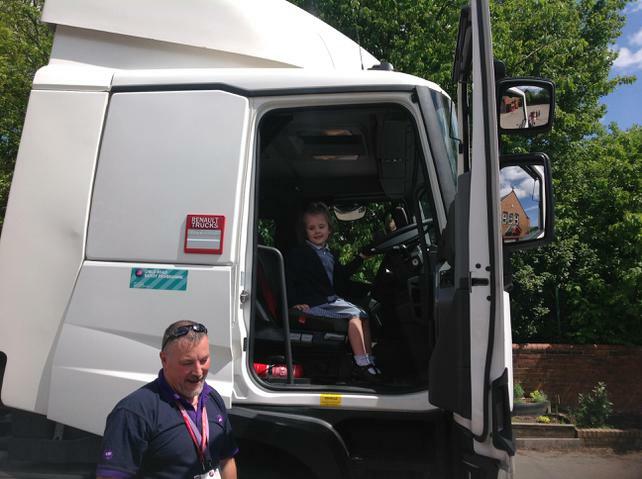 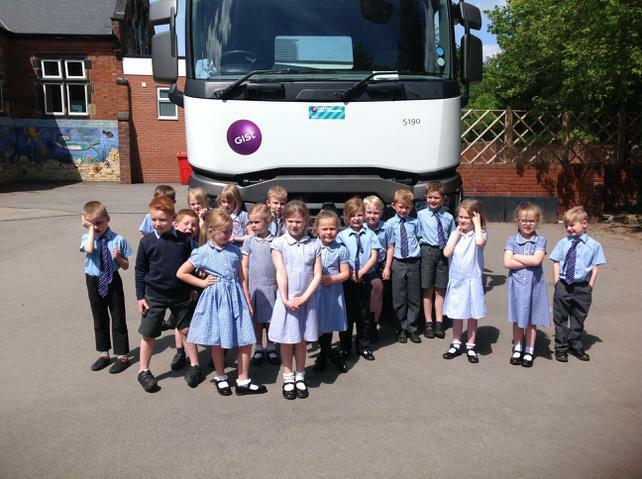 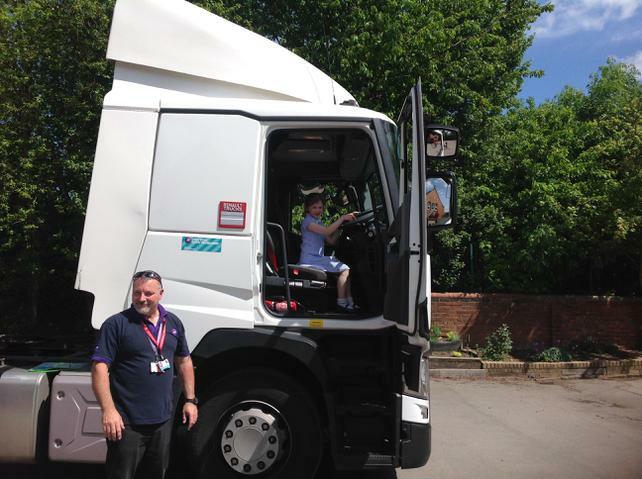 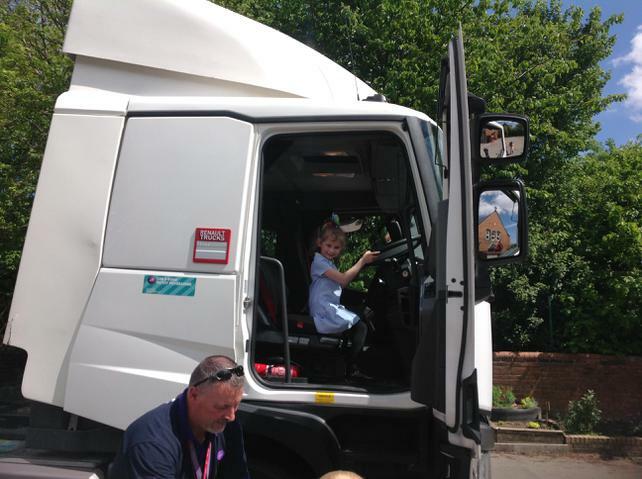 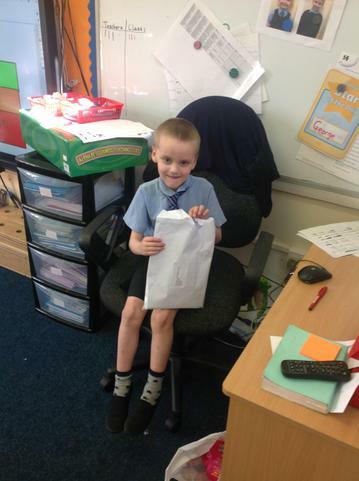 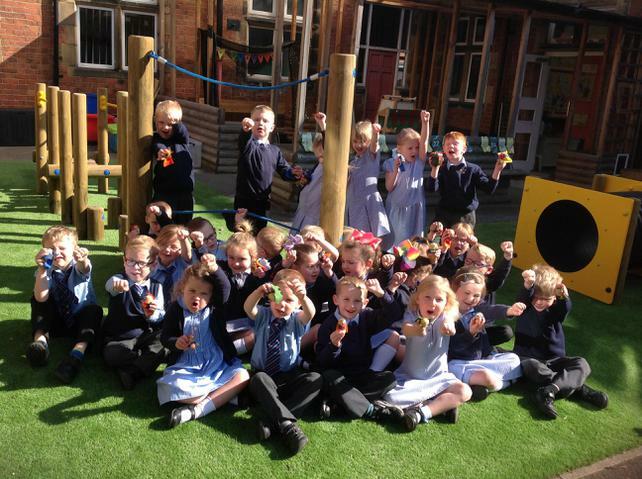 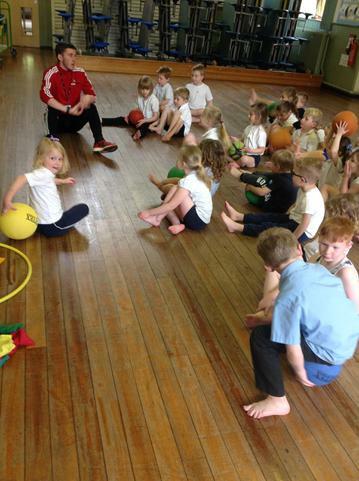 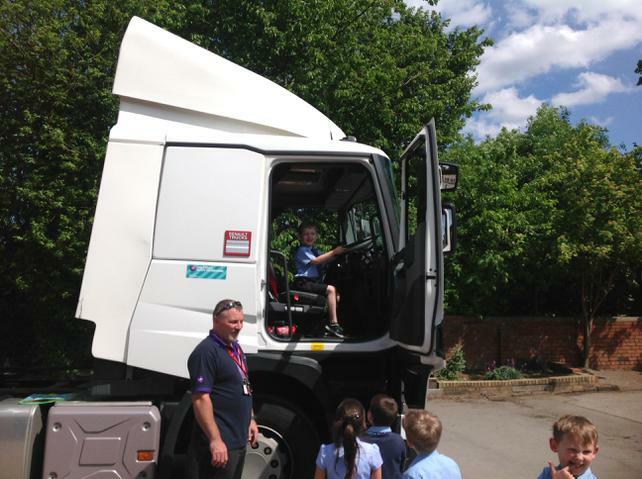 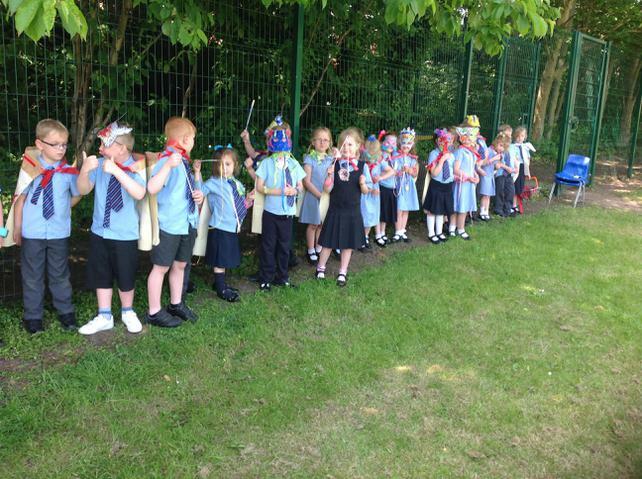 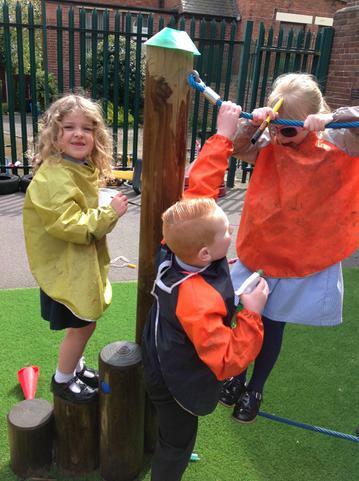 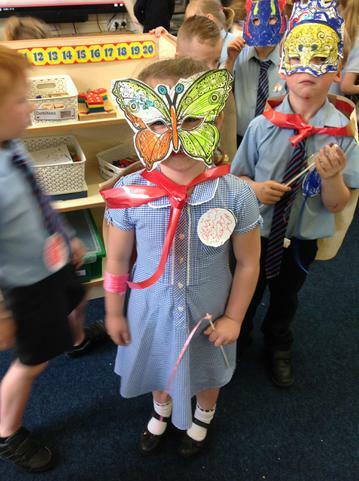 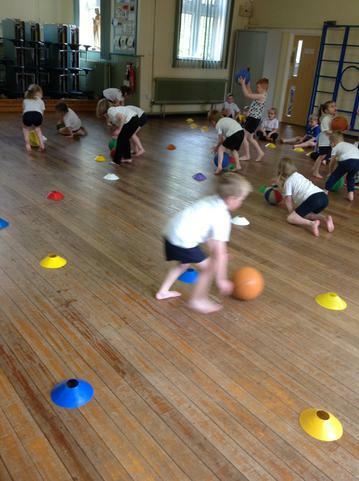 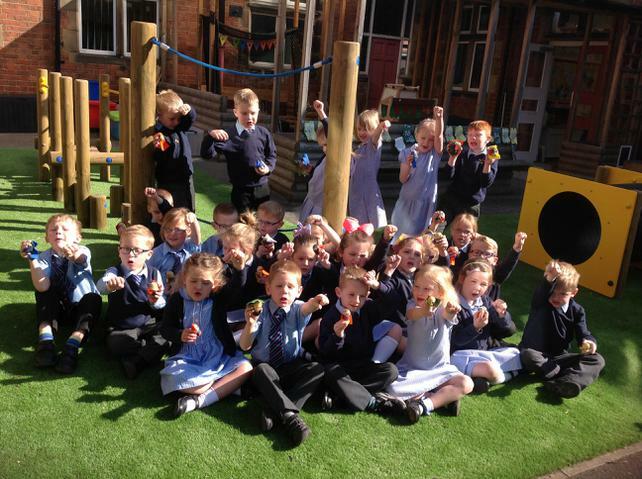 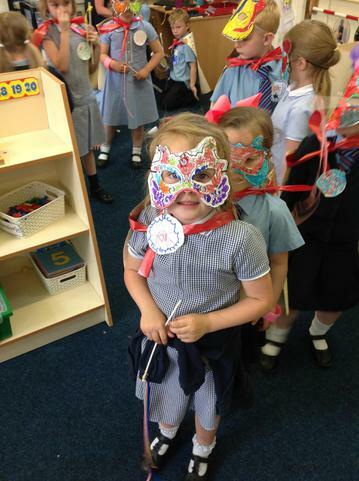 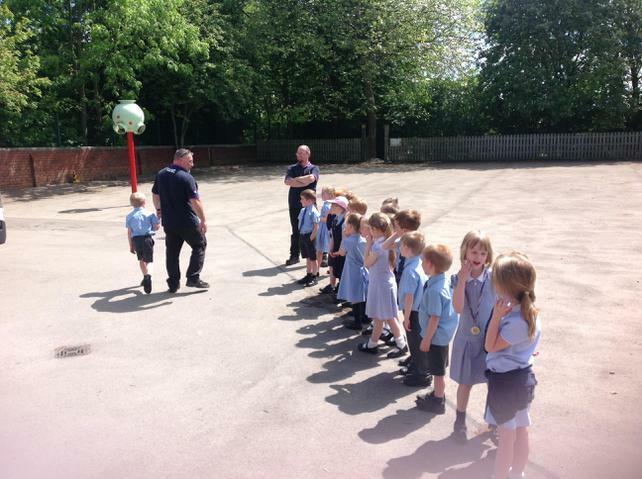 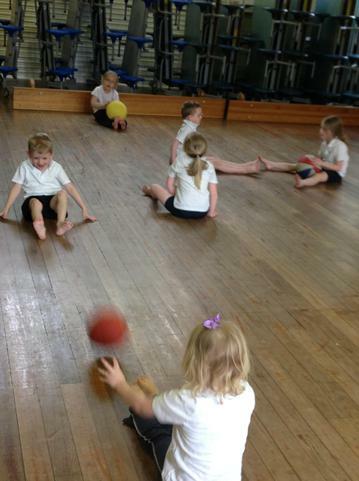 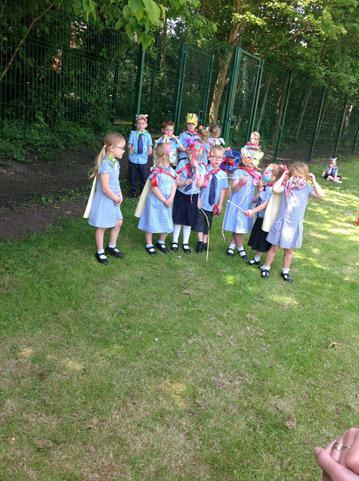 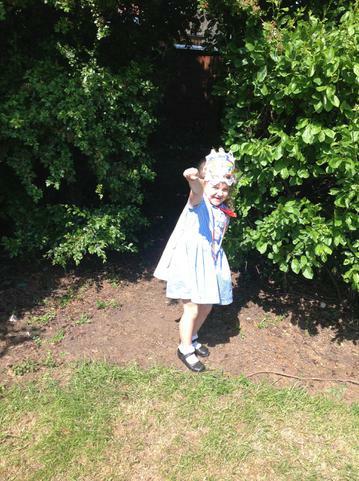 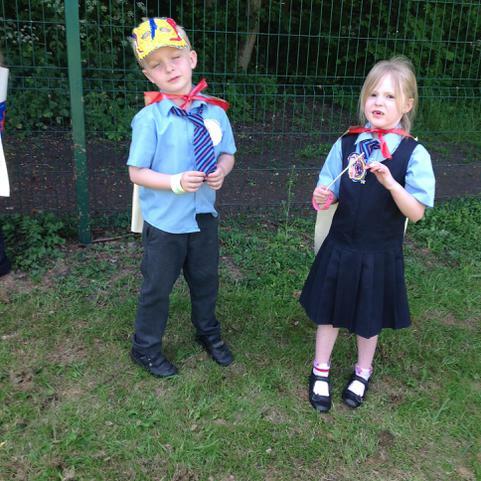 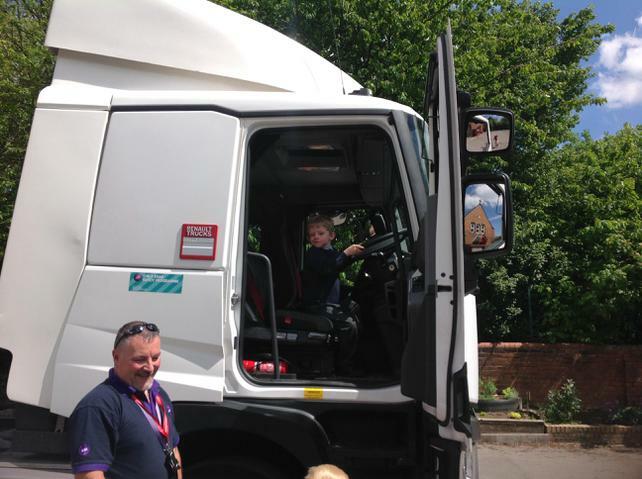 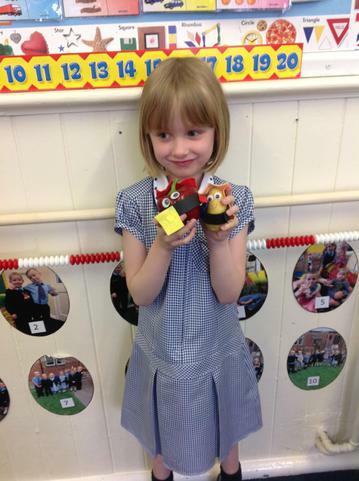 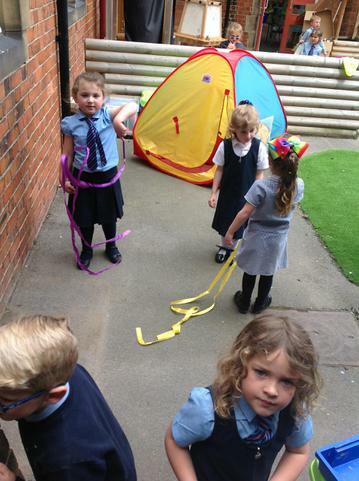 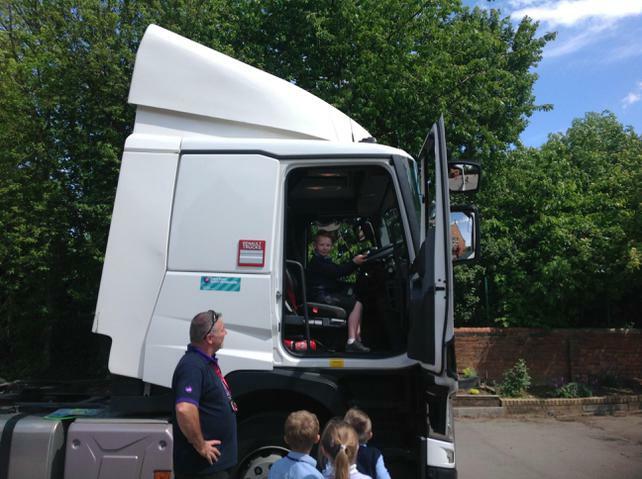 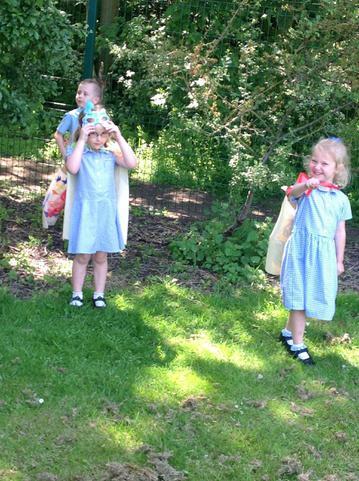 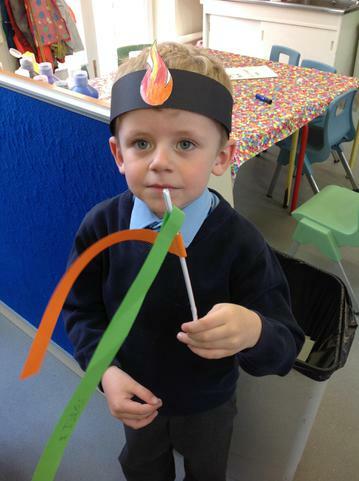 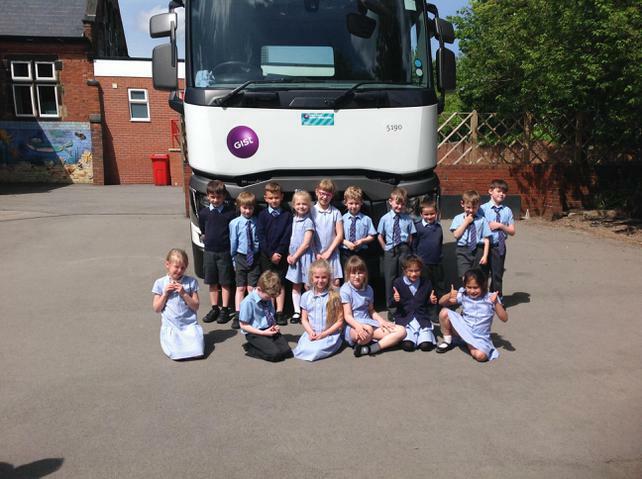 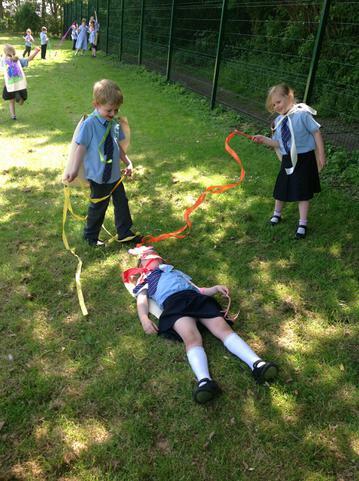 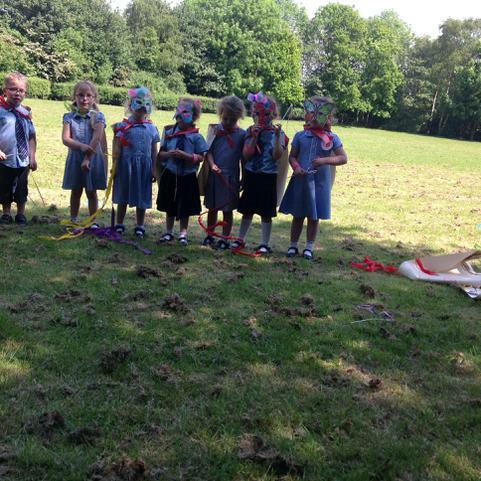 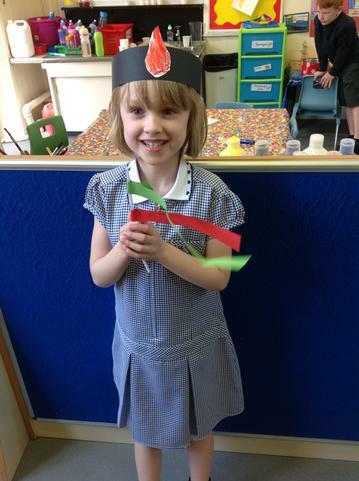 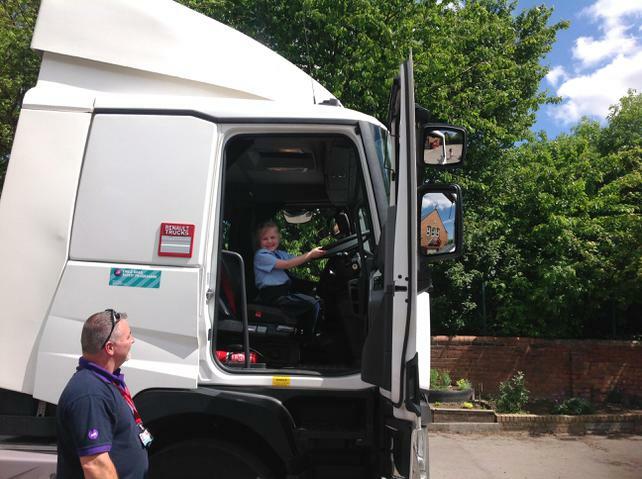 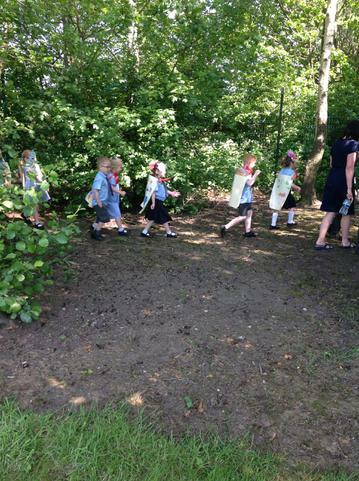 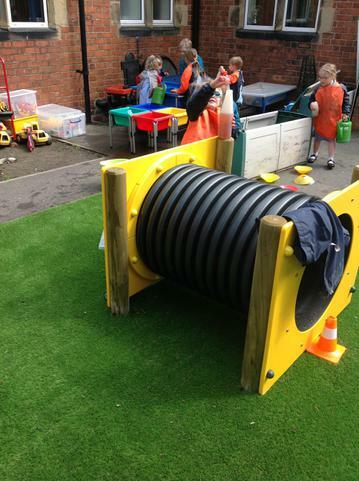 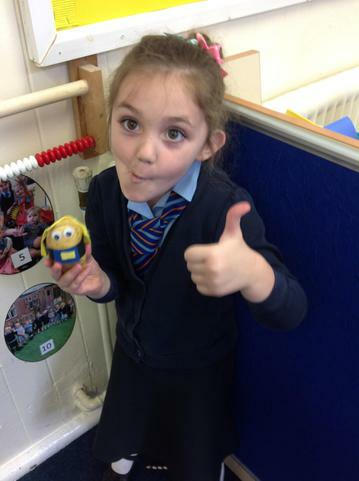 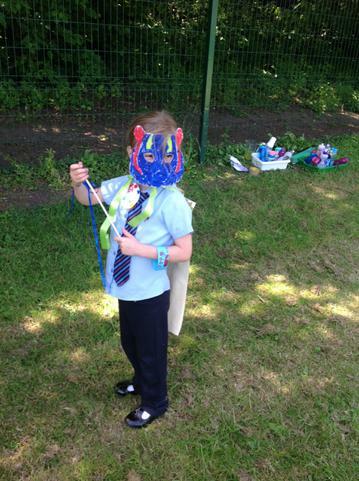 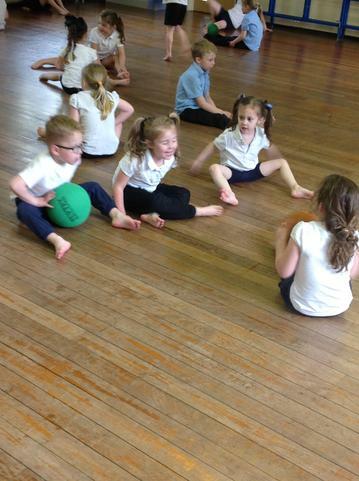 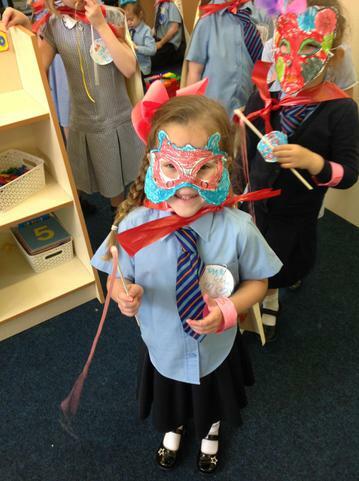 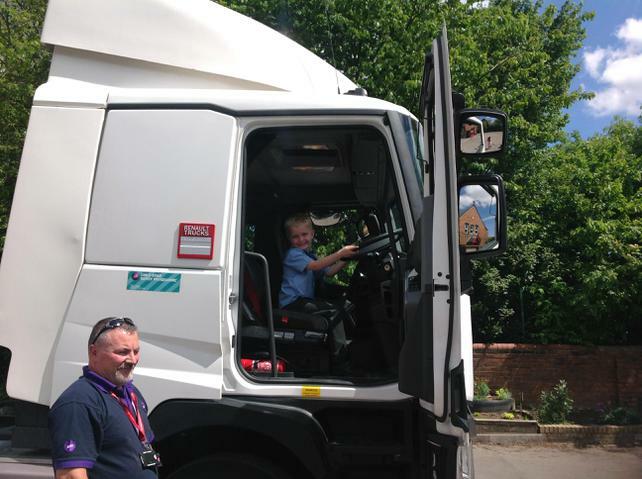 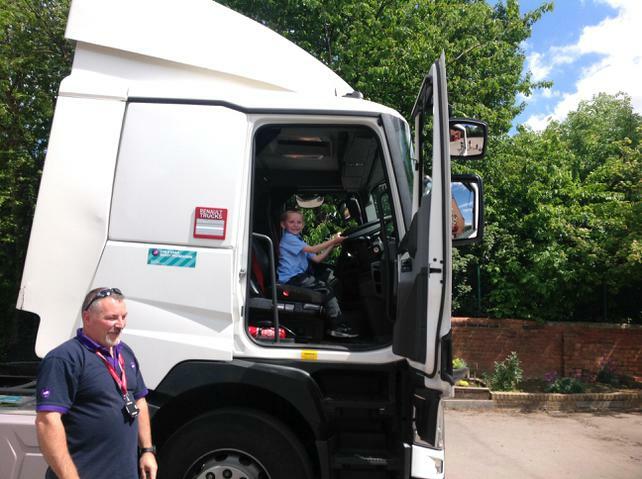 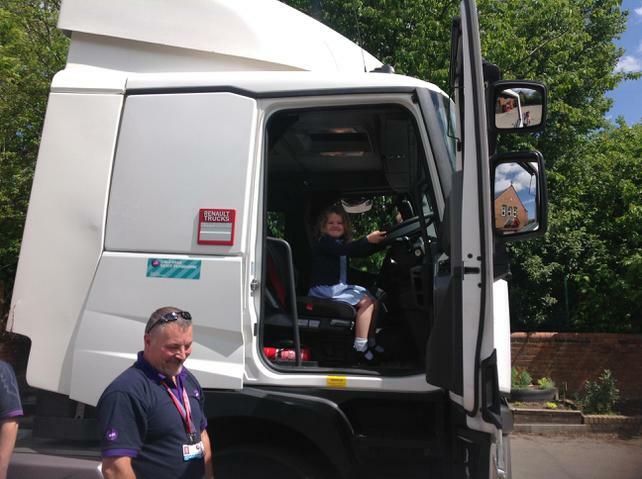 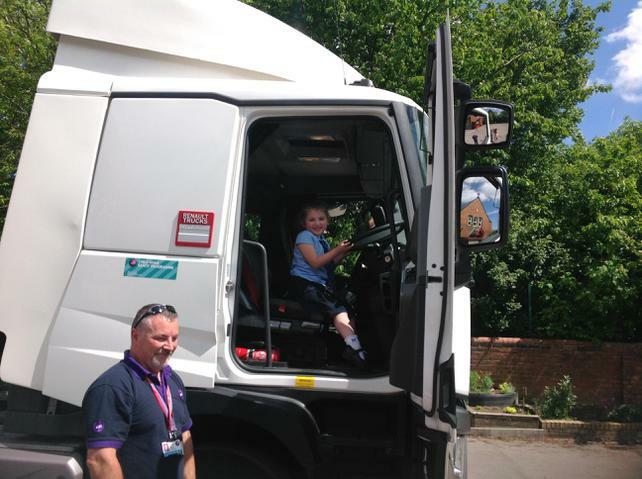 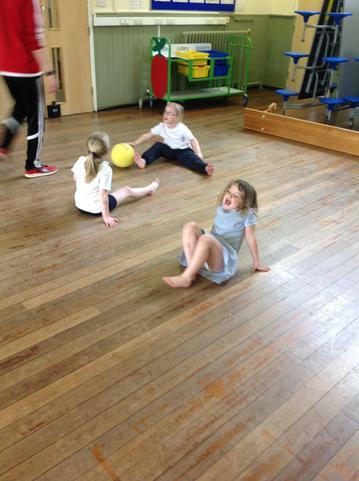 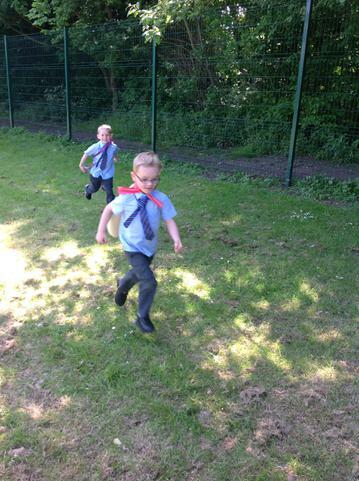 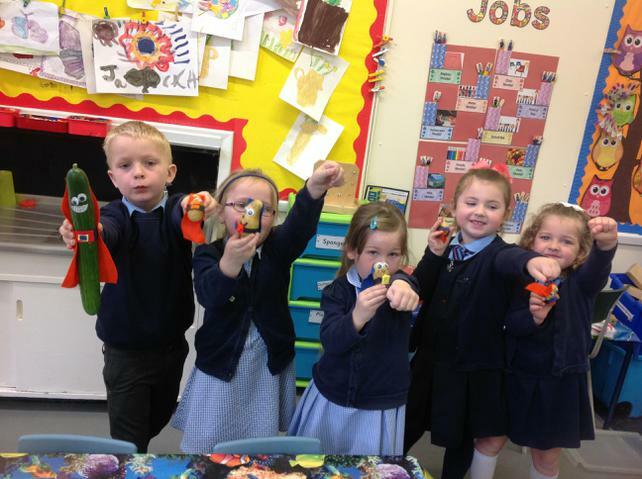 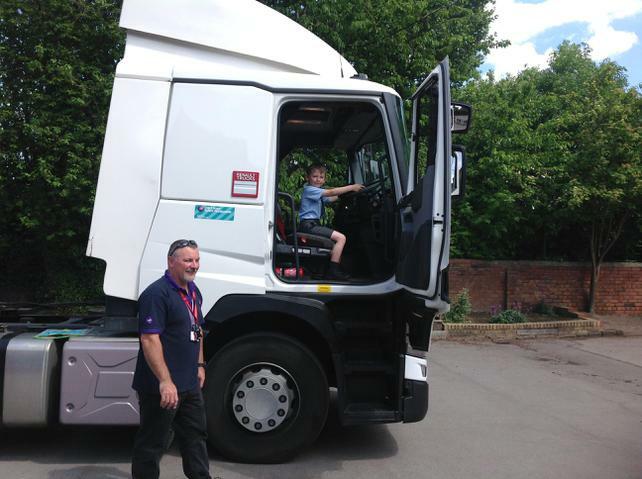 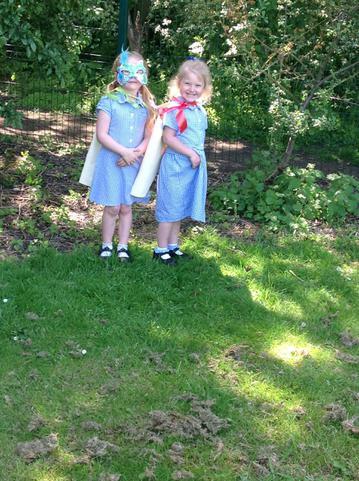 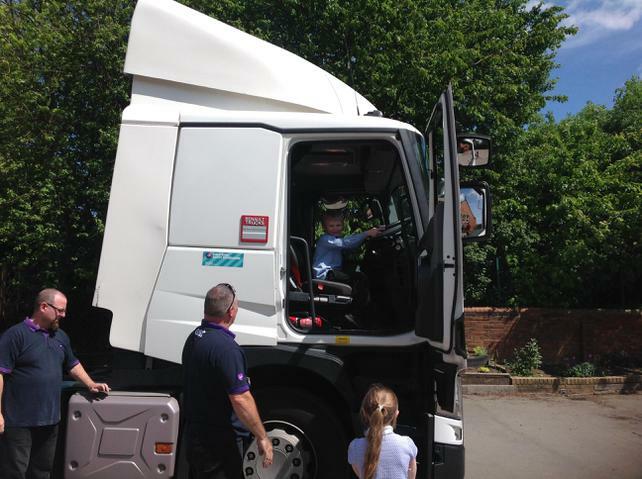 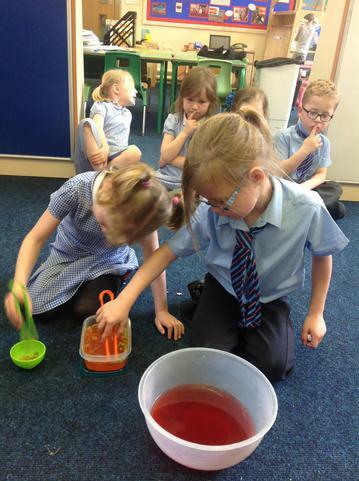 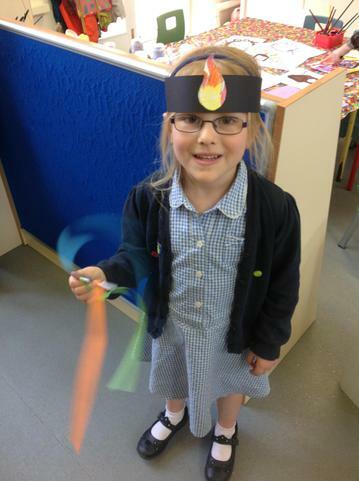 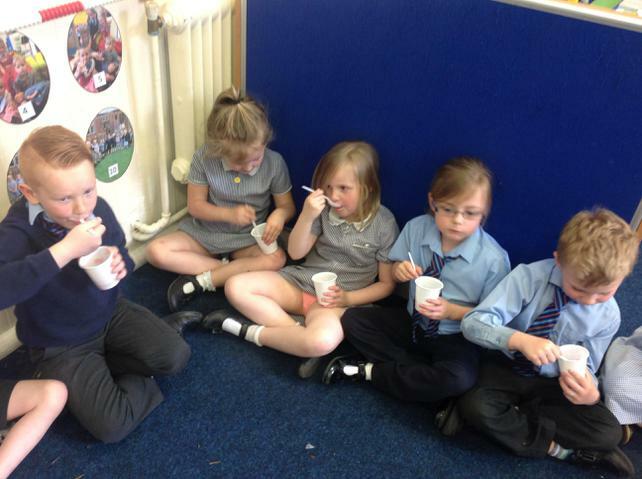 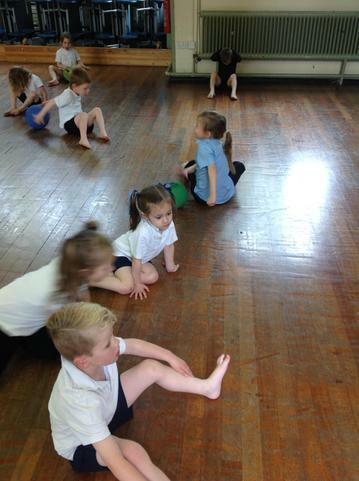 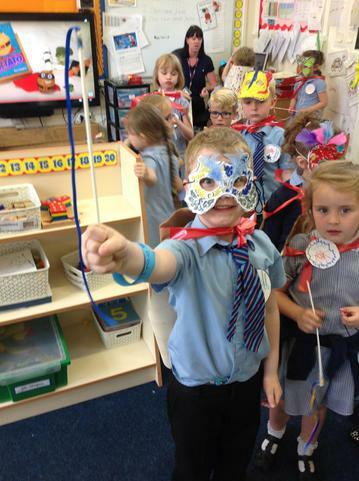 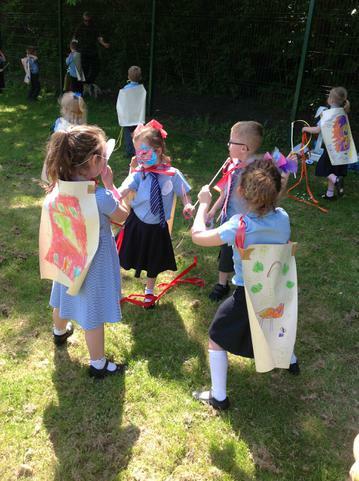 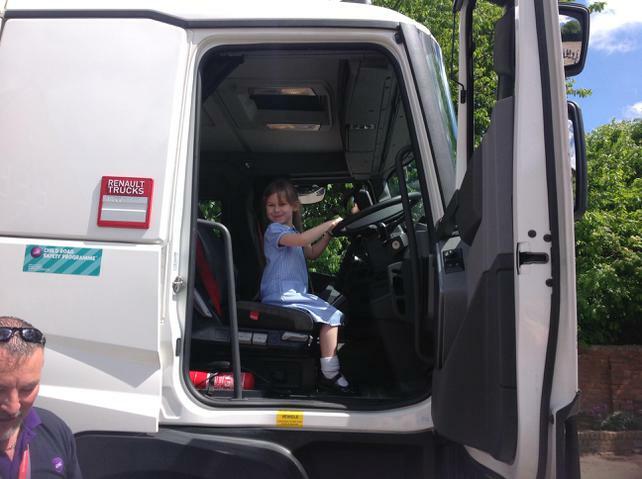 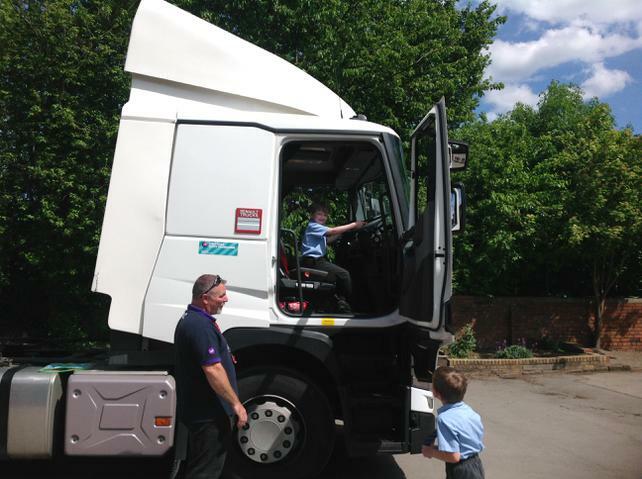 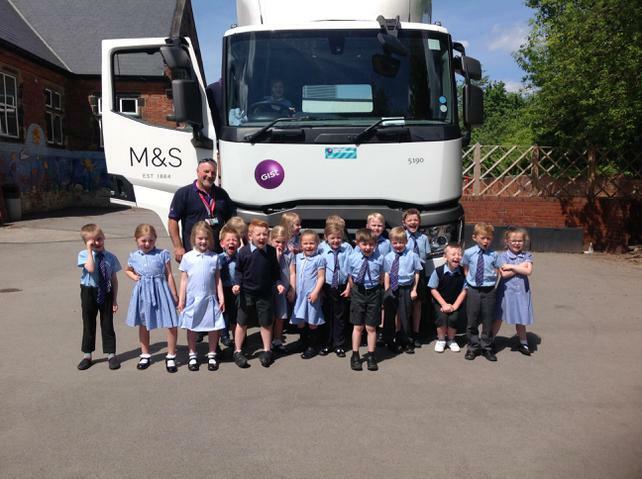 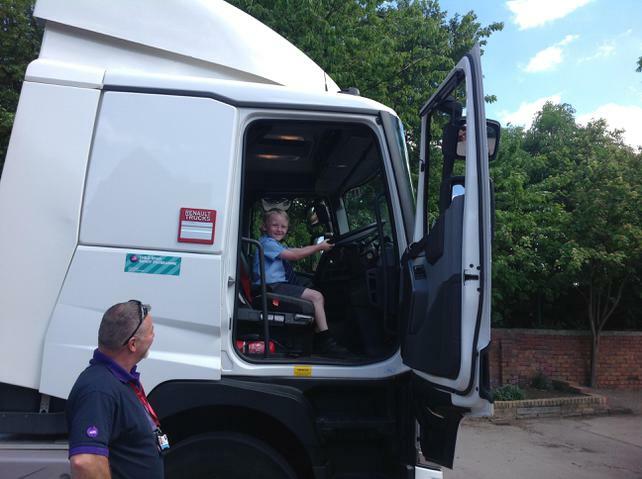 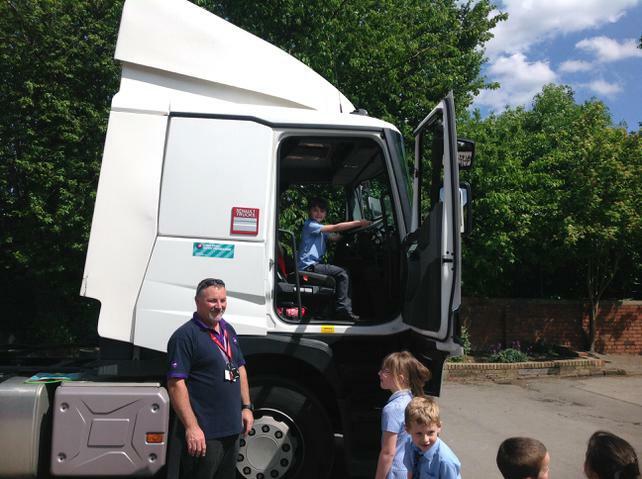 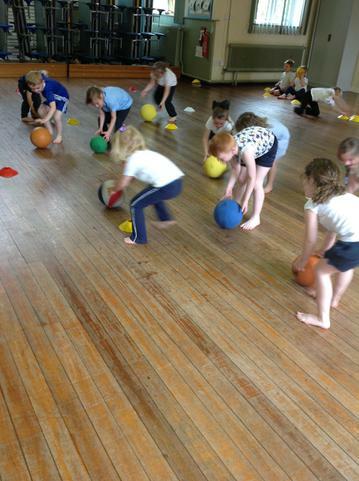 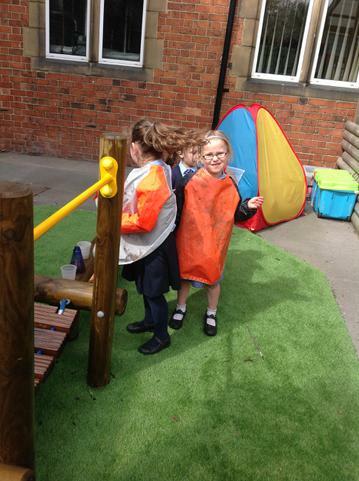 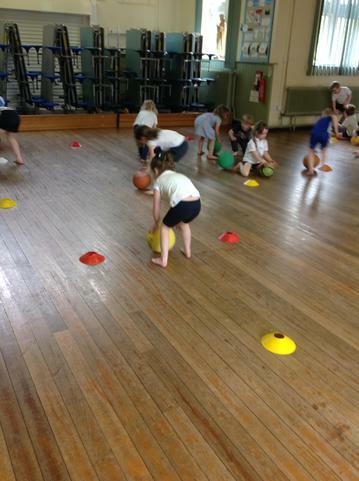 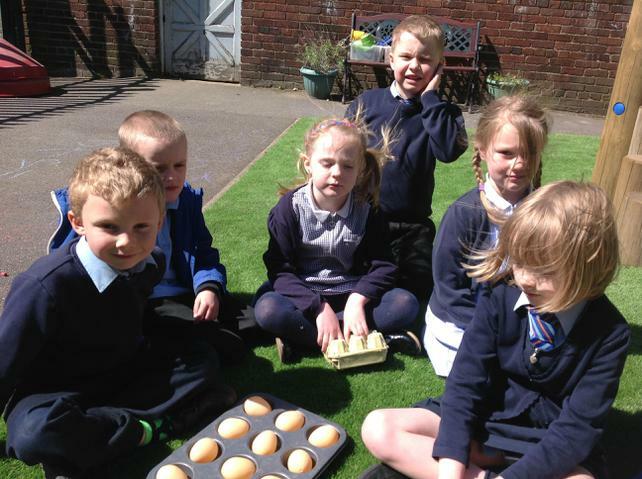 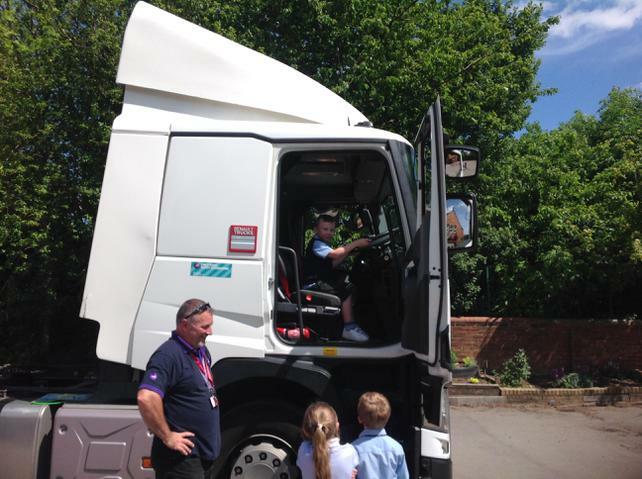 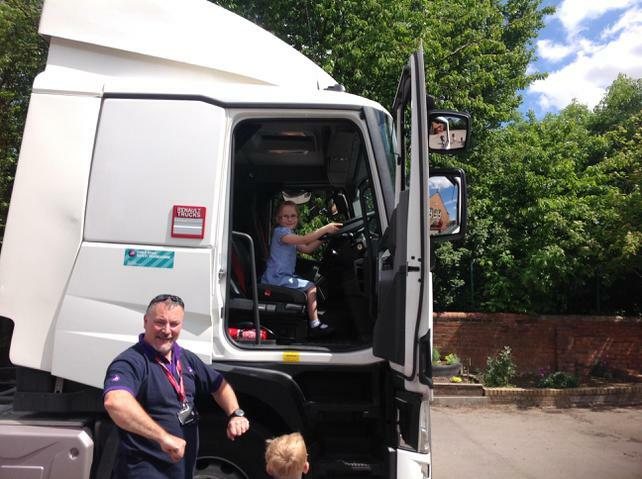 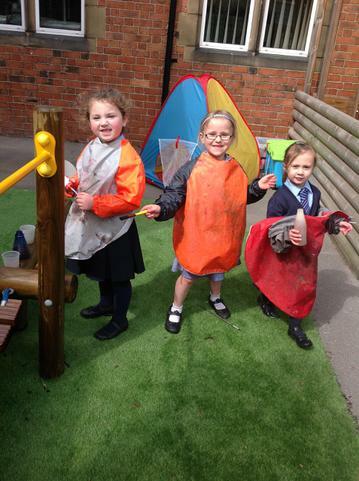 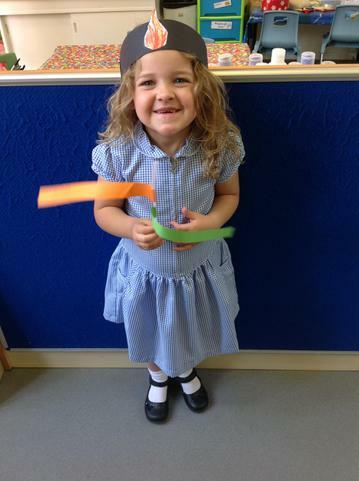 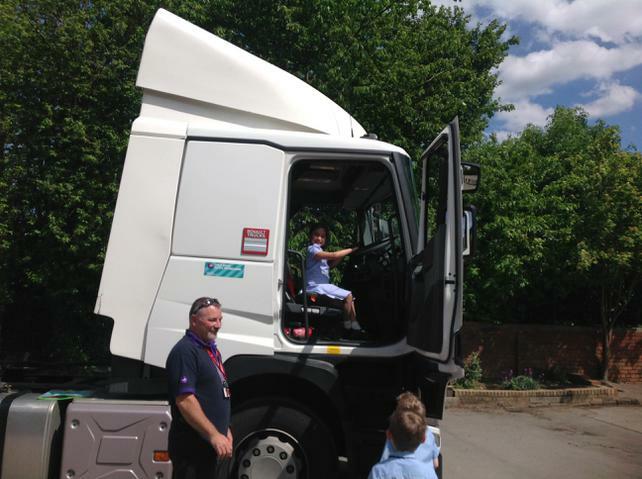 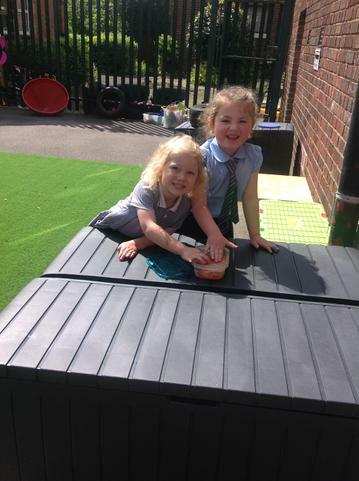 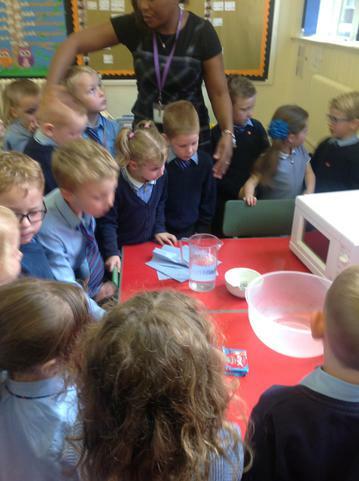 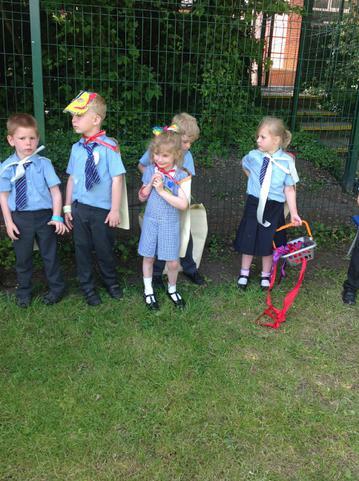 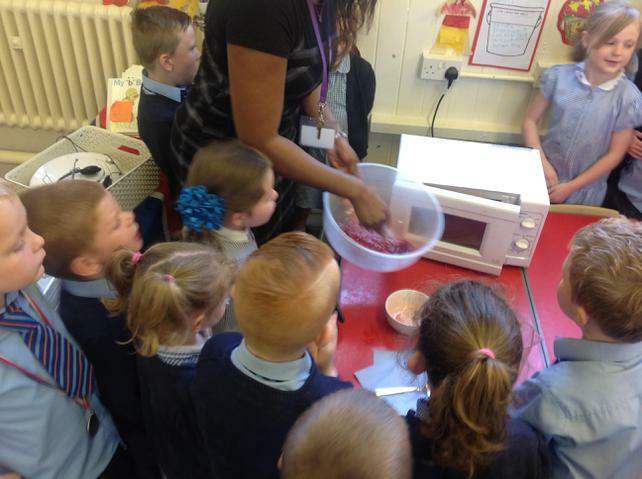 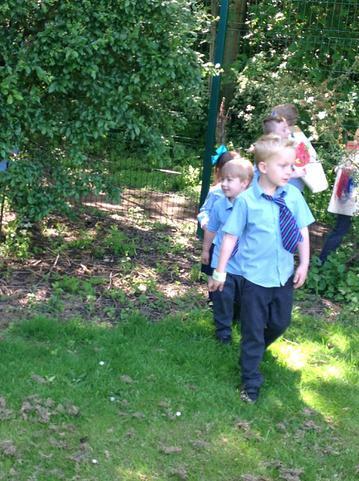 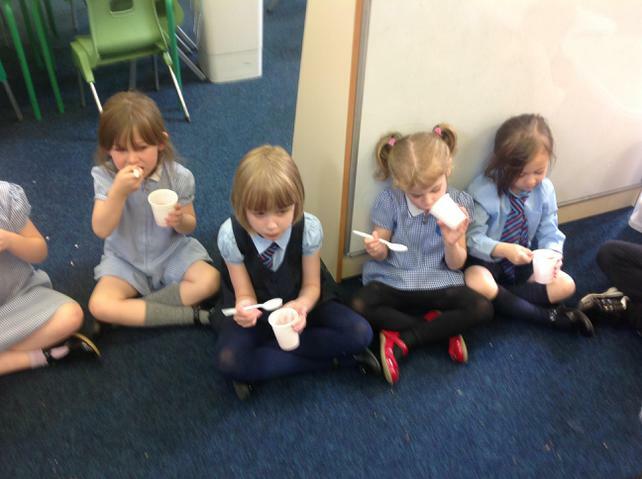 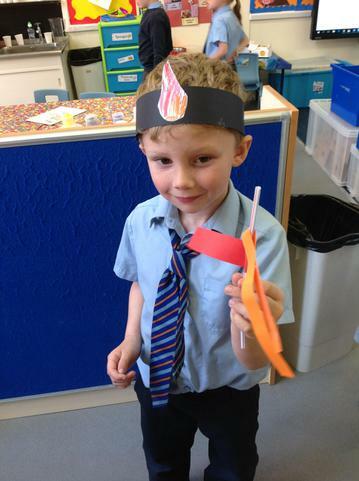 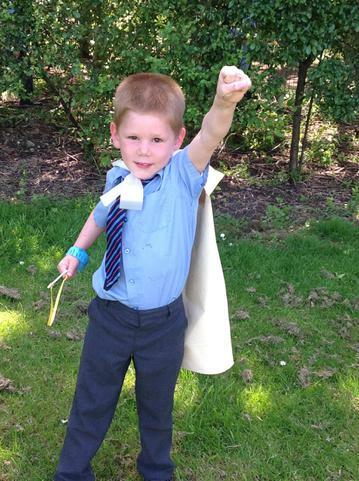 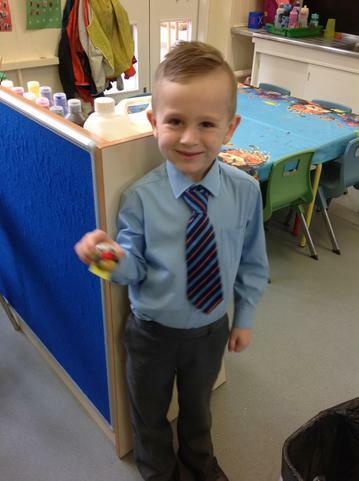 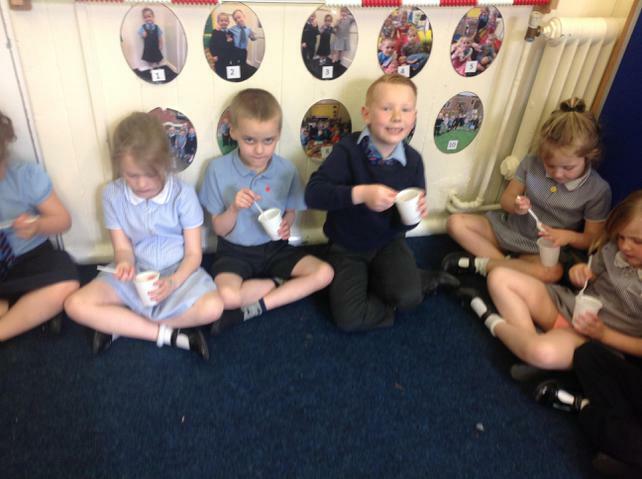 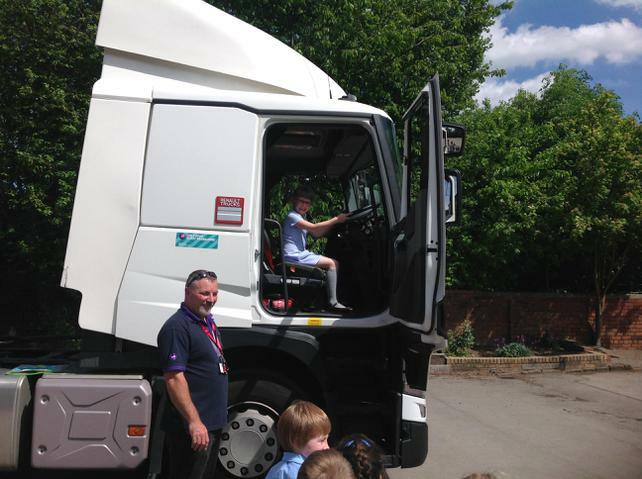 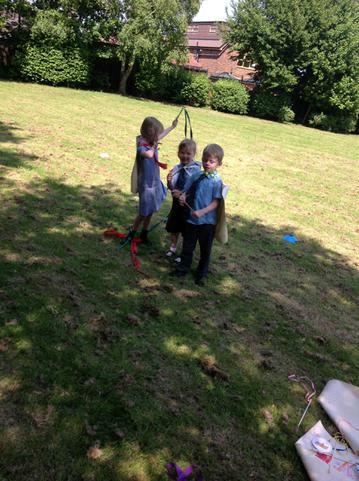 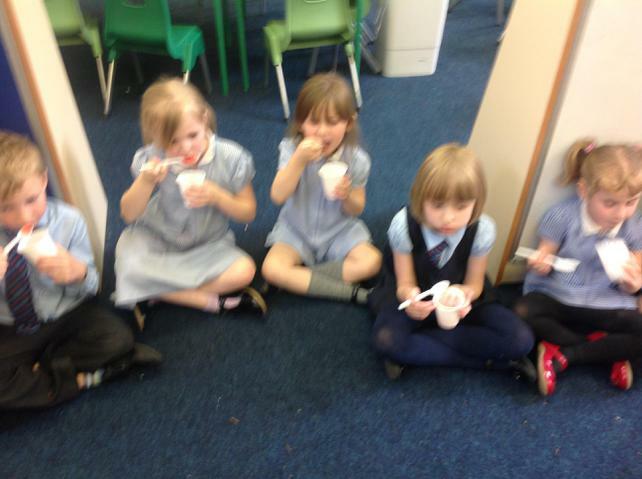 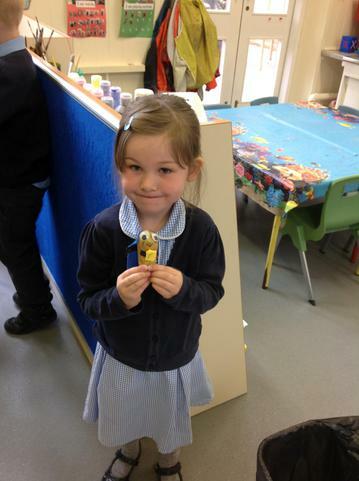 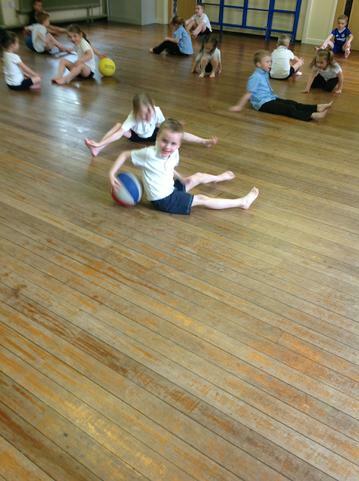 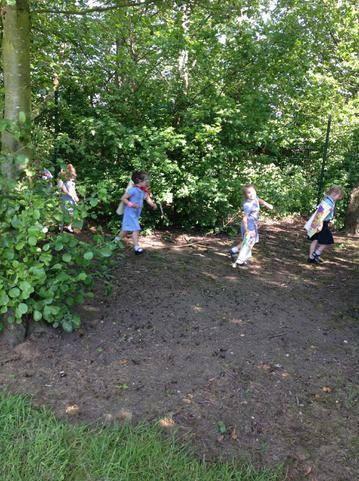 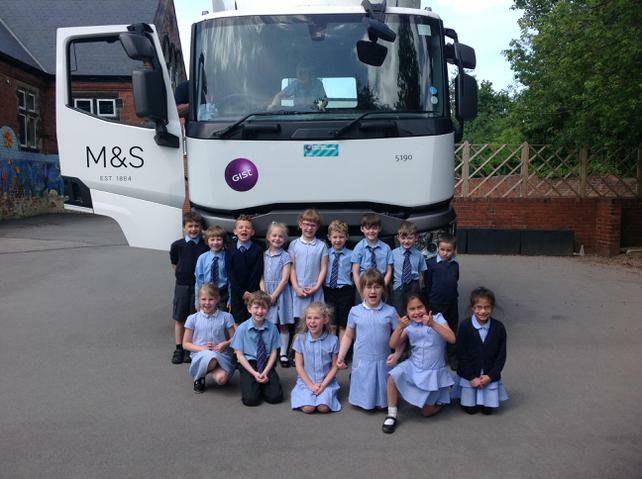 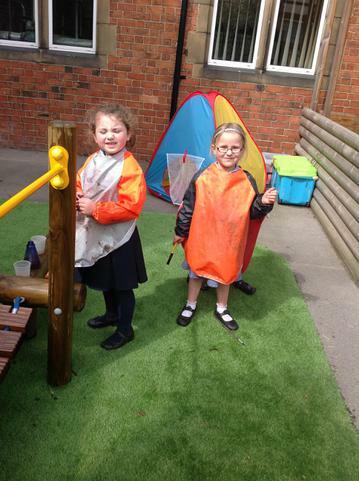 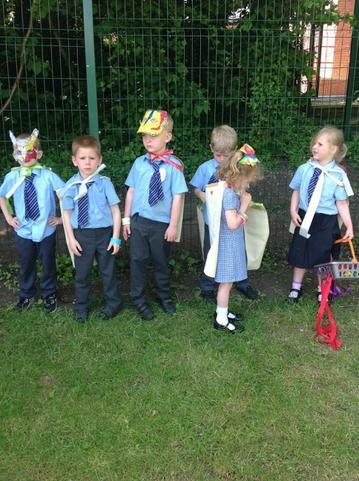 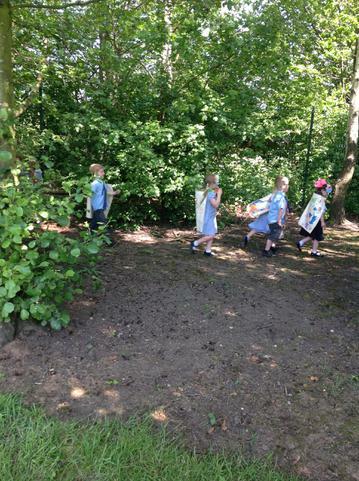 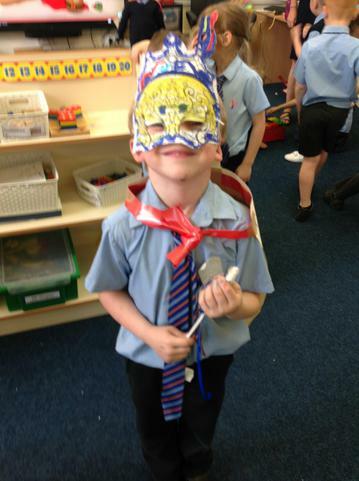 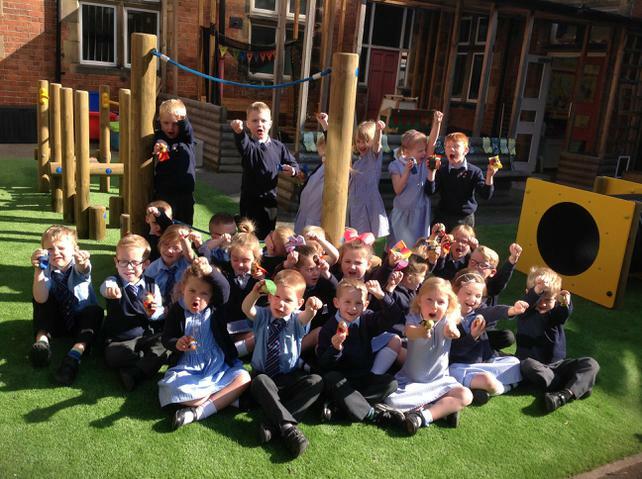 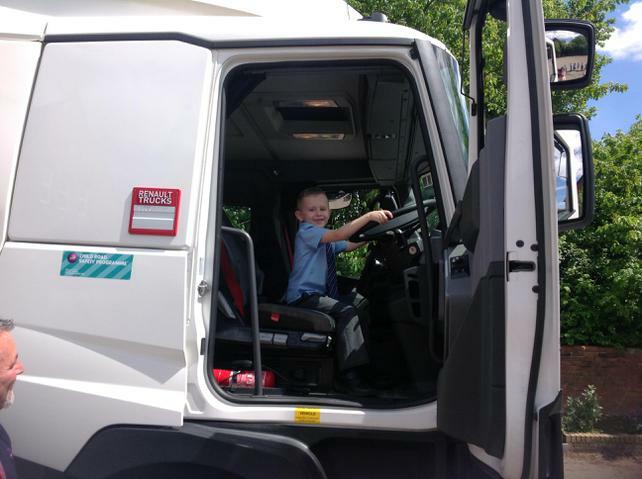 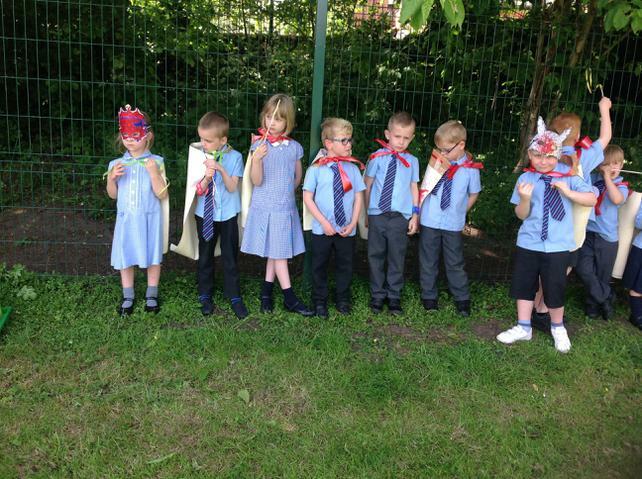 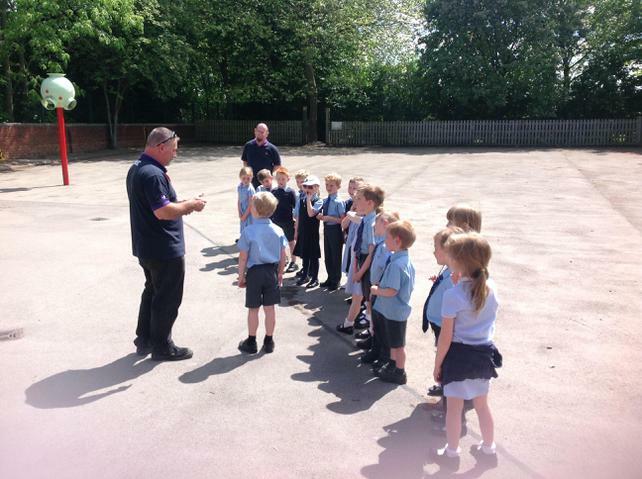 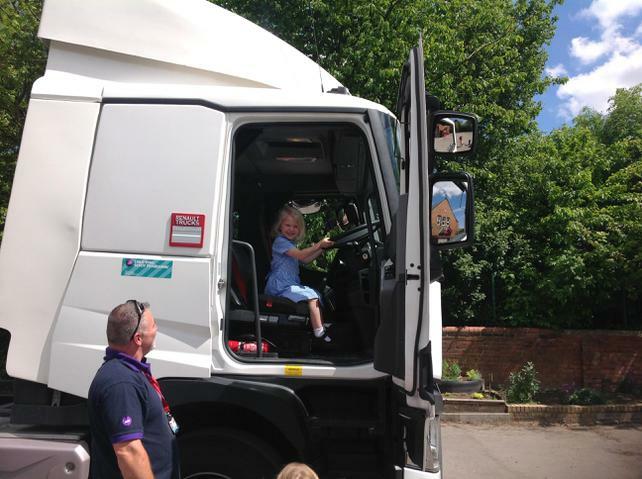 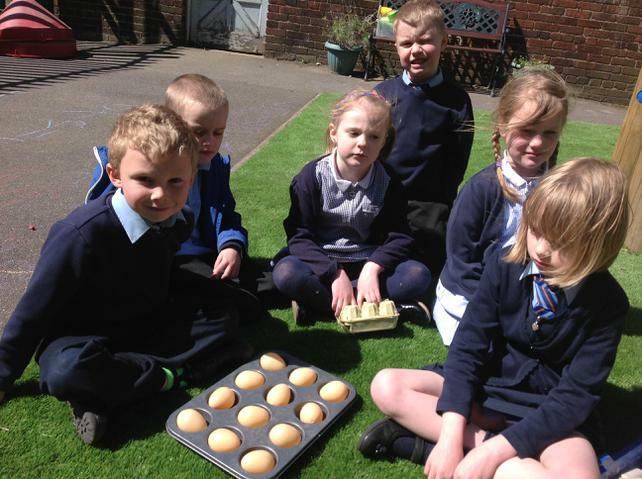 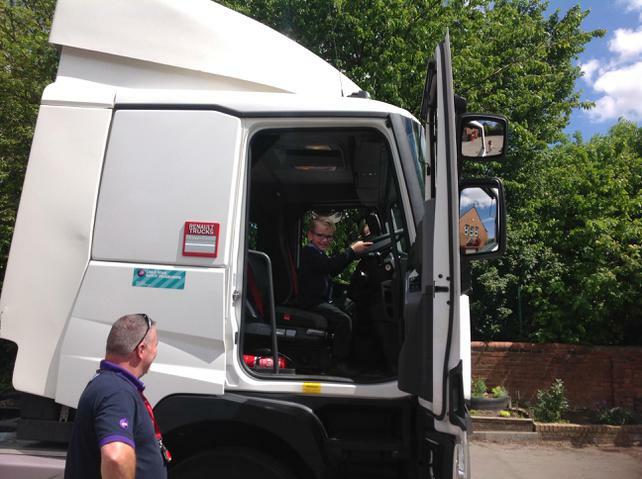 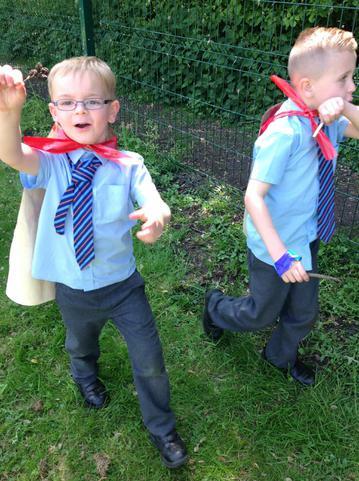 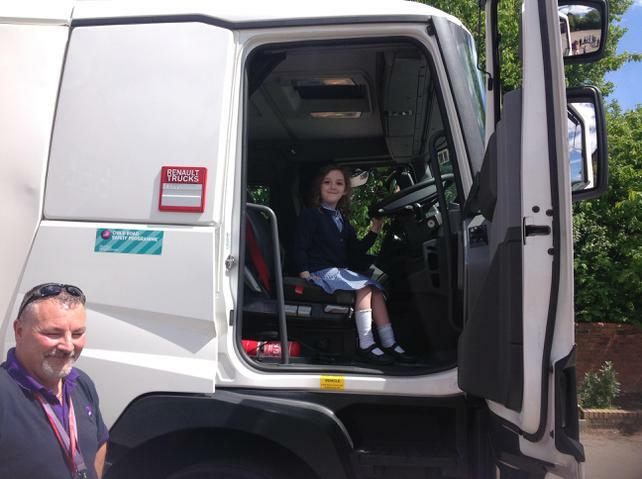 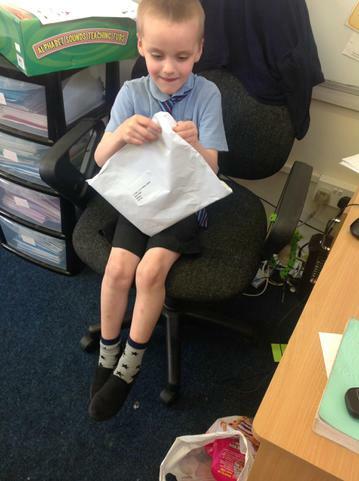 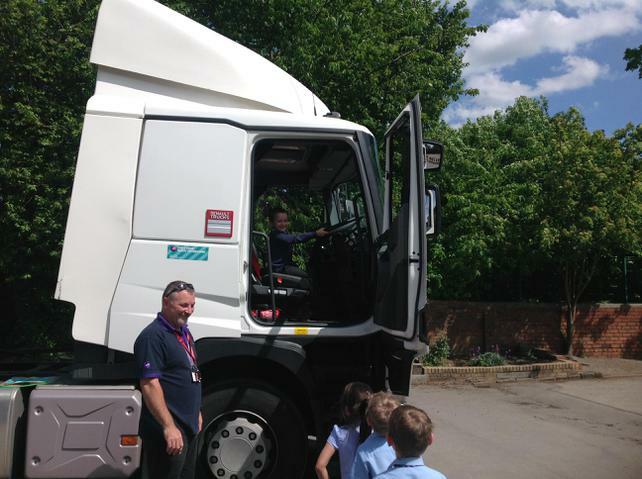 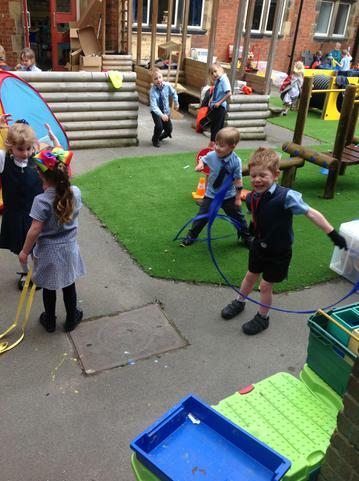 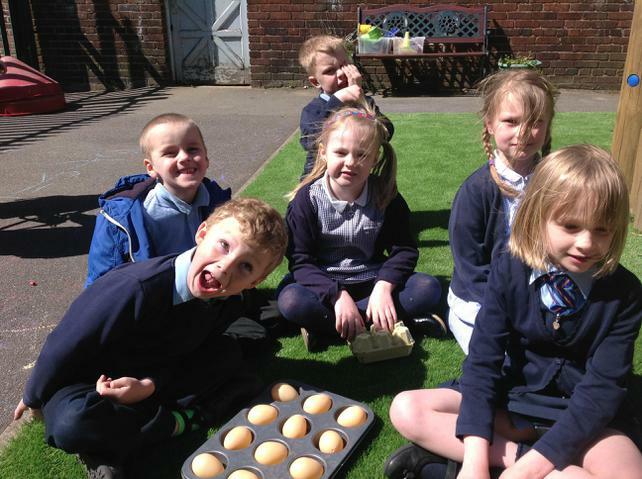 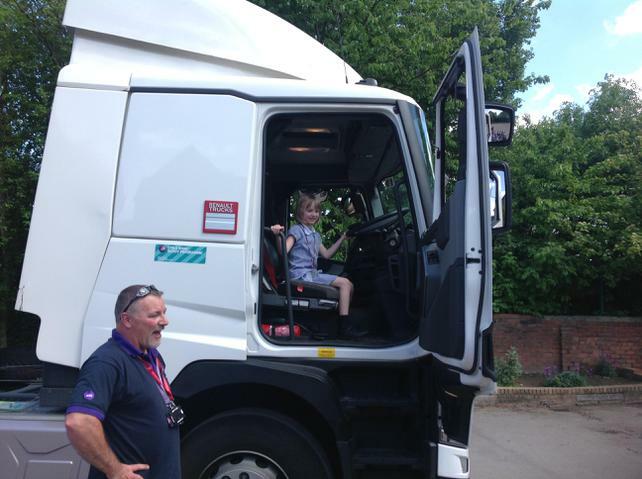 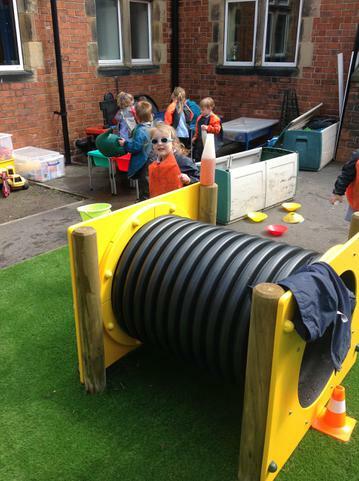 Class 1 have had a fantastic start to the summer term. 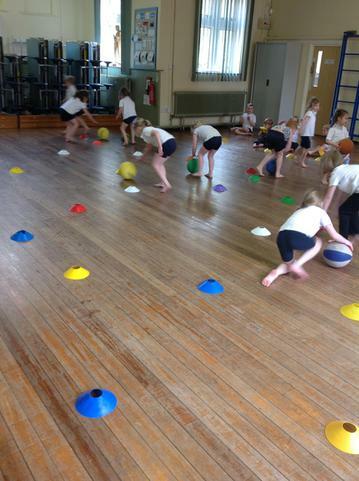 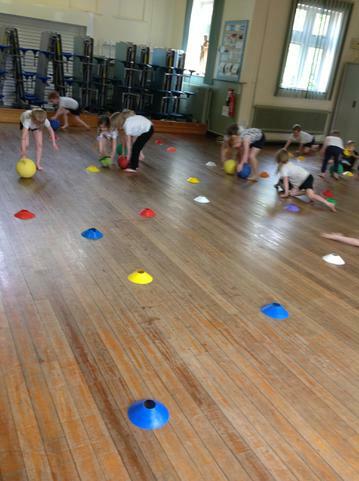 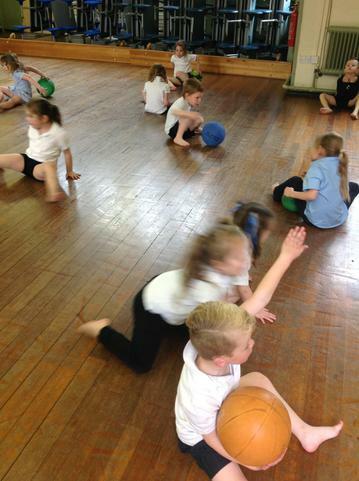 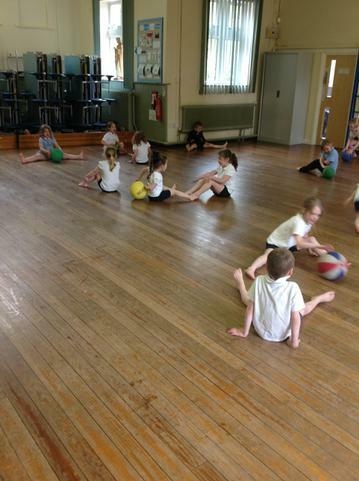 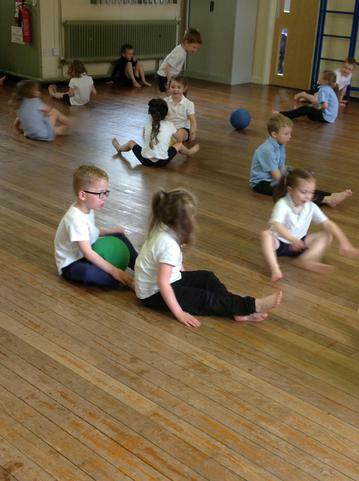 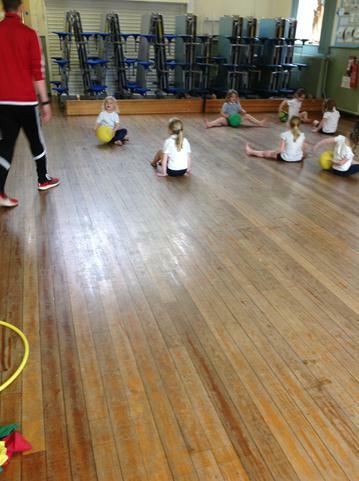 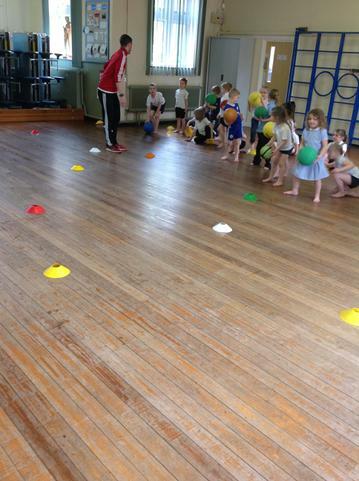 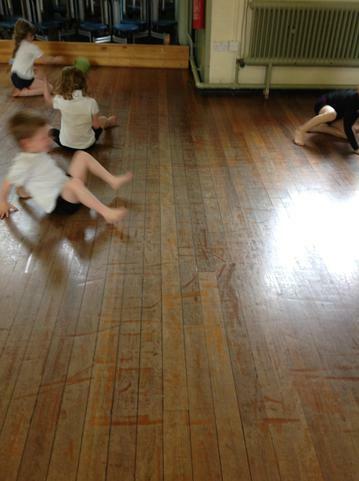 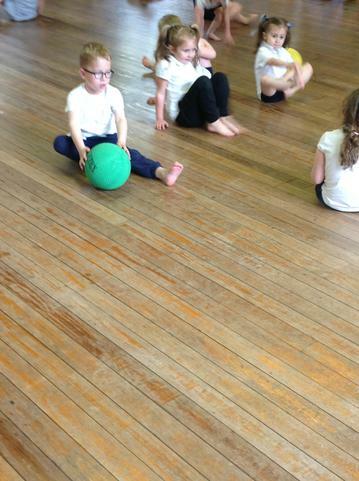 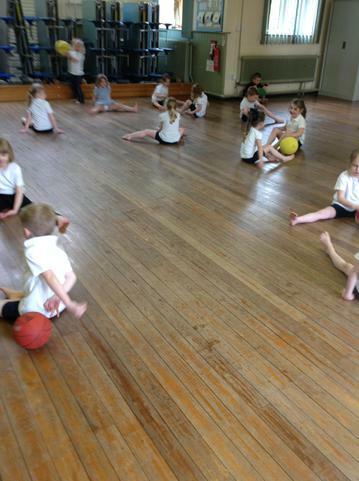 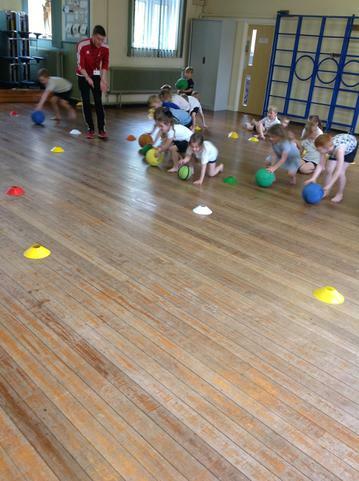 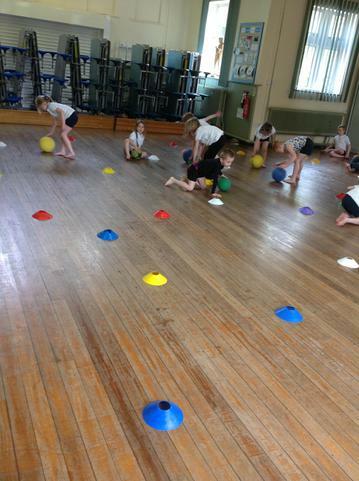 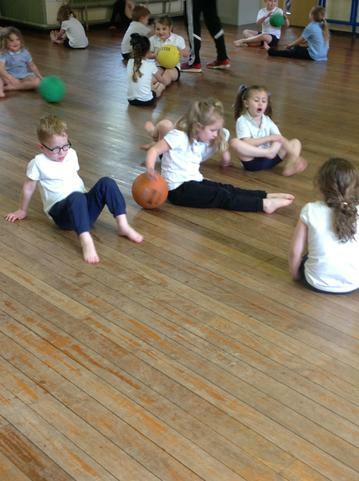 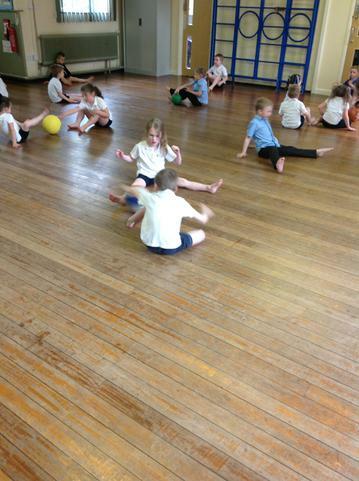 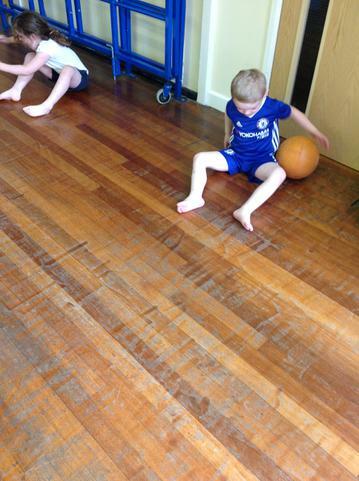 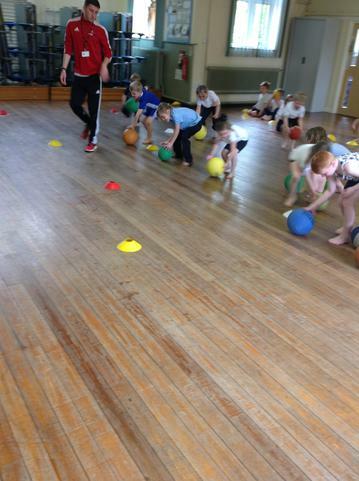 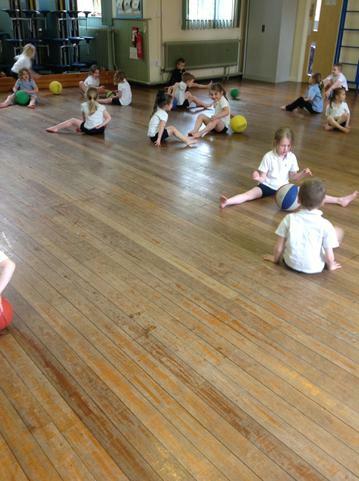 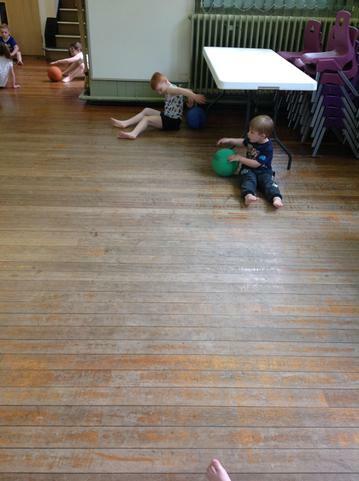 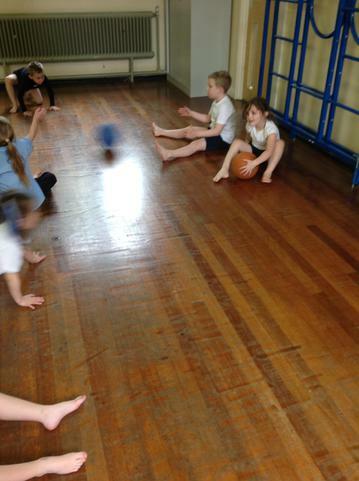 The children all came back ready to work hard. 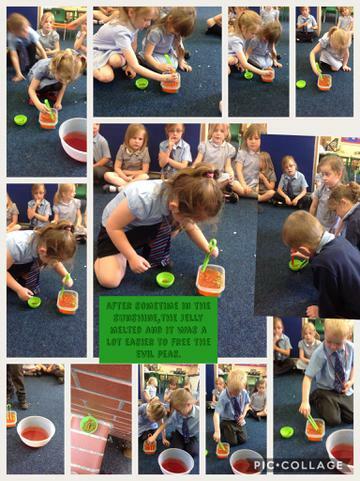 Here are are some of our pictures.